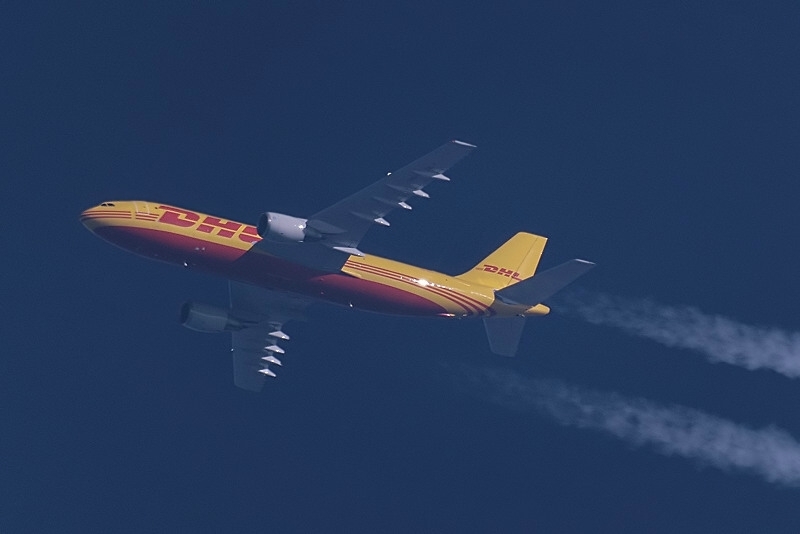 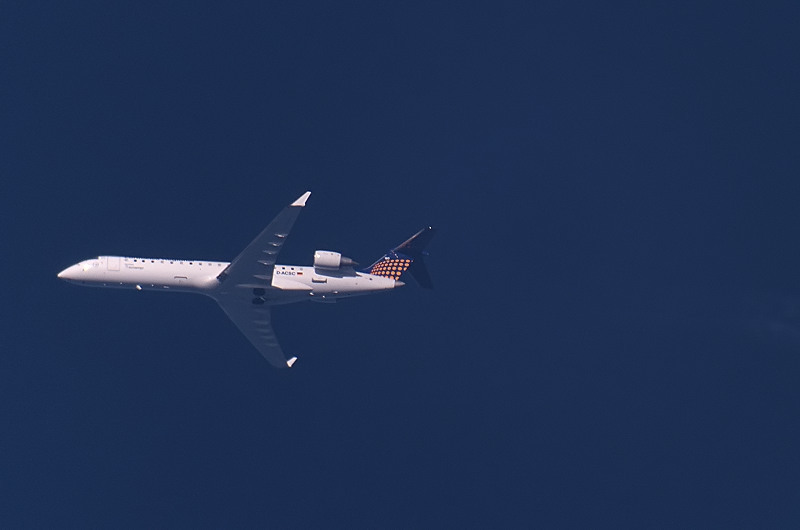 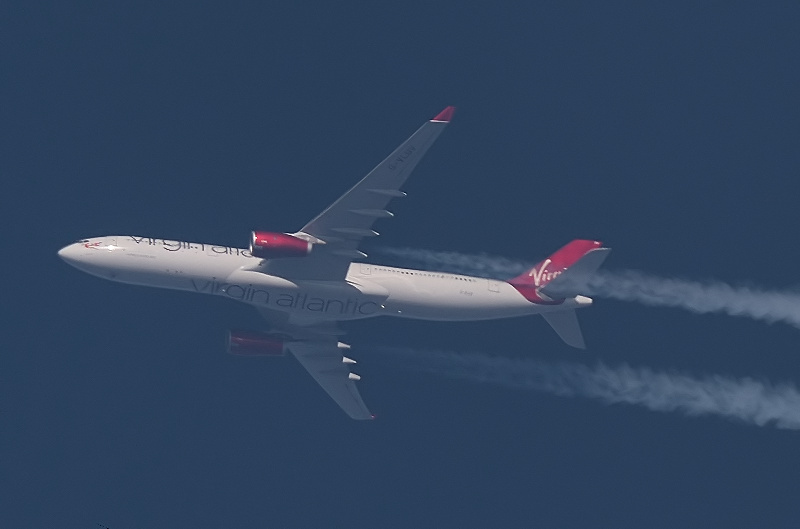 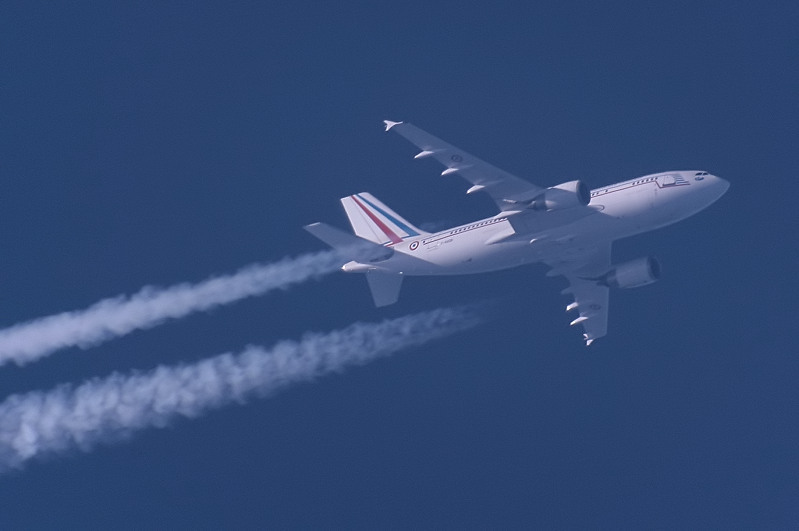 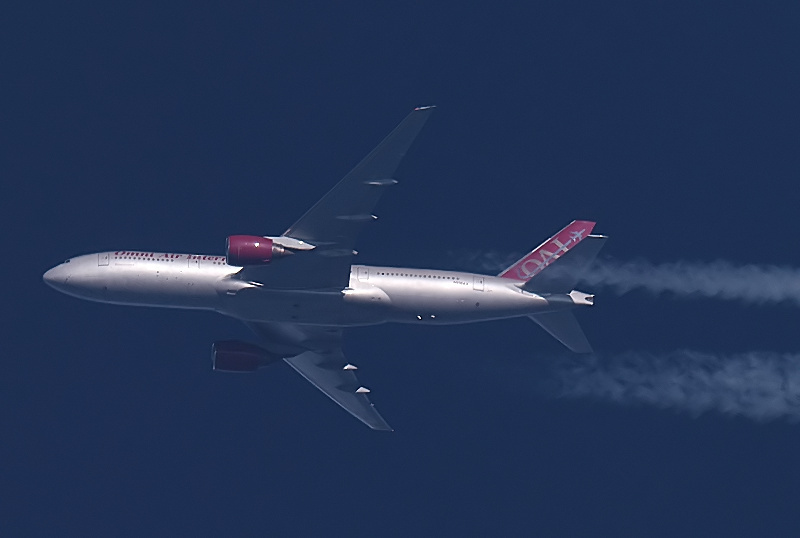 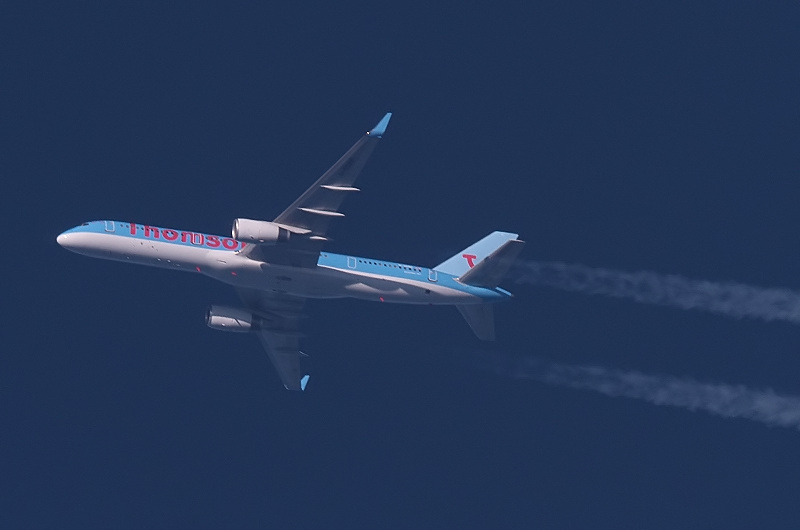 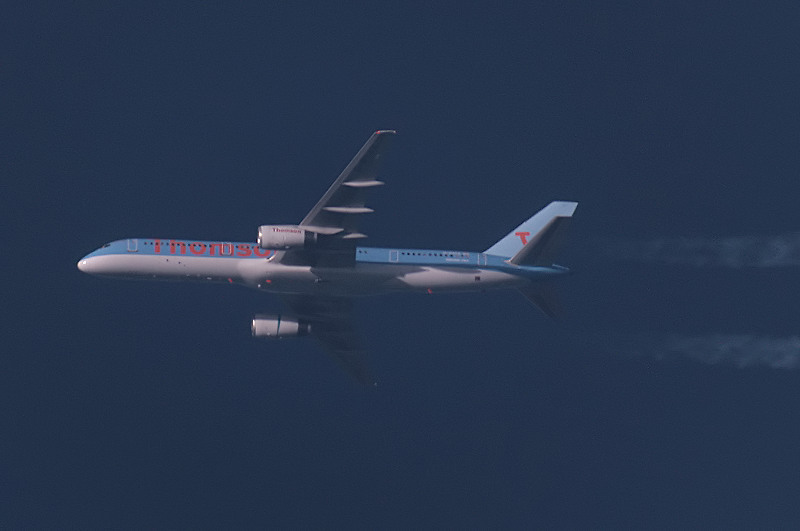 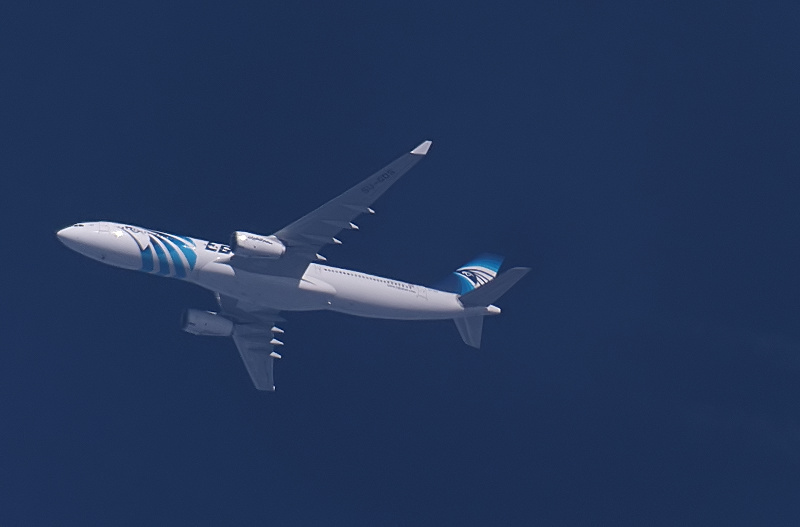 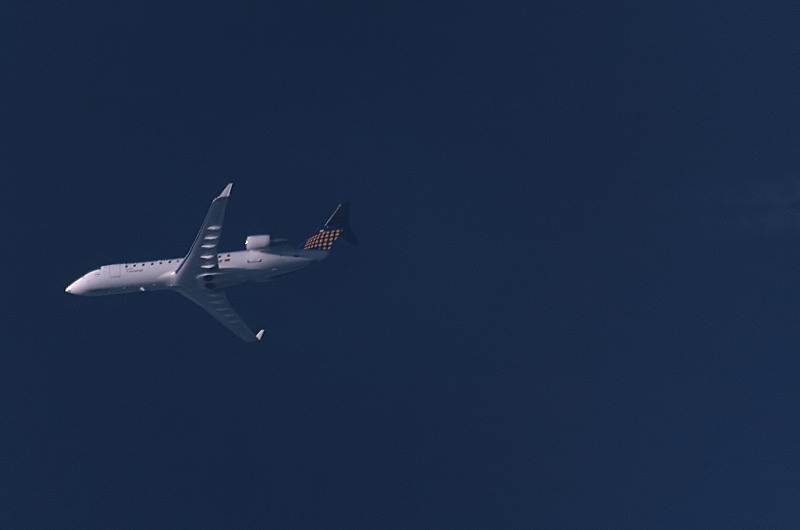 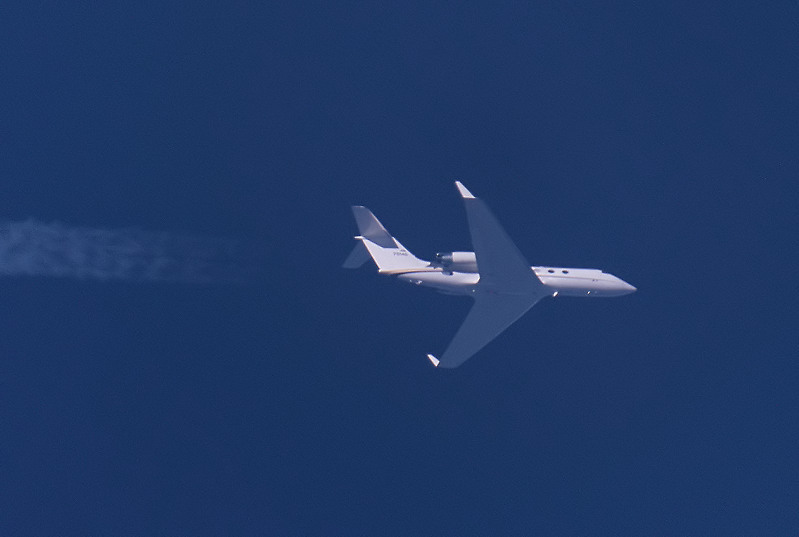 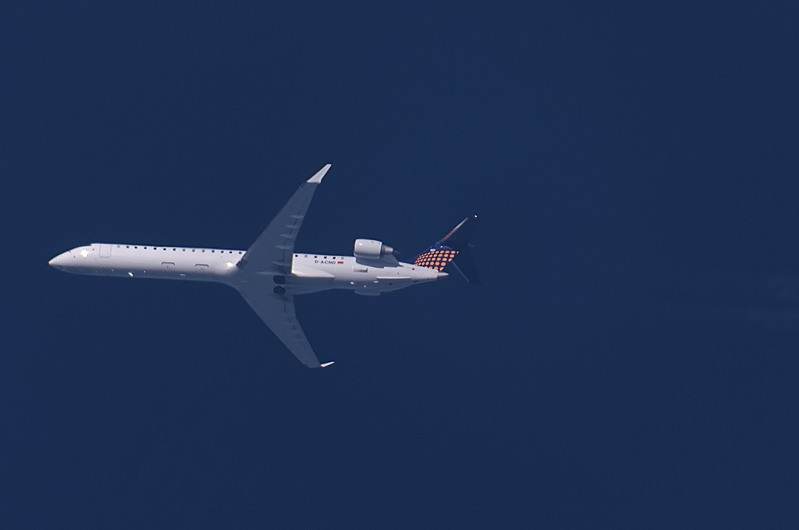 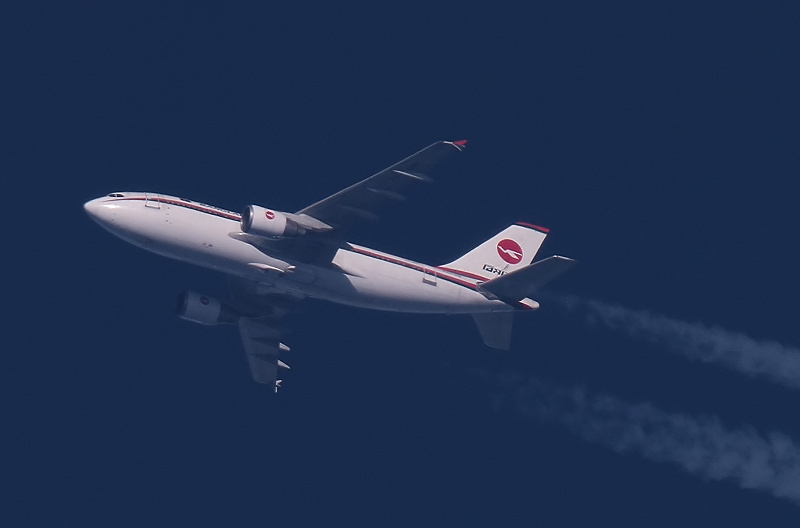 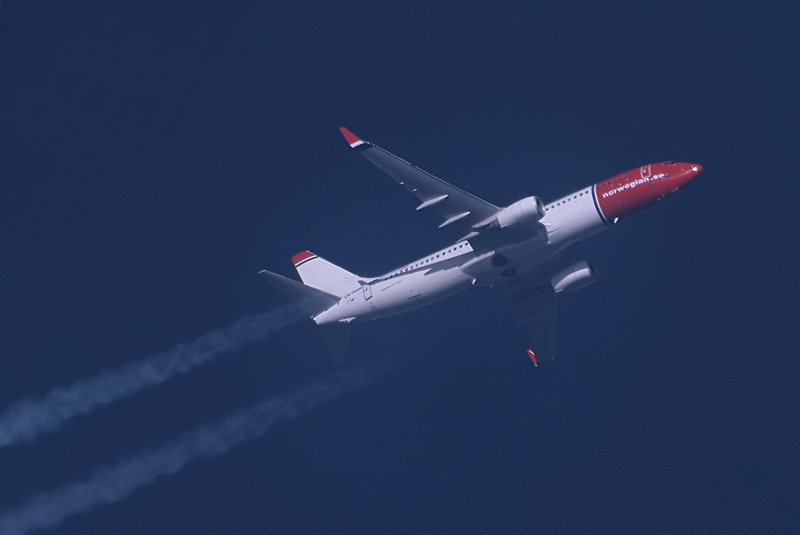 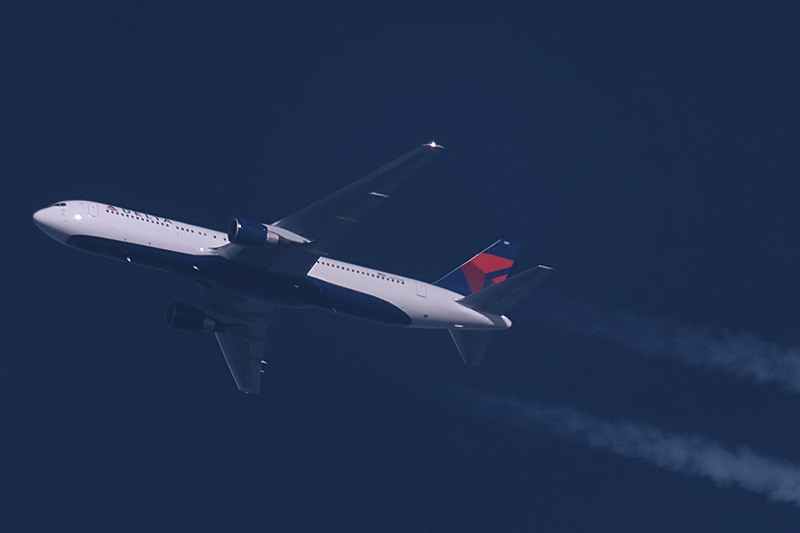 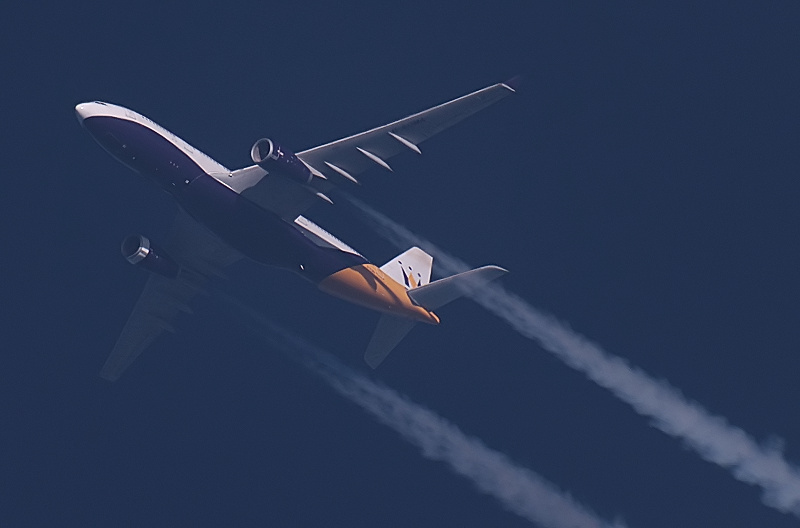 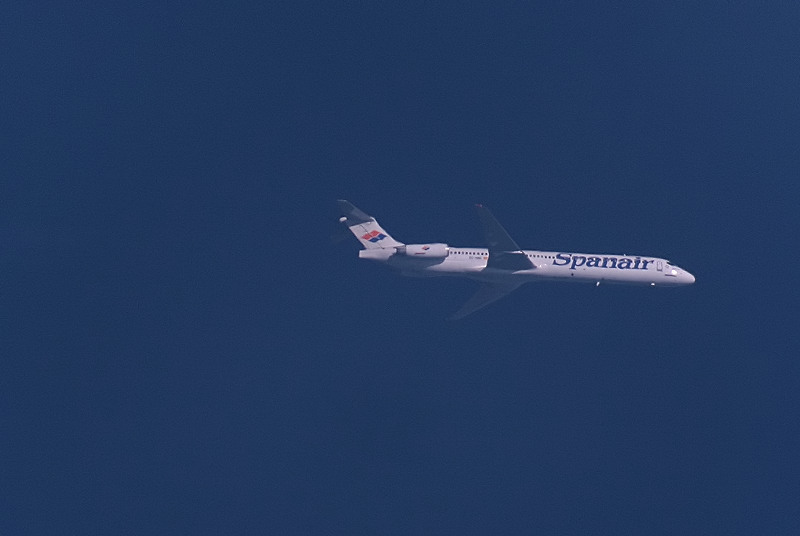 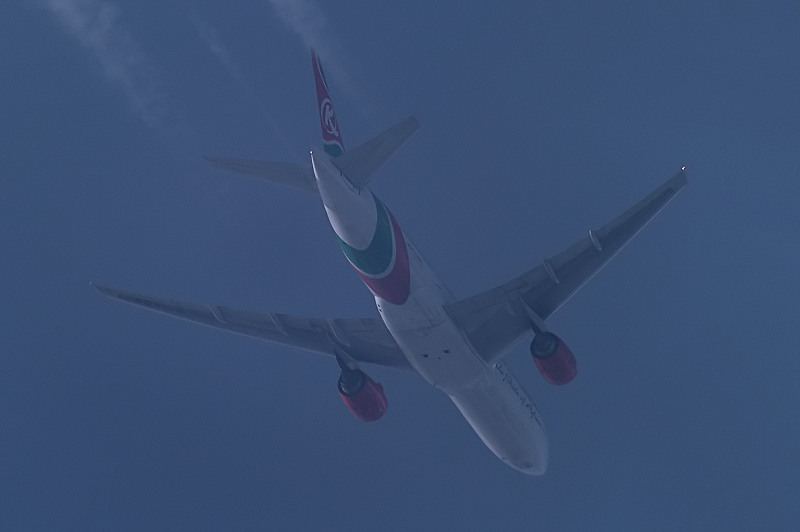 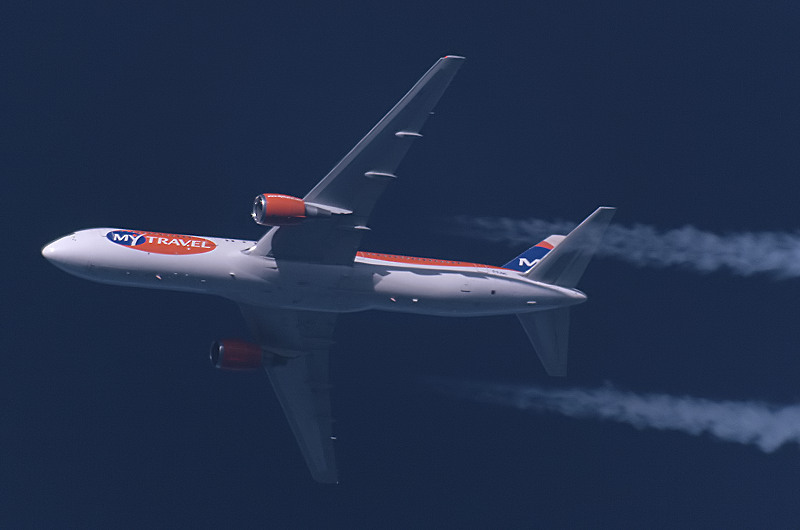 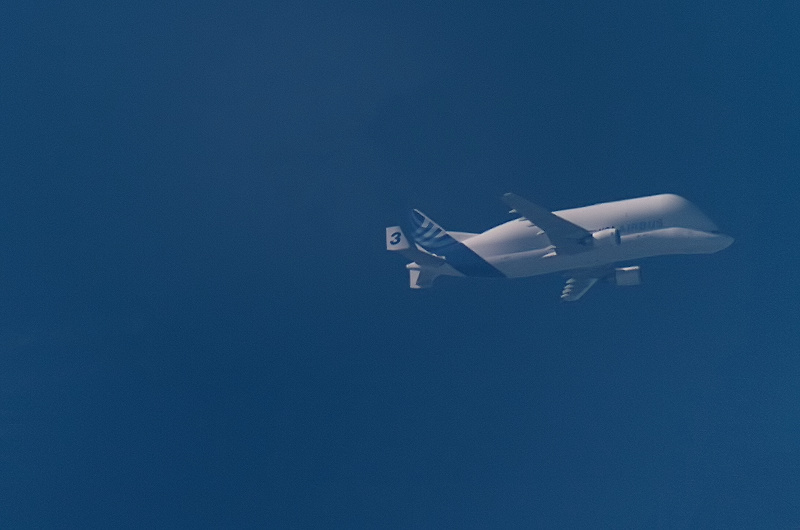 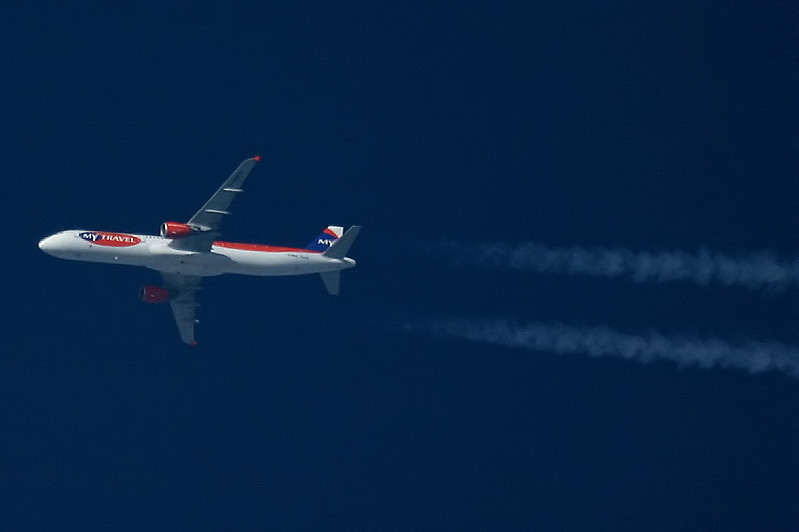 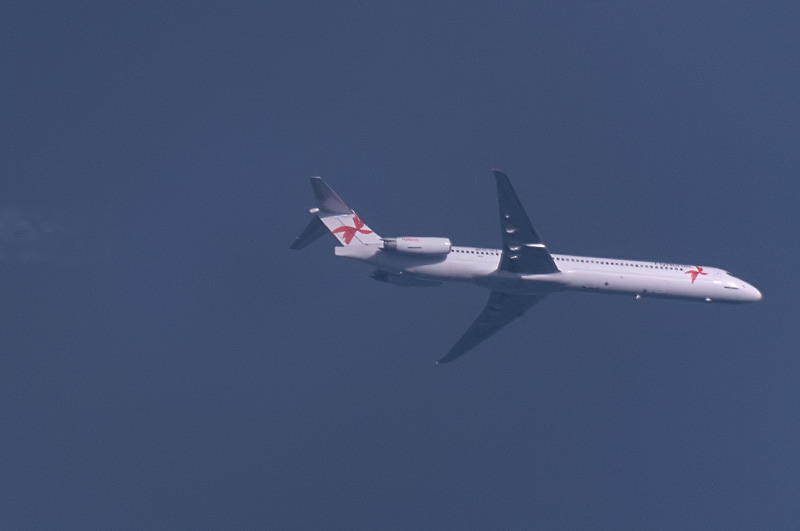 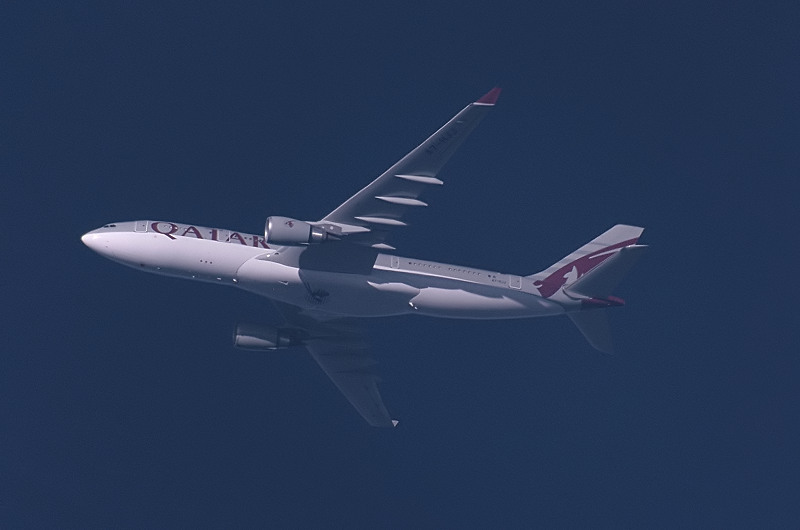 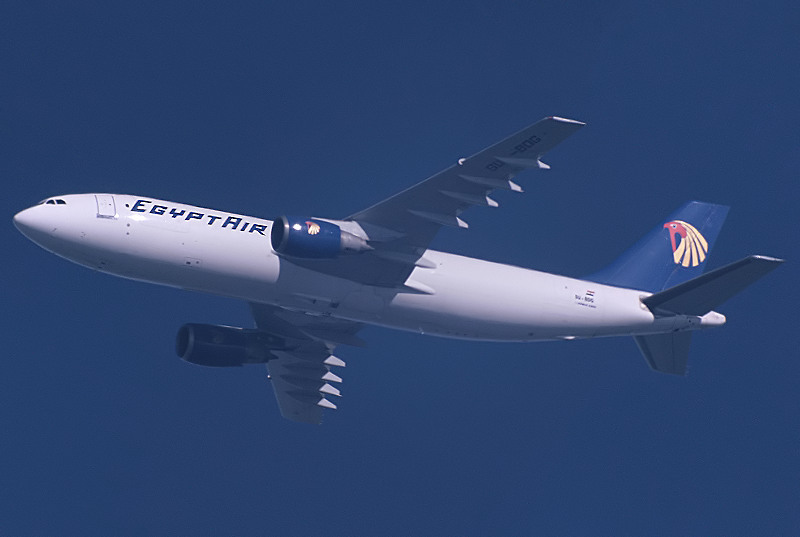 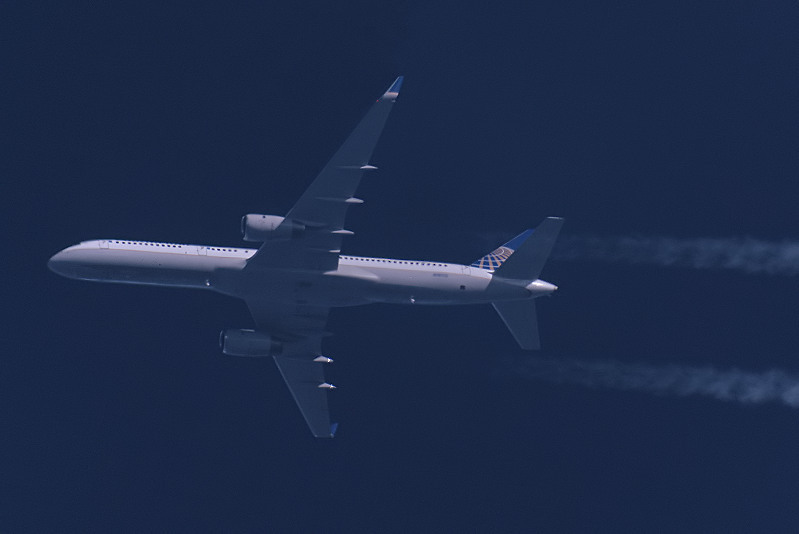 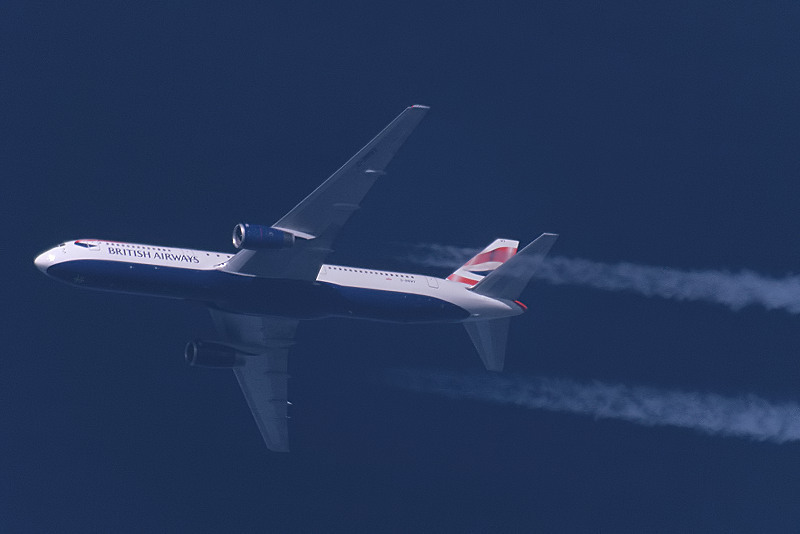 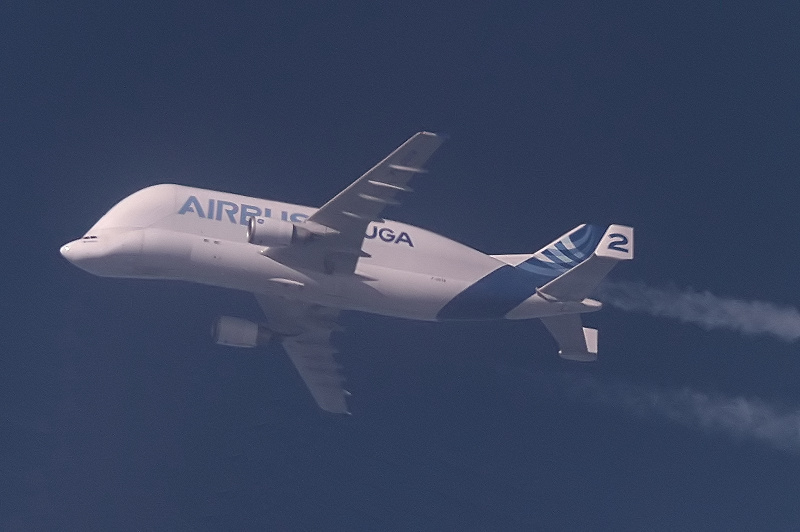 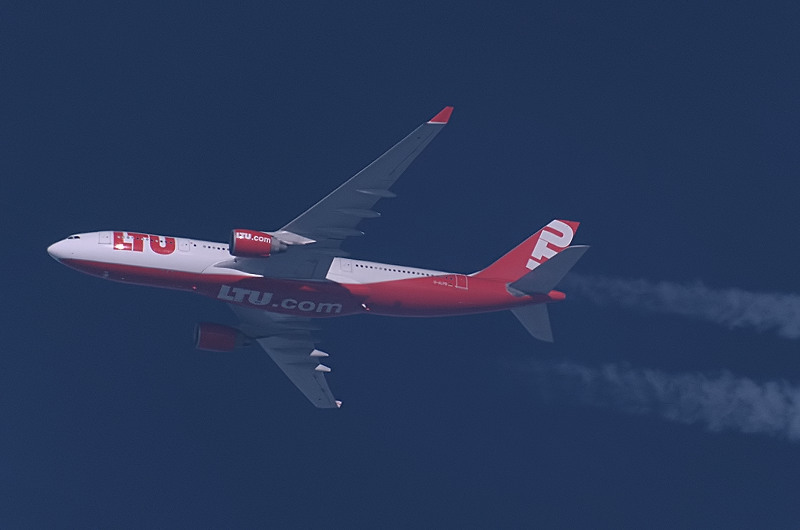 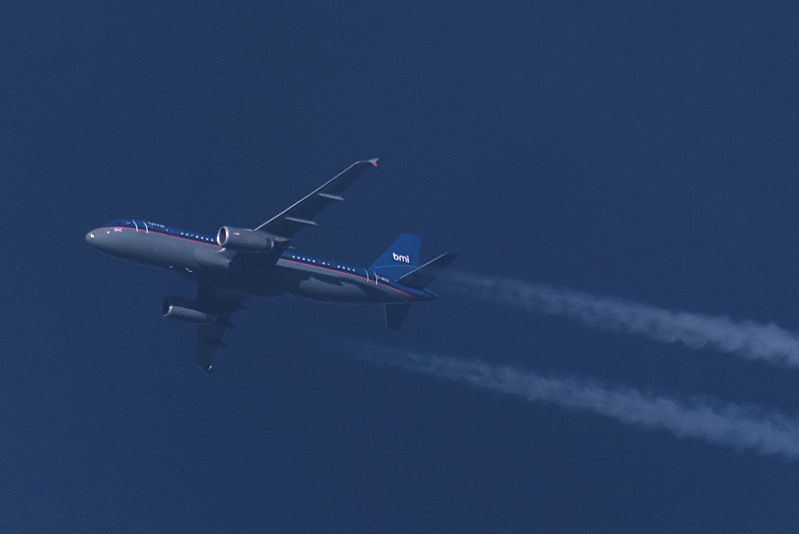 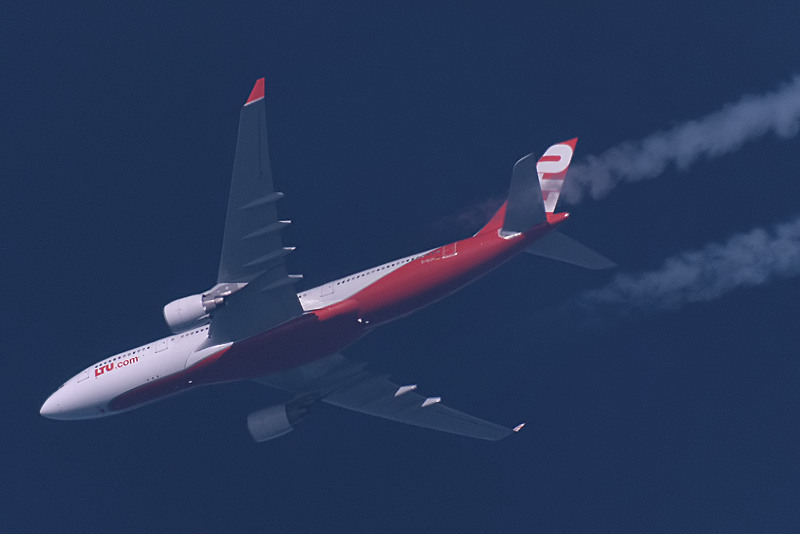 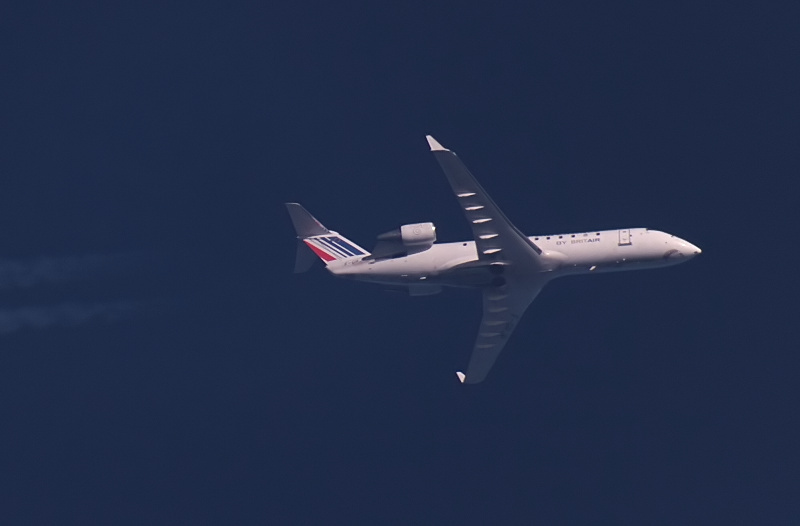 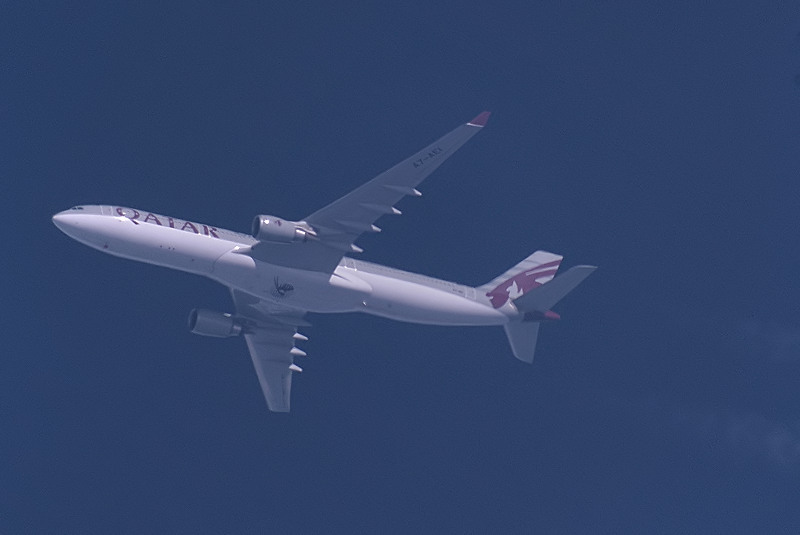 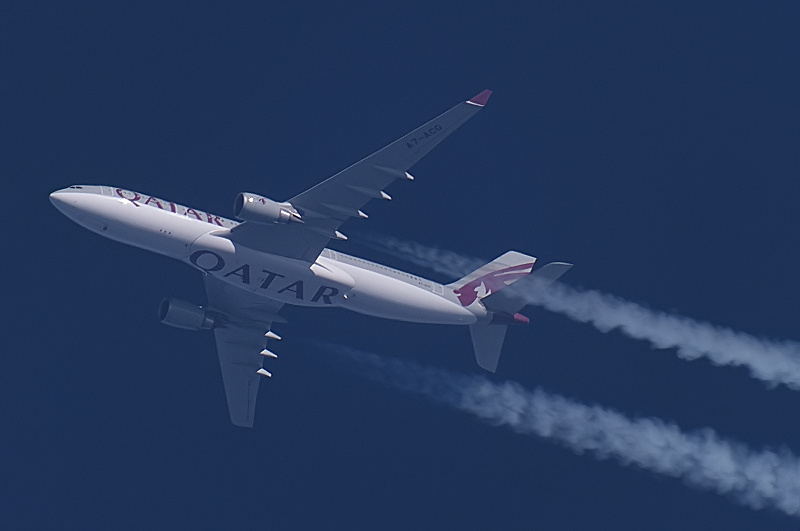 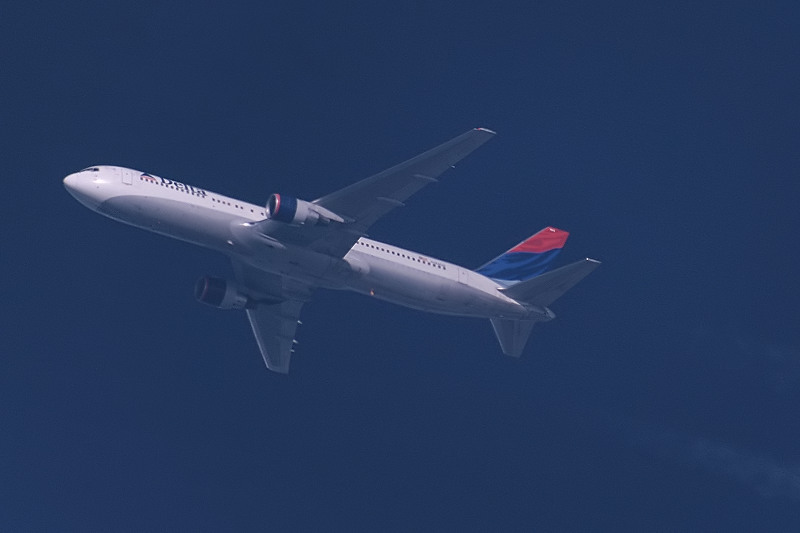 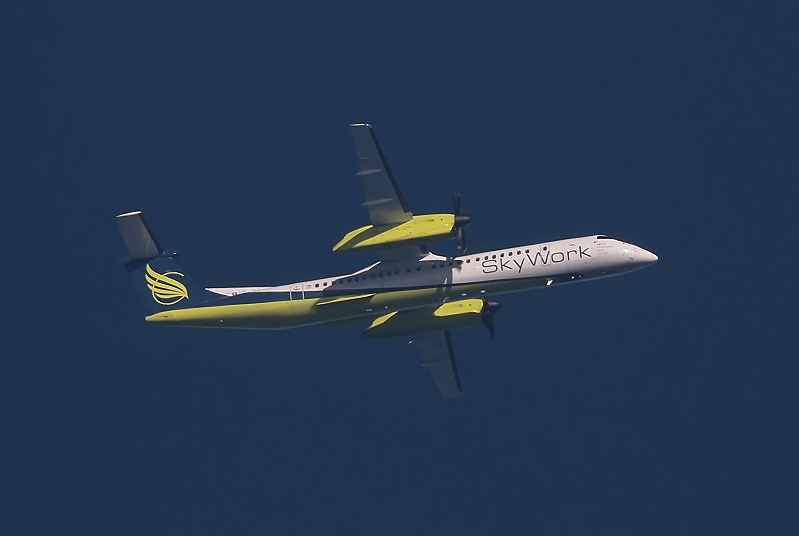 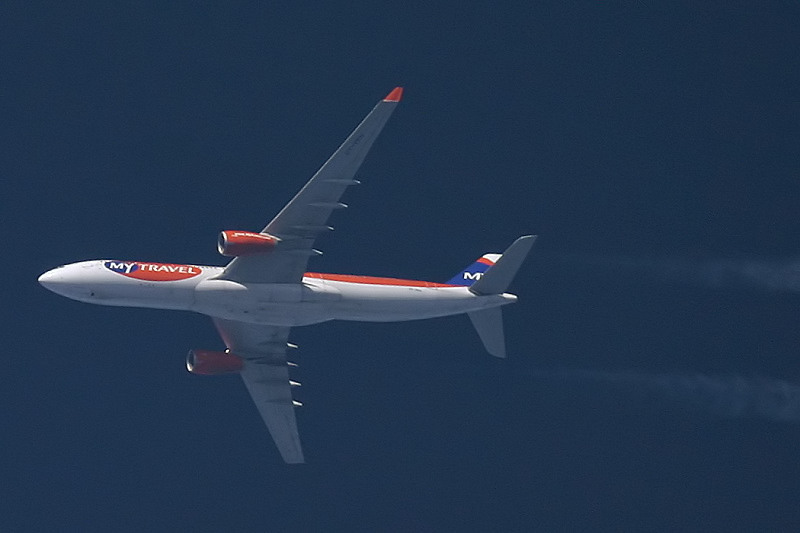 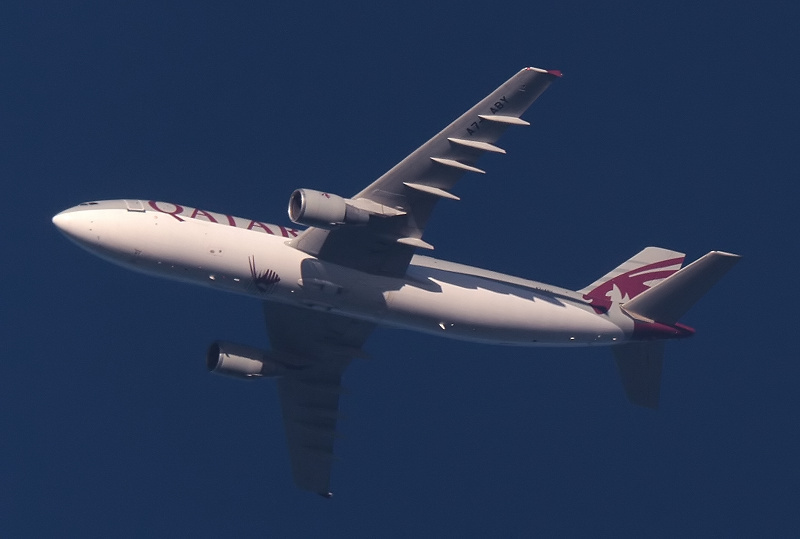 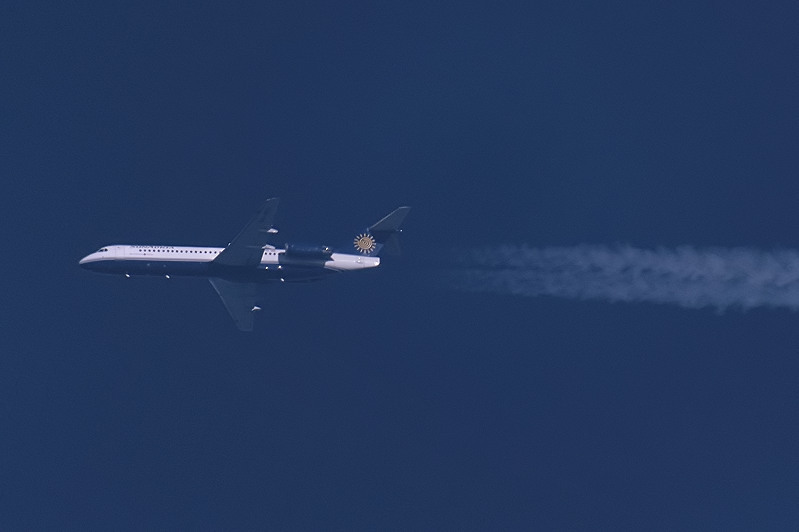 Two engined airliners are by far the most frequent overflyers in my area. 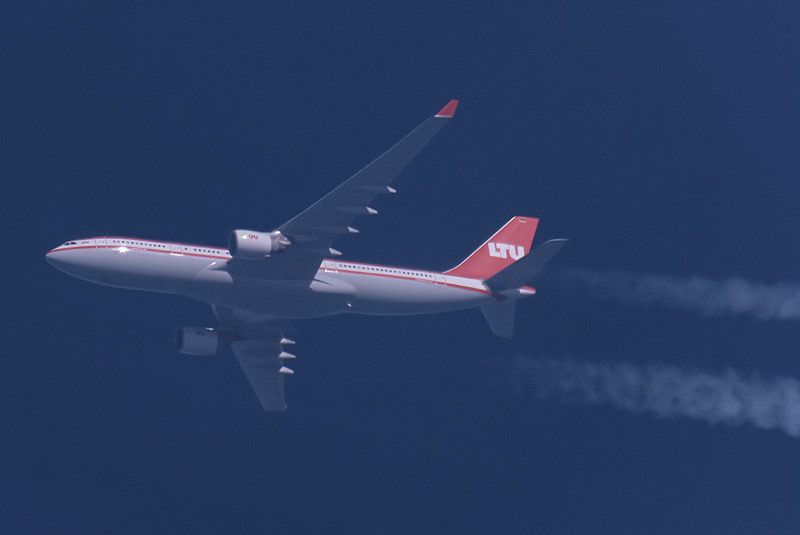 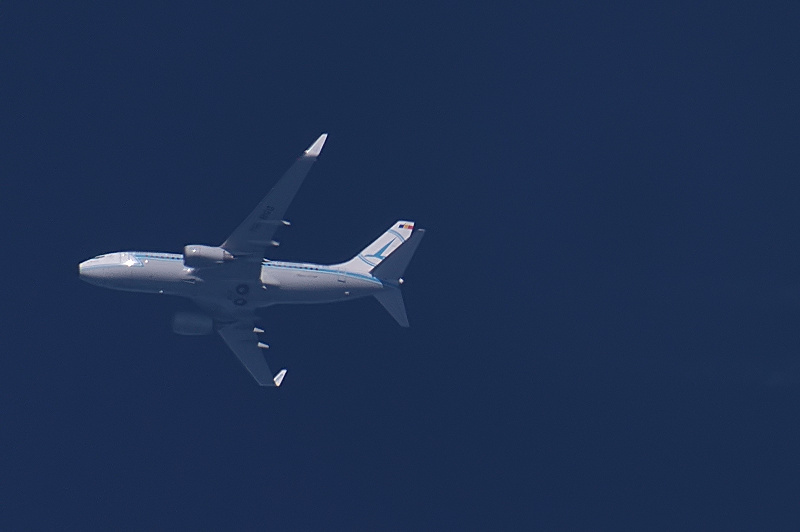 Below over 200 pictures taken via a telescope are shown, sorted by date, all were taken at Kampenhout, 5km NE of Brussels Airport. 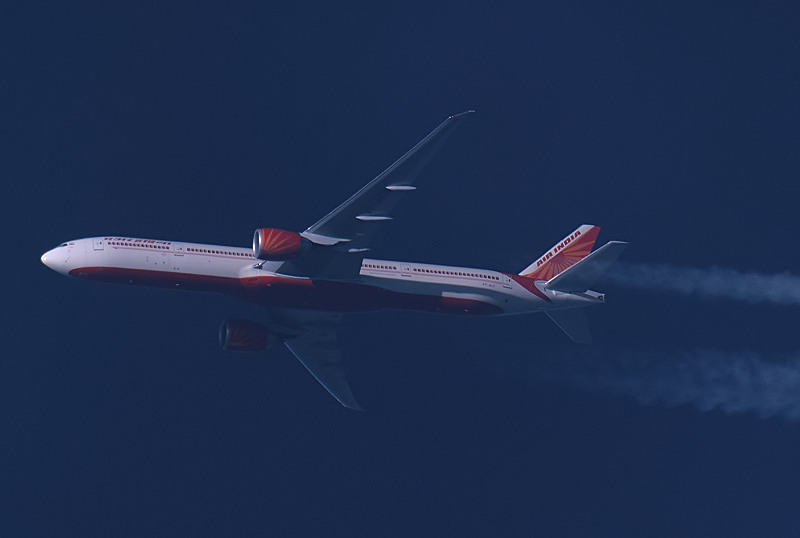 For the technical details check here. 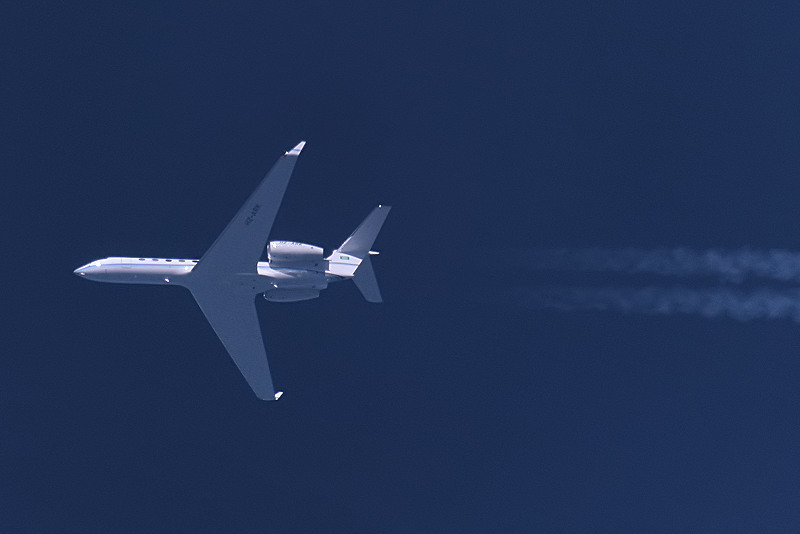 Registrations have been obtained via SBS-1 equipment. 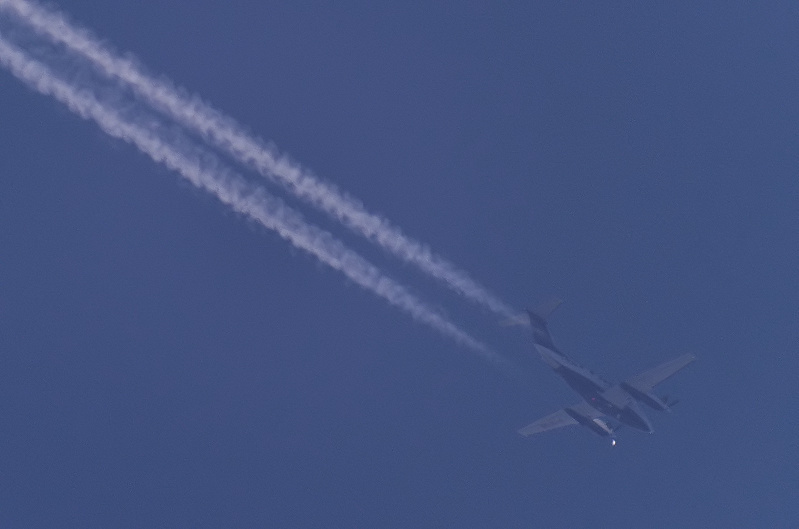 22/10/11 - 1627 - UZ703. 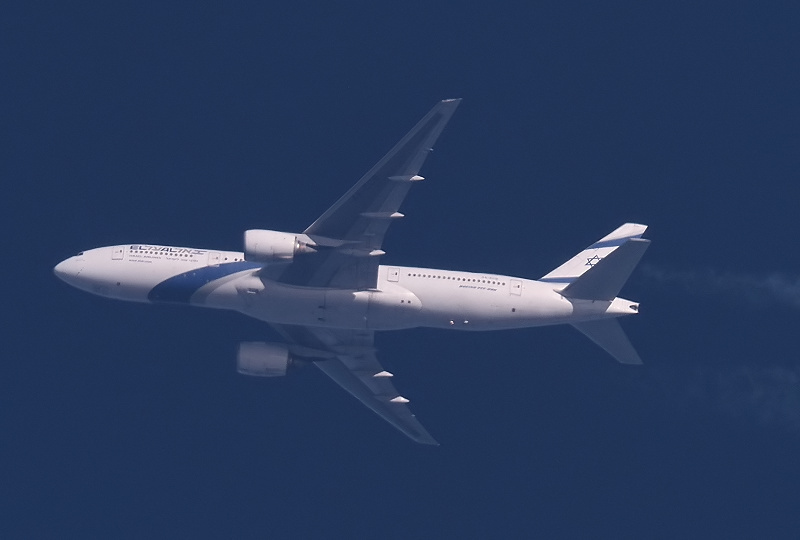 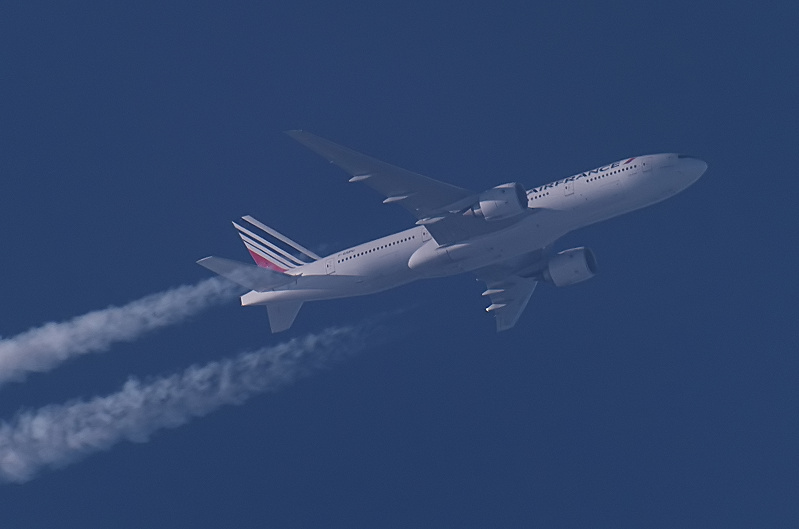 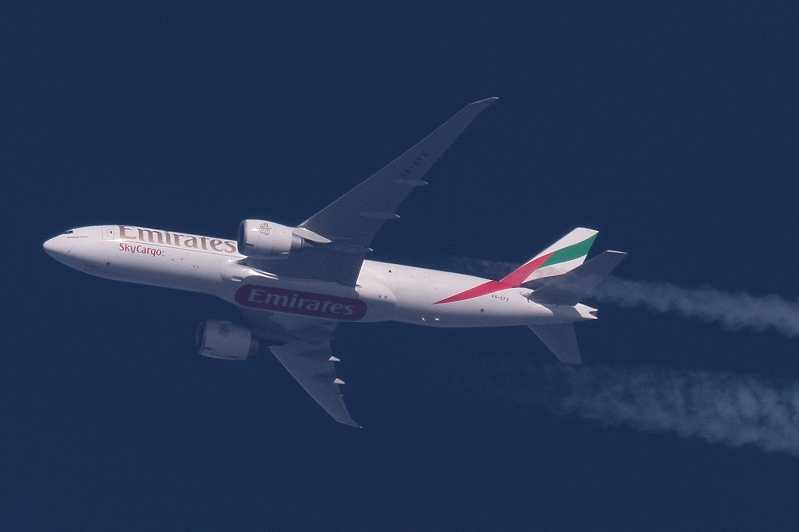 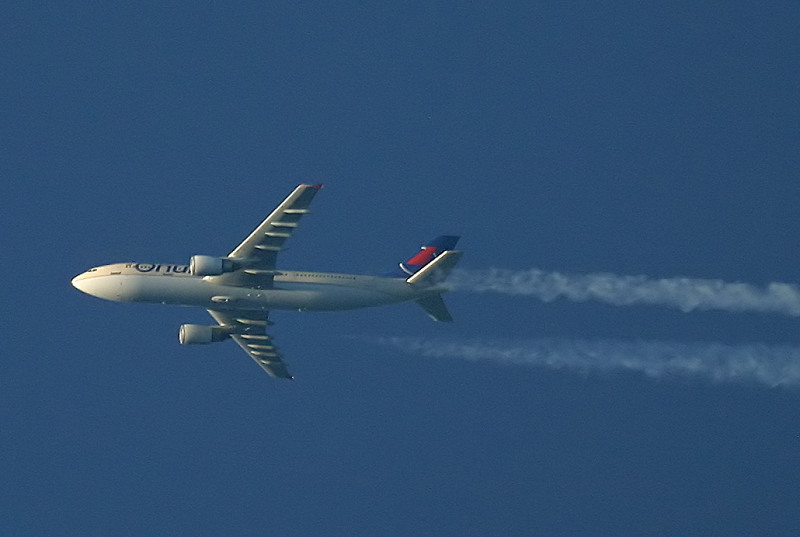 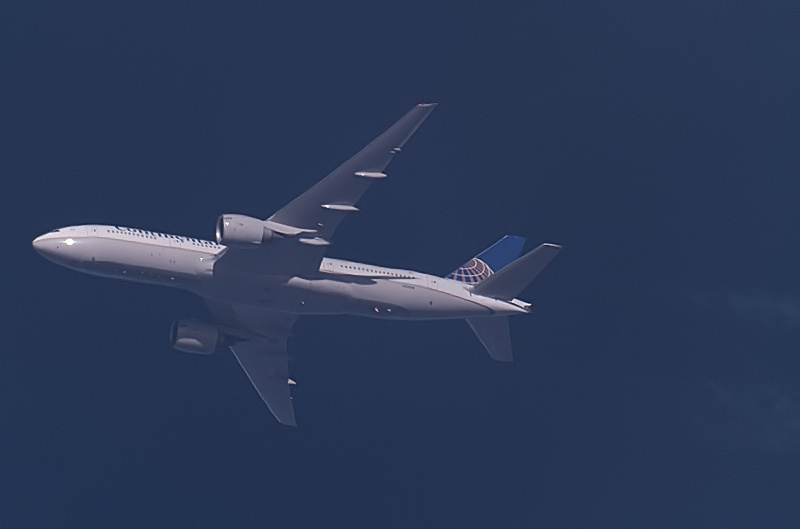 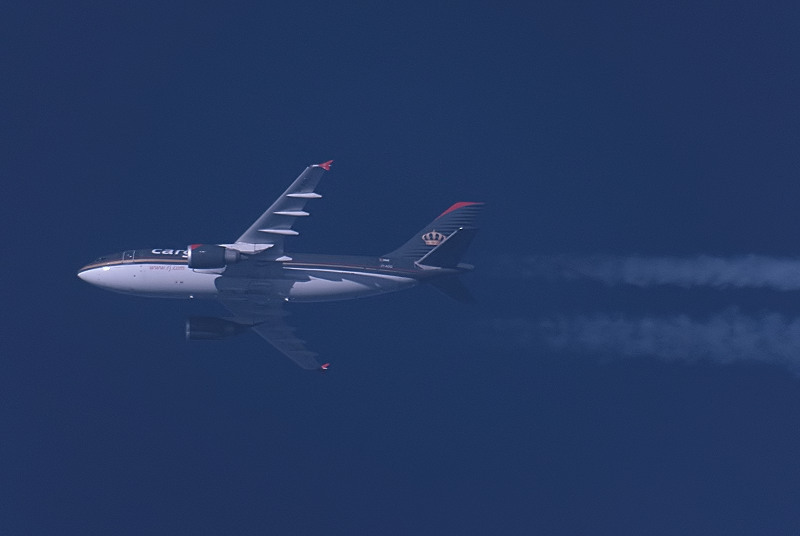 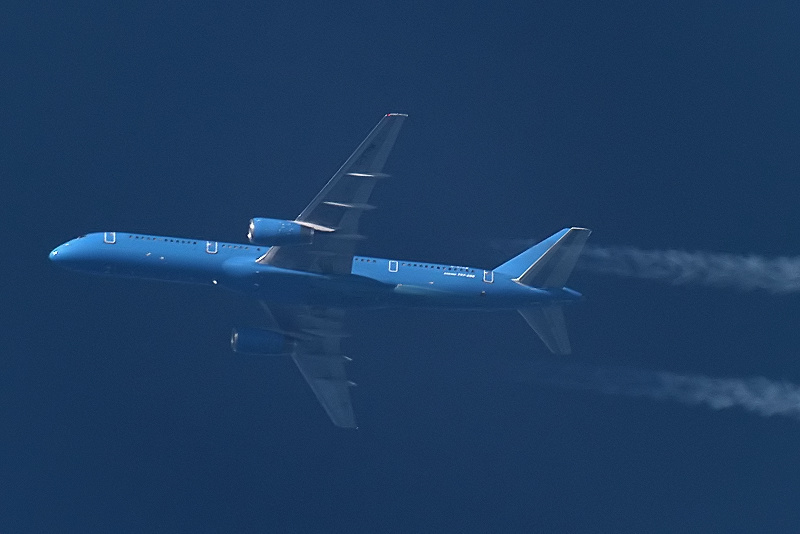 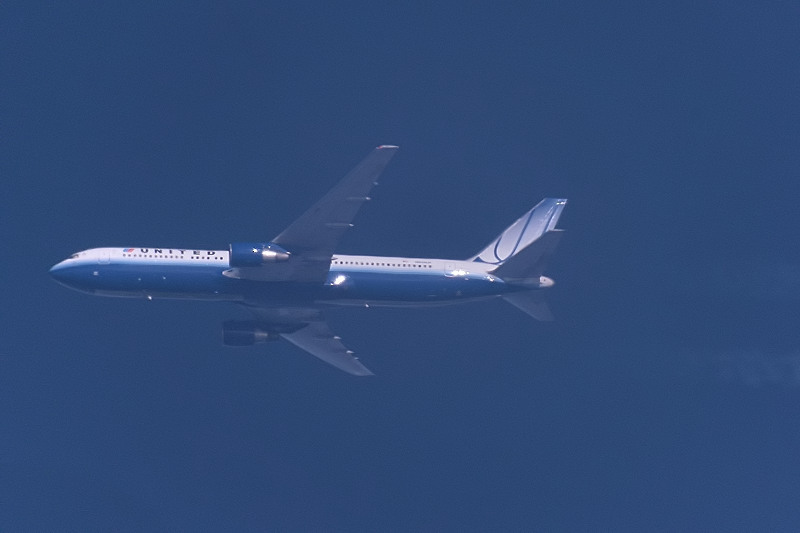 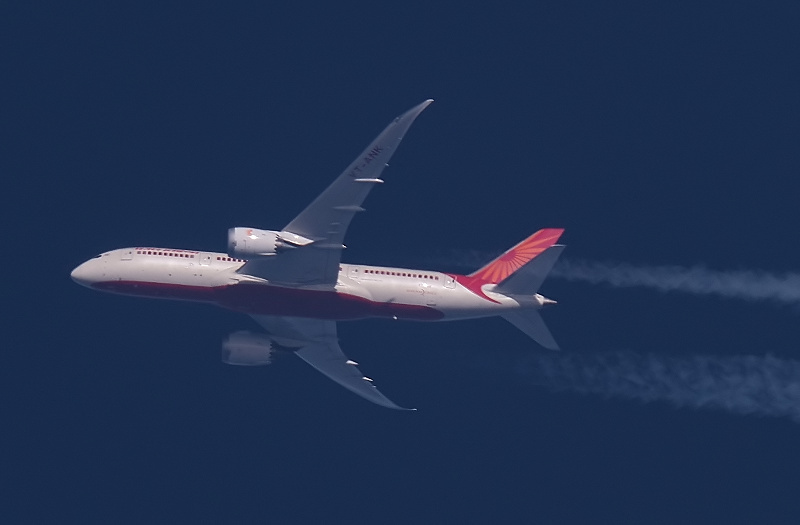 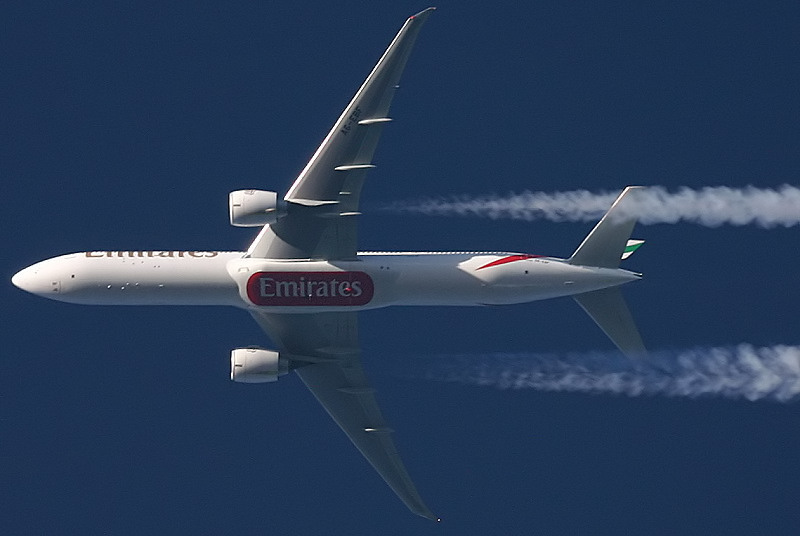 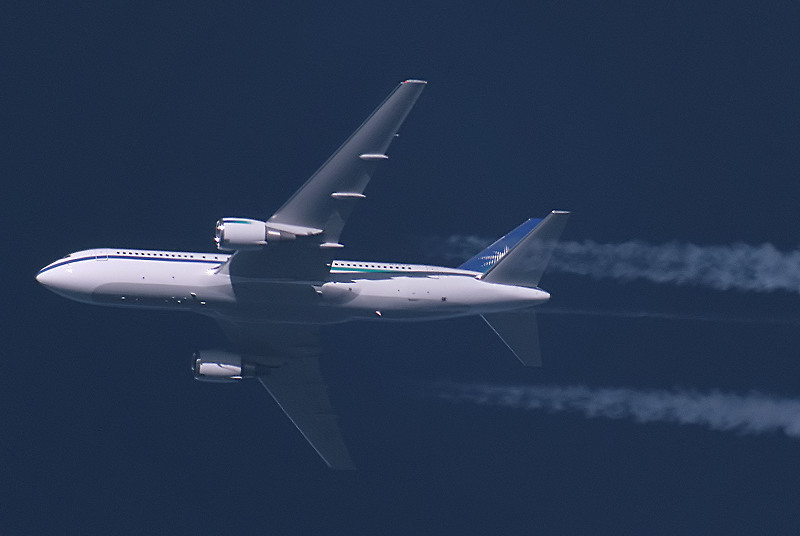 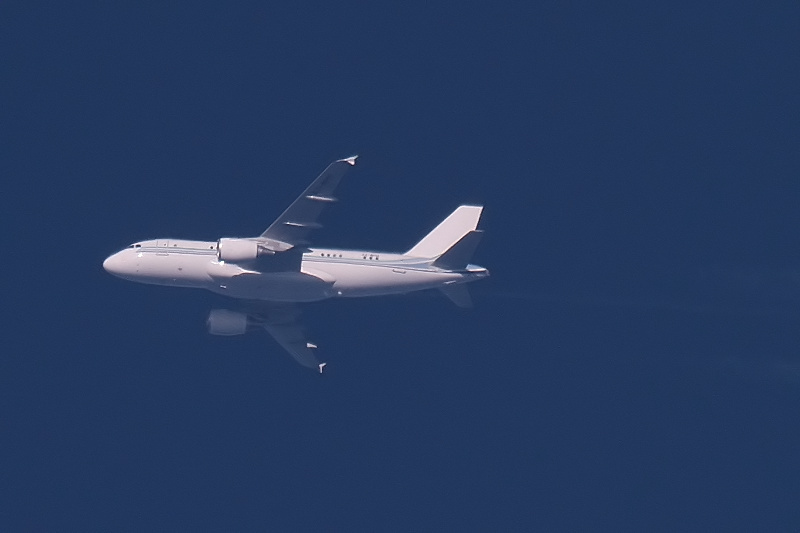 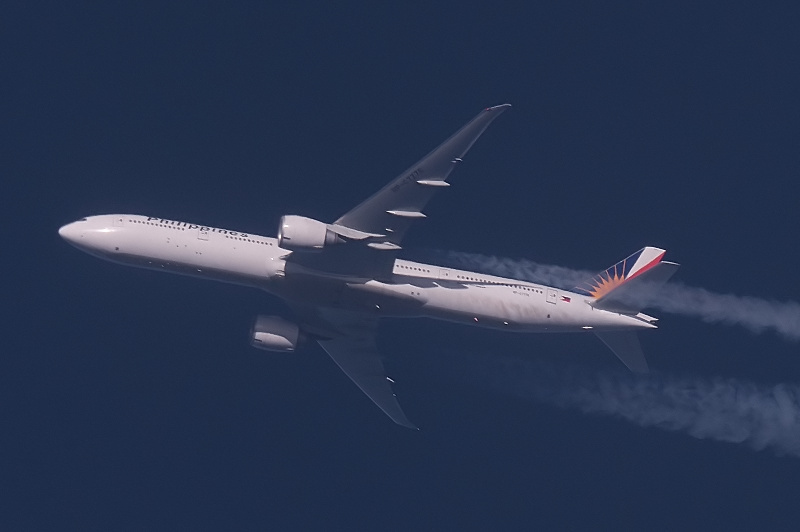 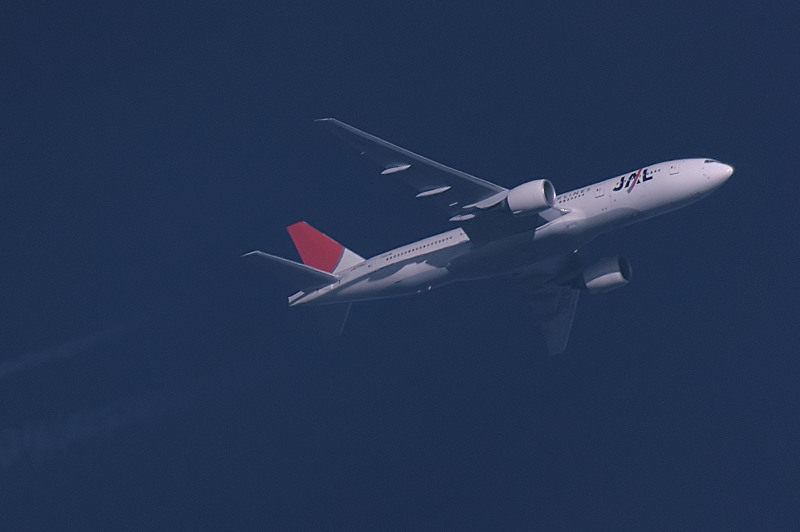 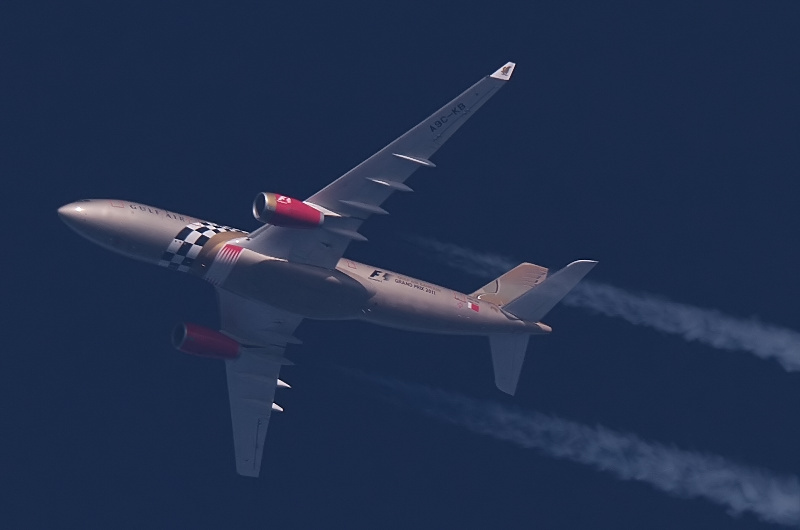 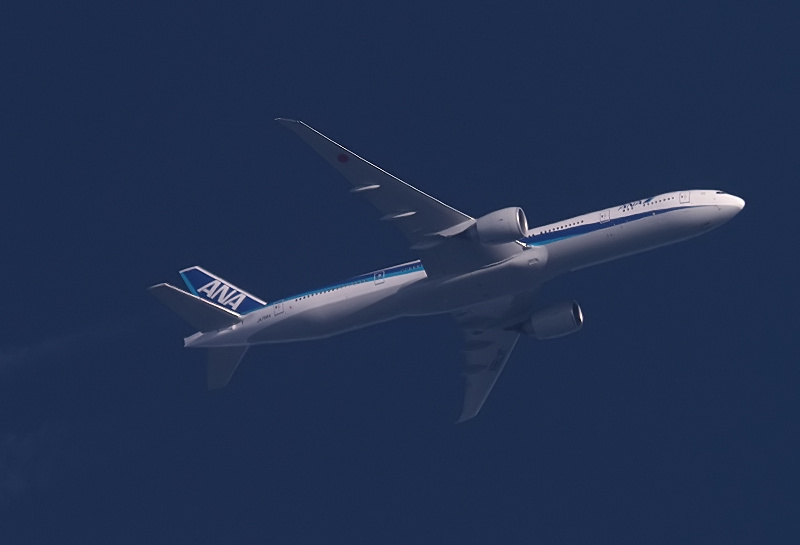 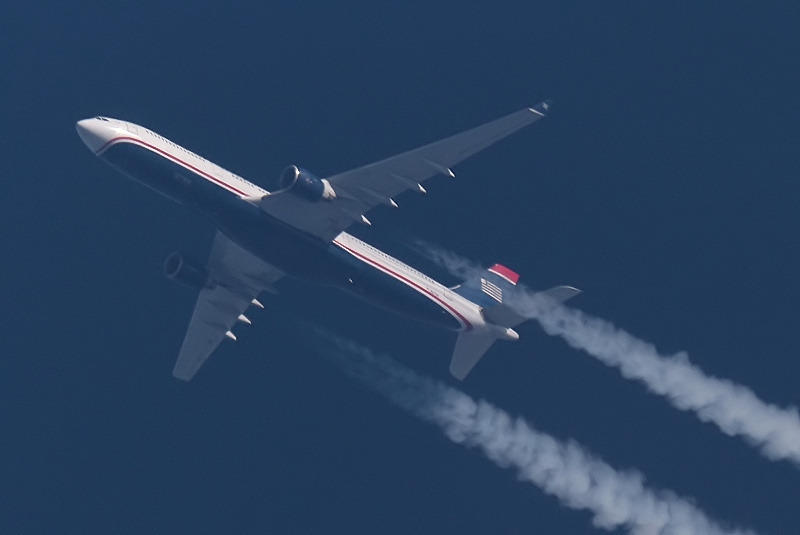 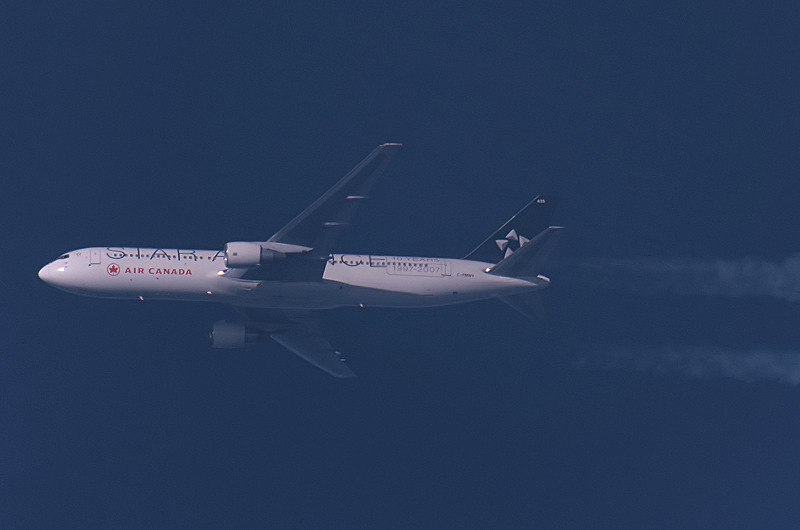 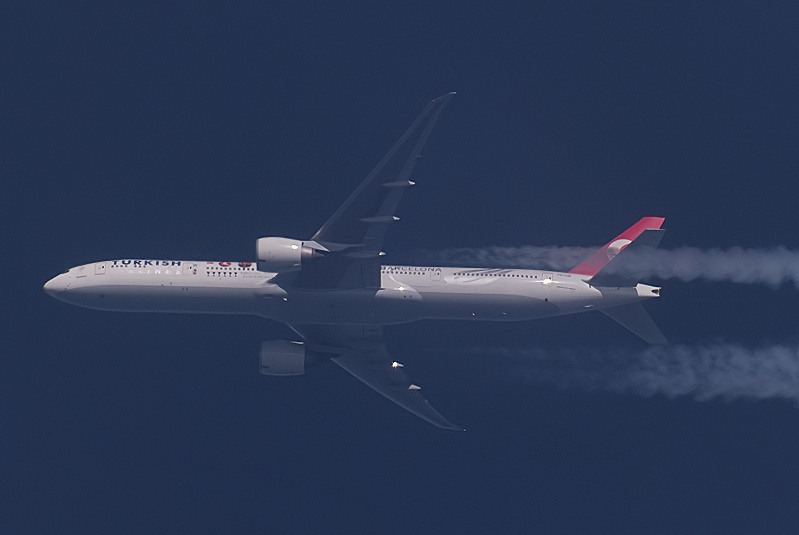 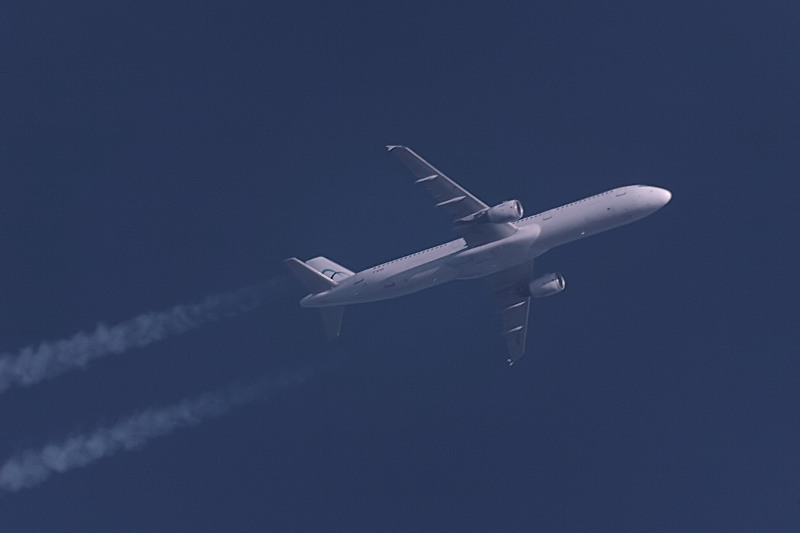 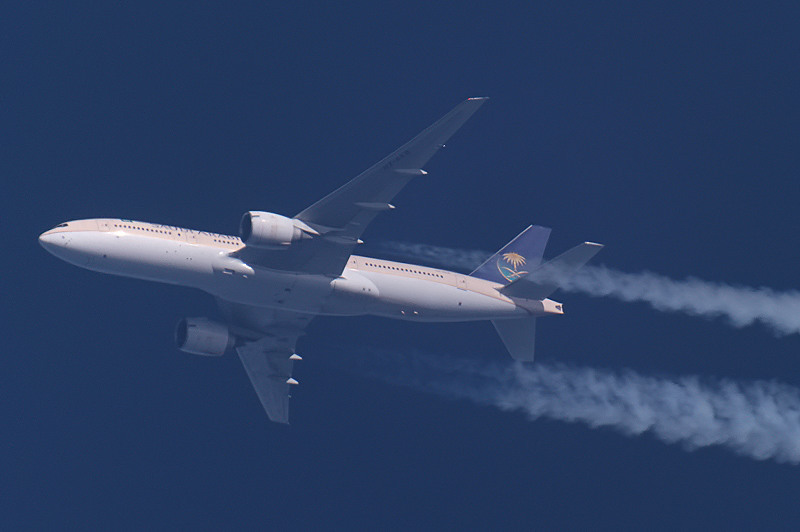 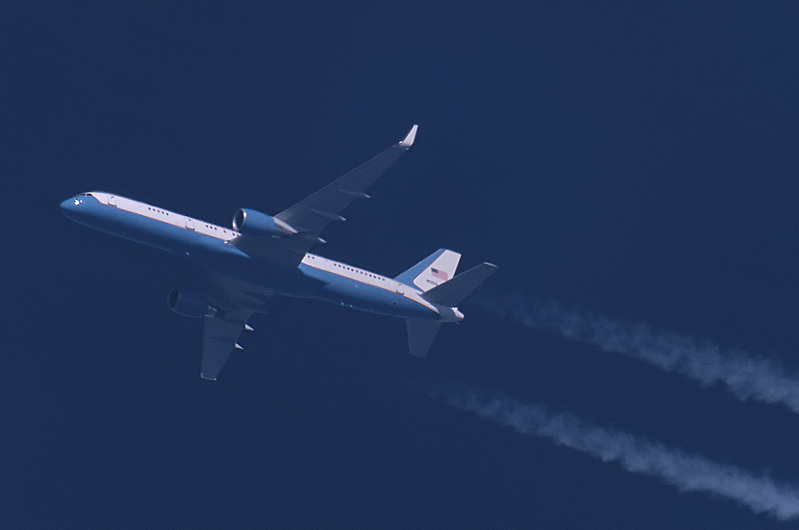 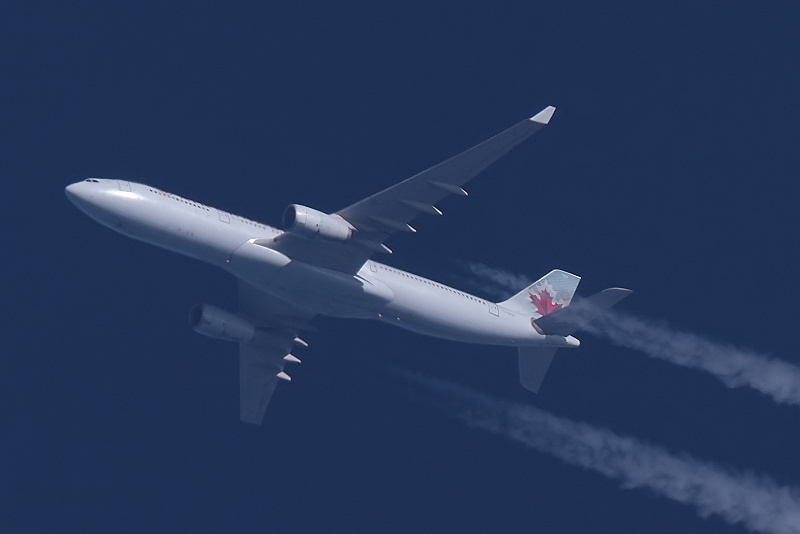 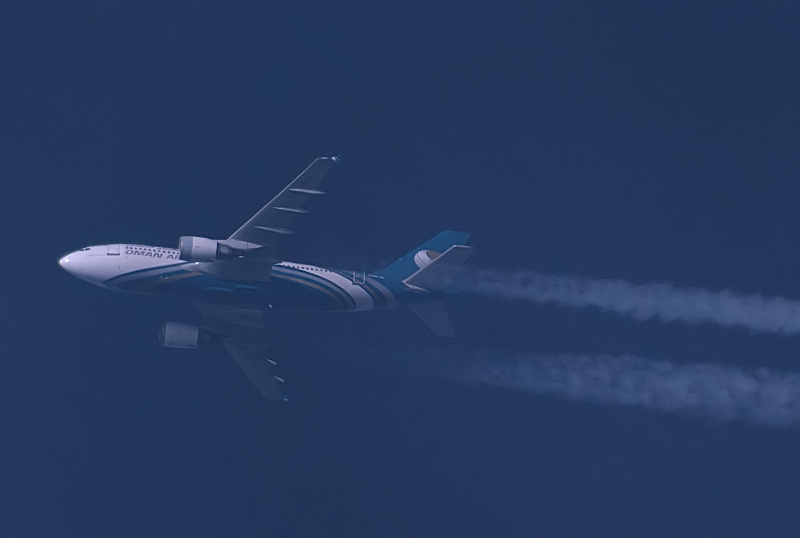 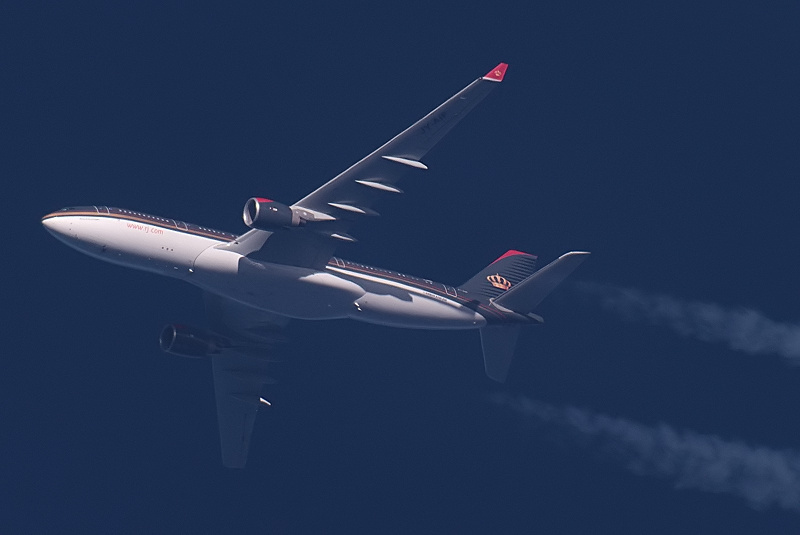 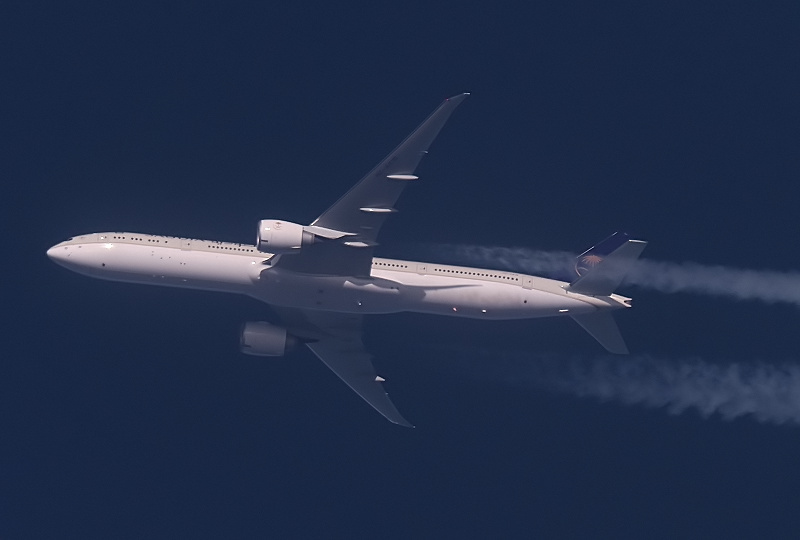 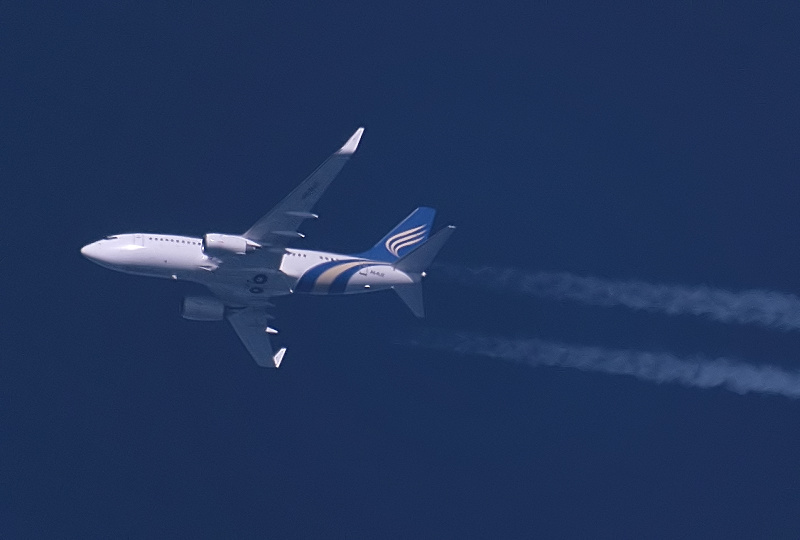 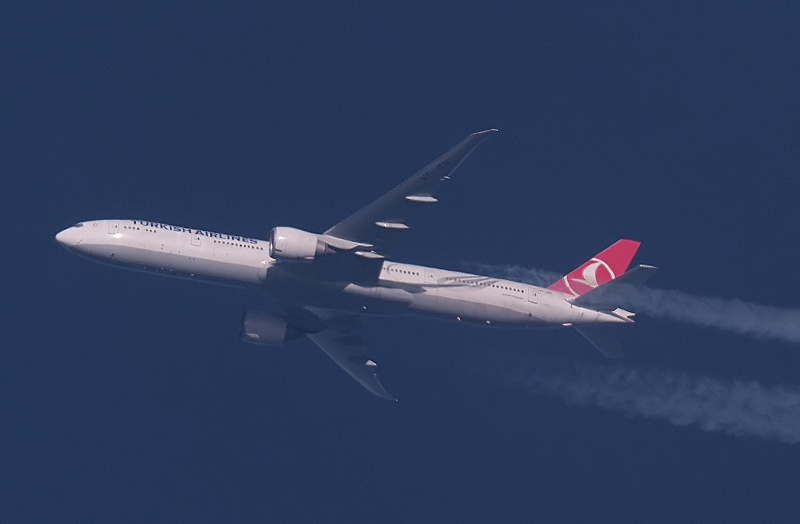 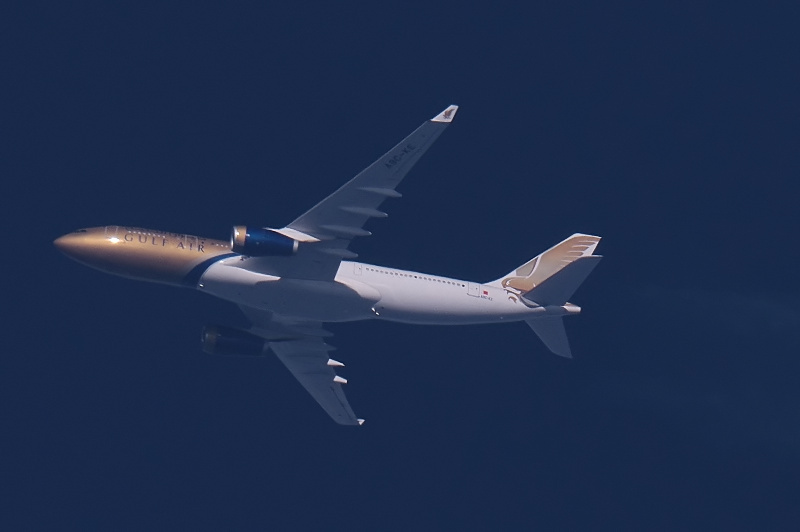 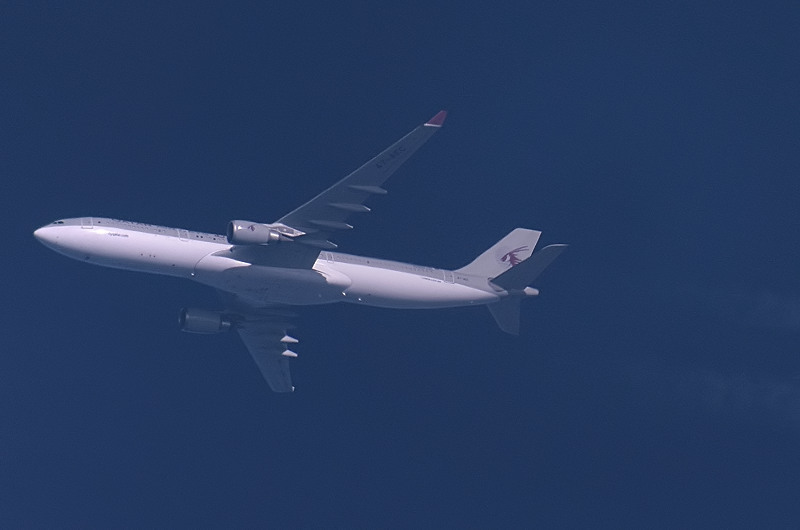 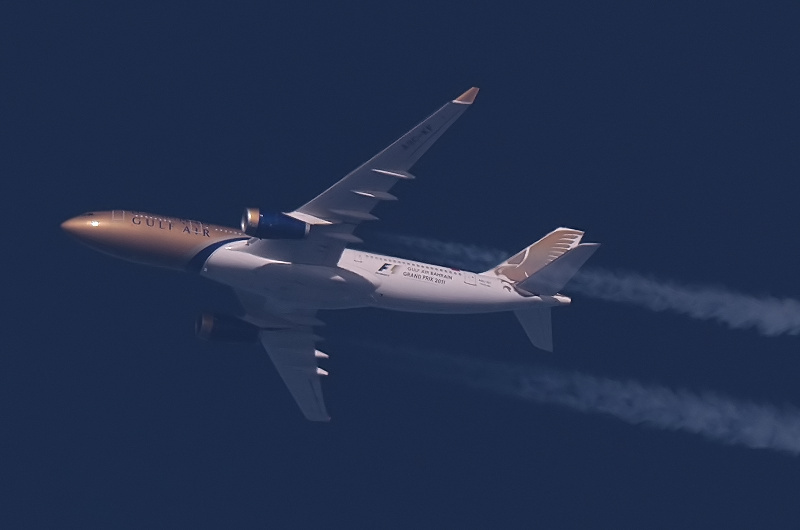 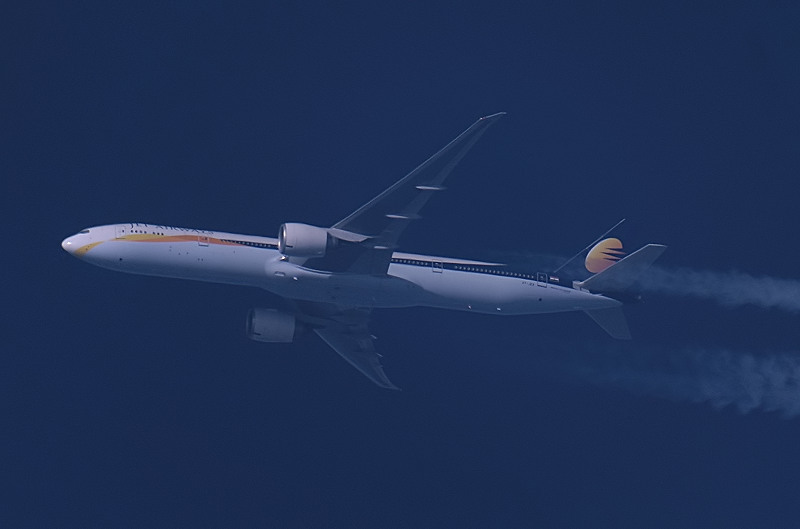 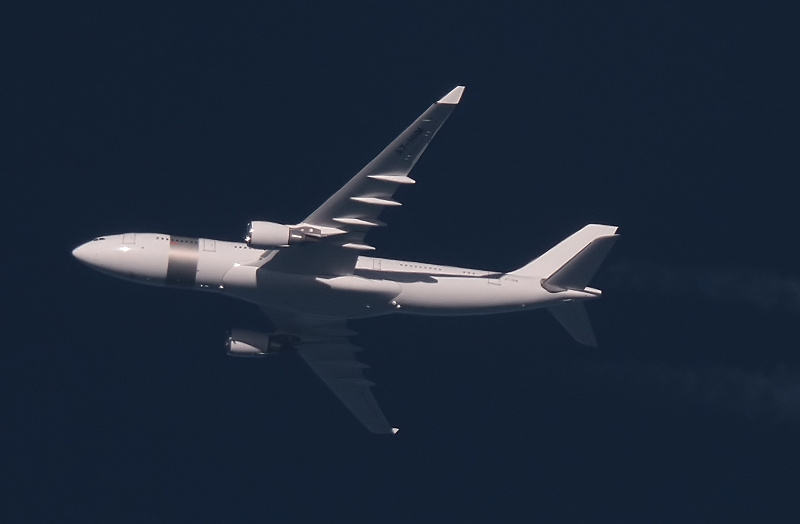 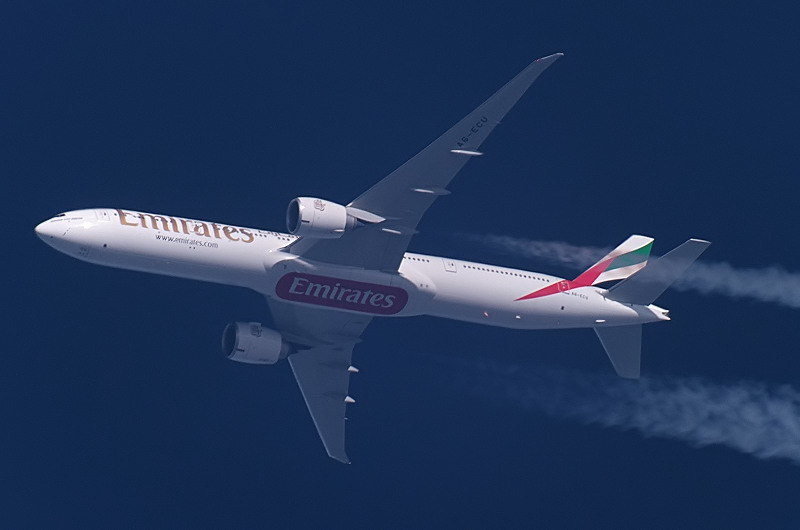 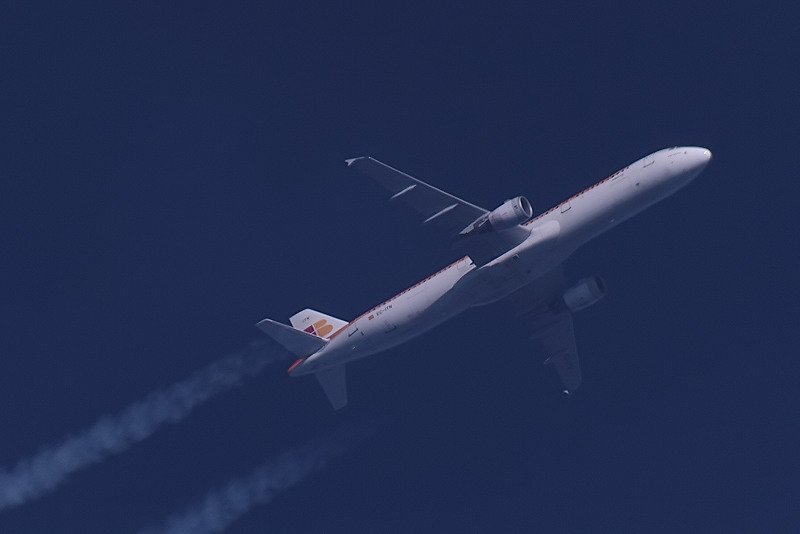 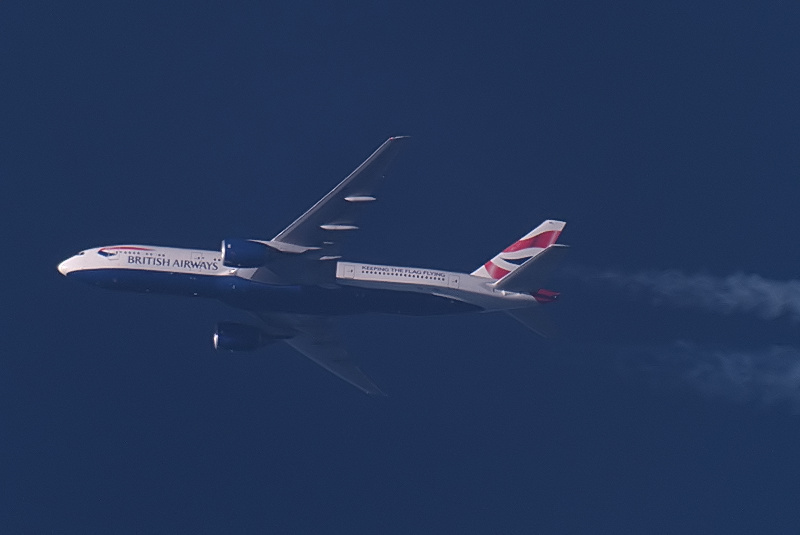 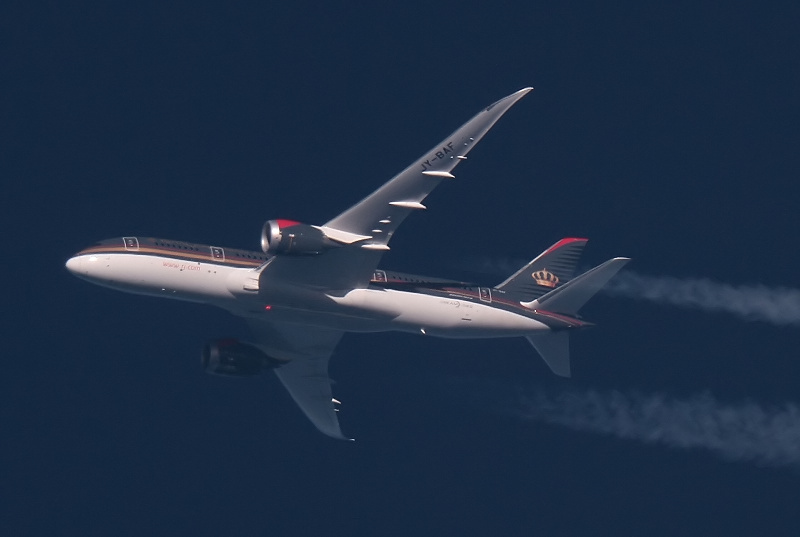 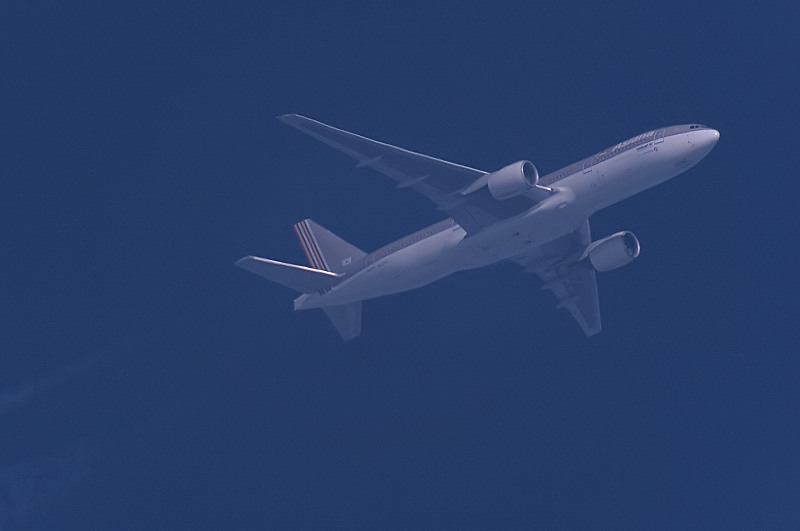 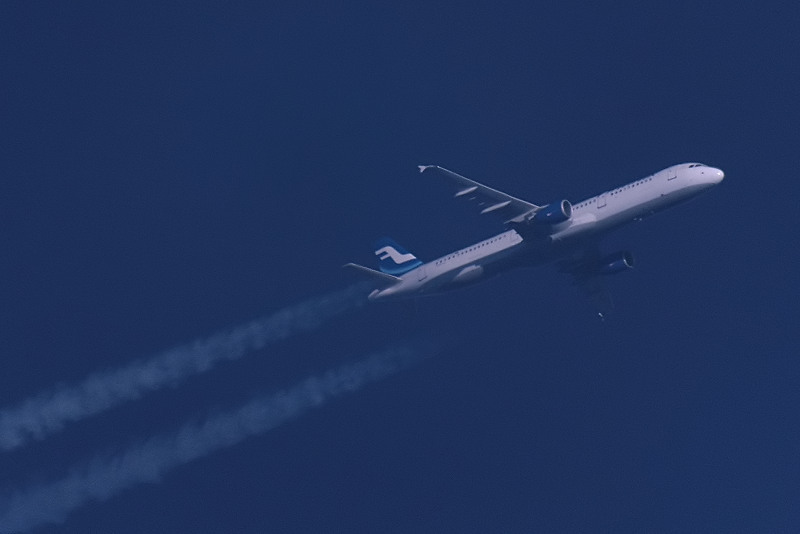 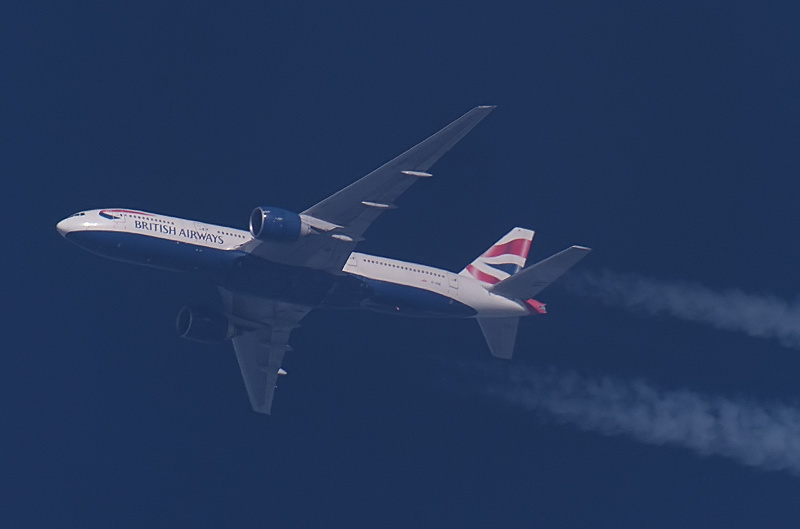 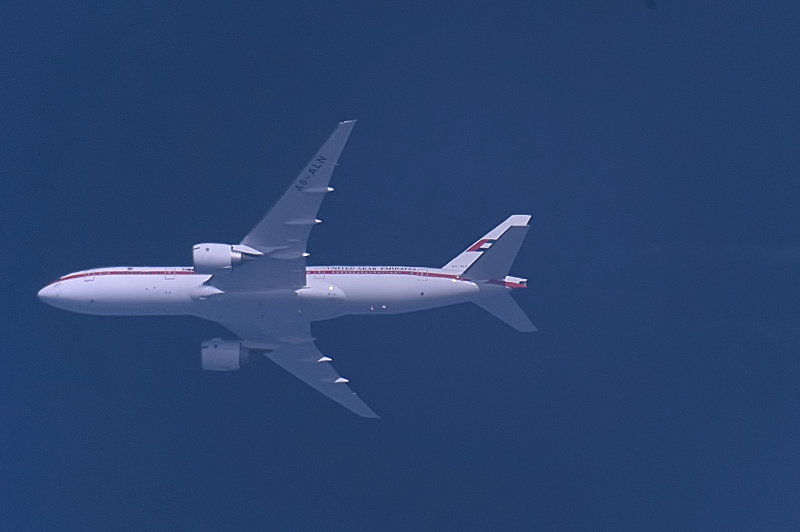 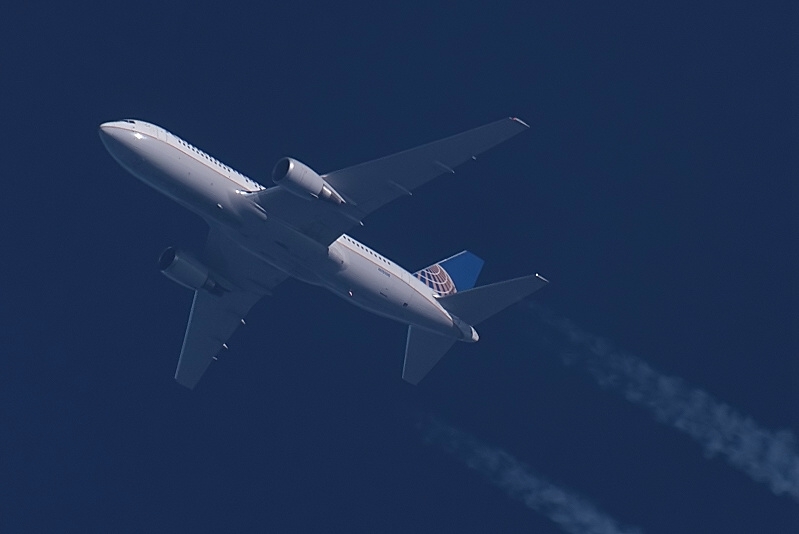 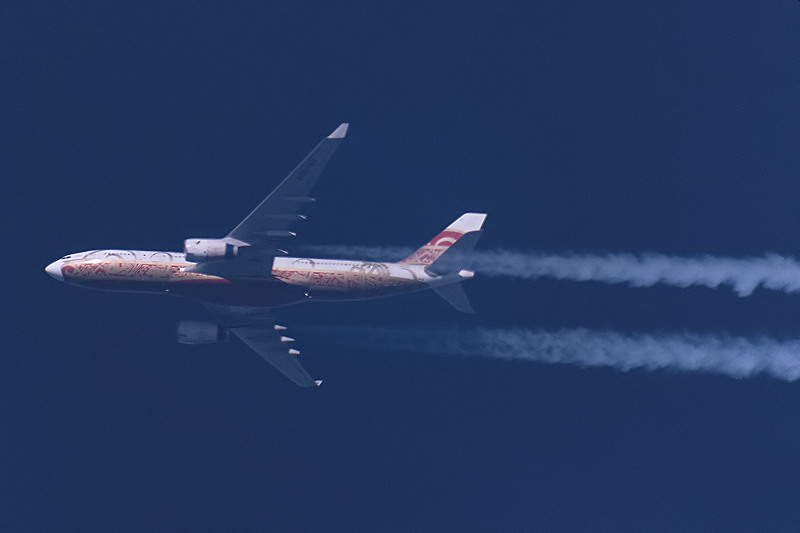 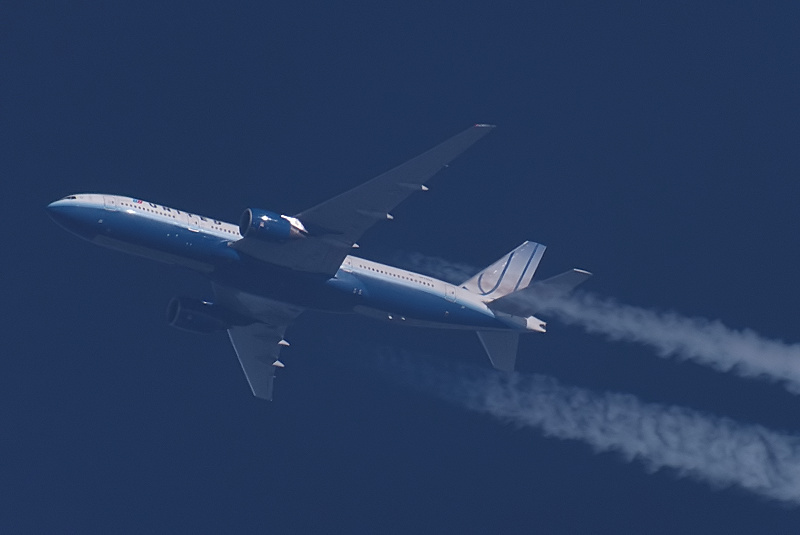 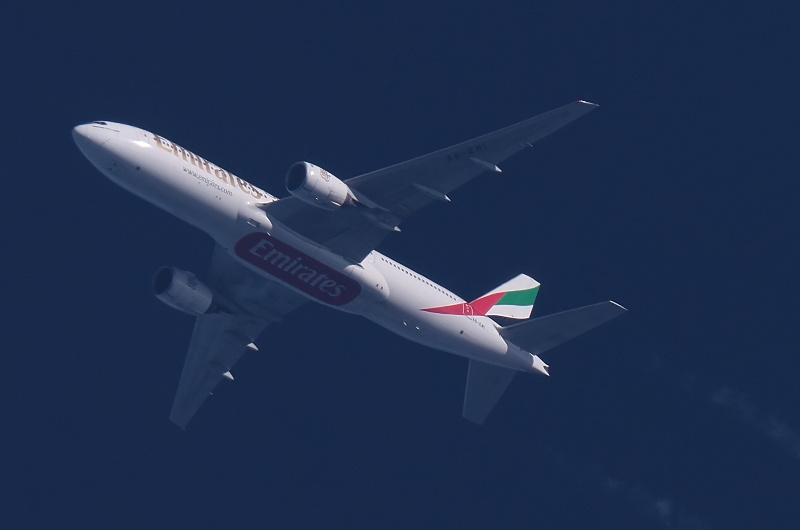 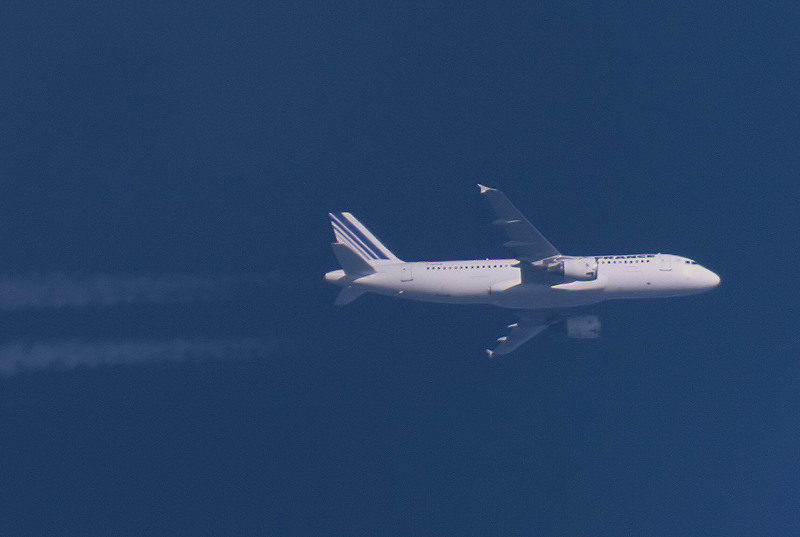 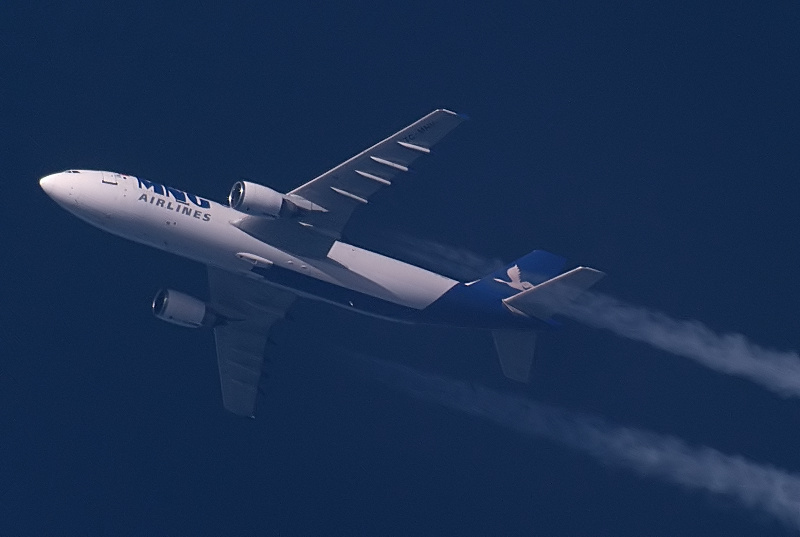 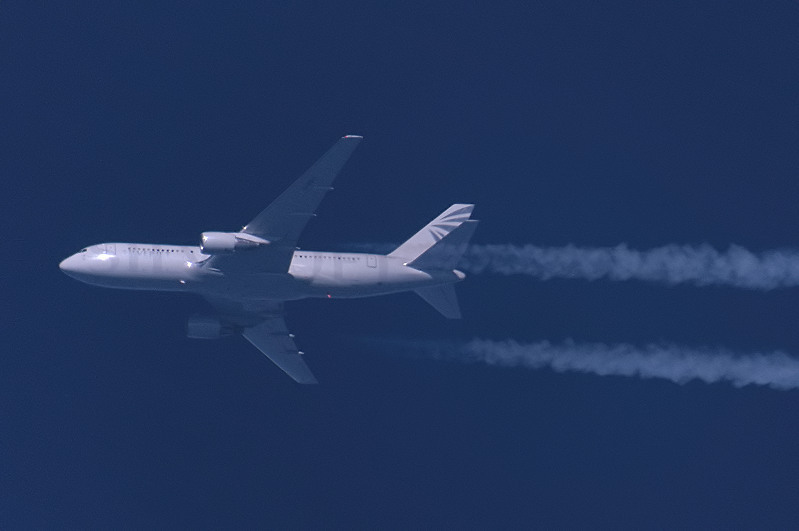 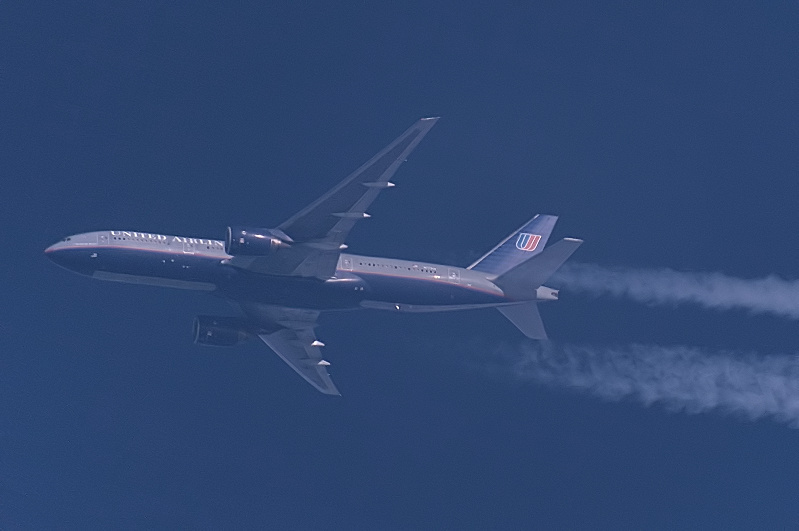 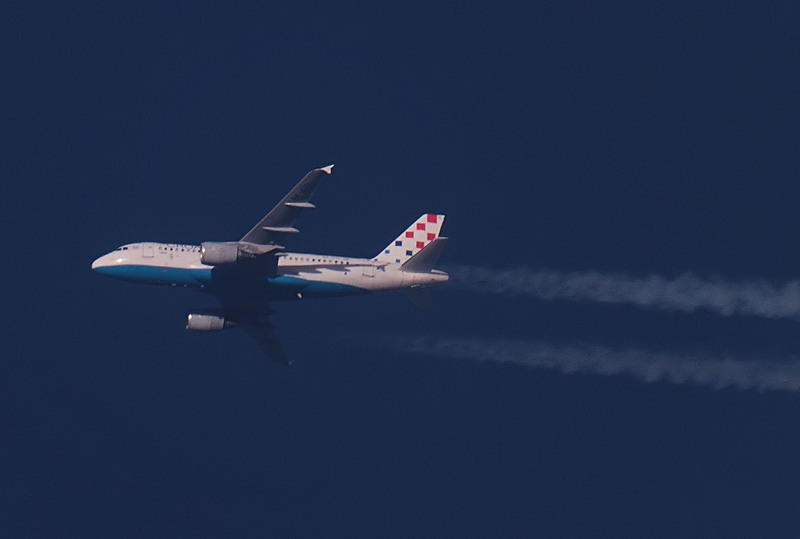 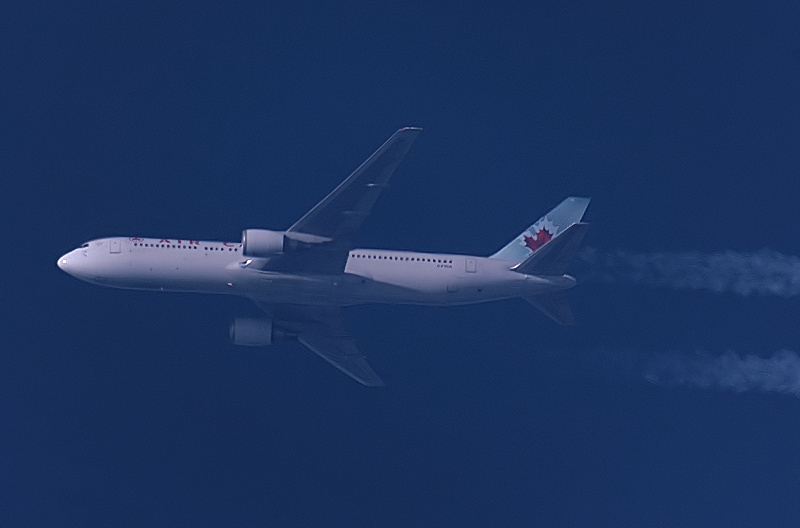 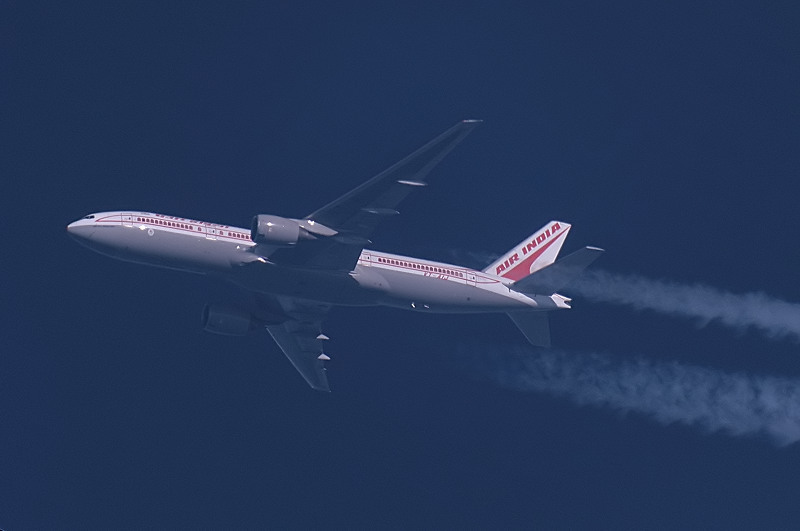 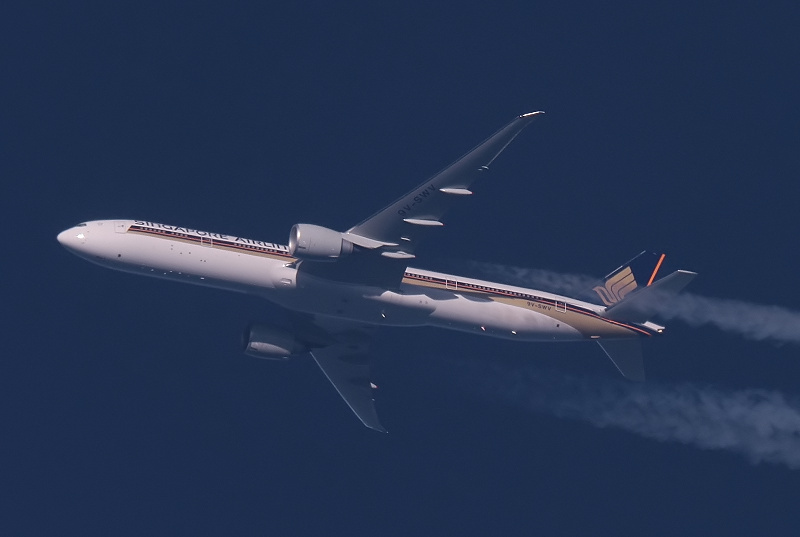 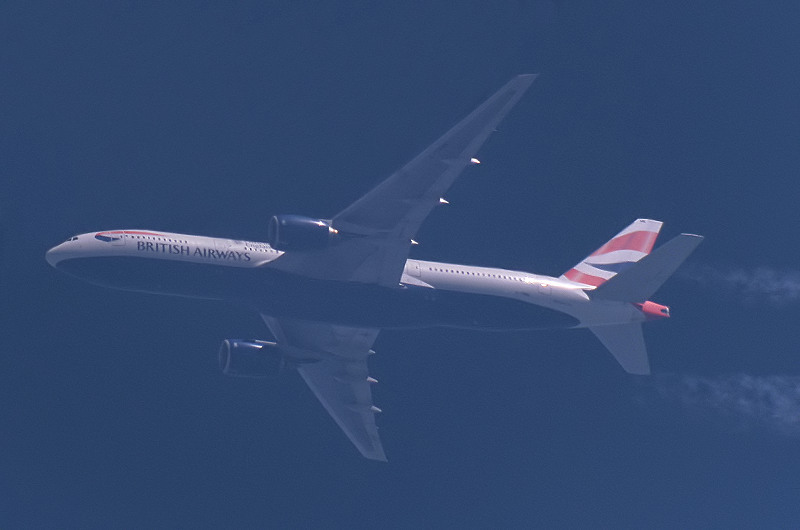 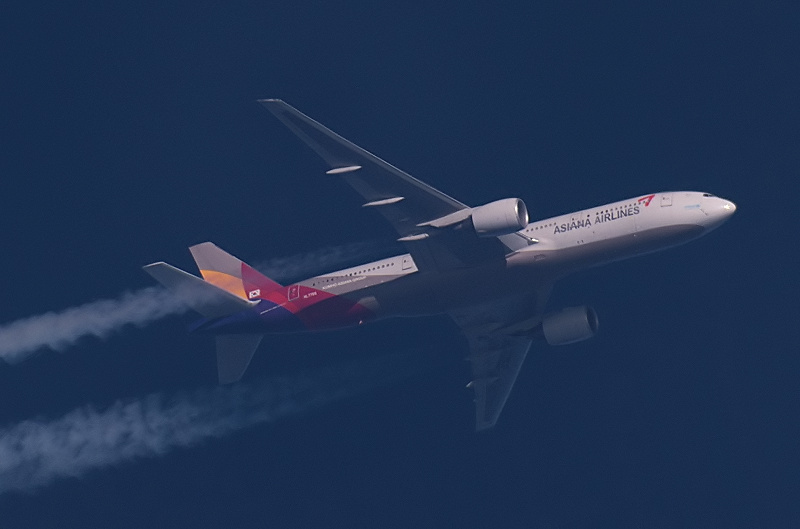 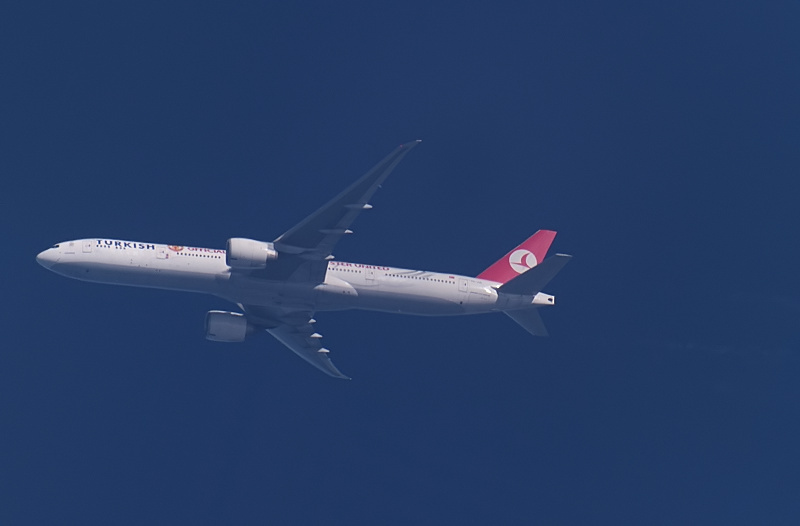 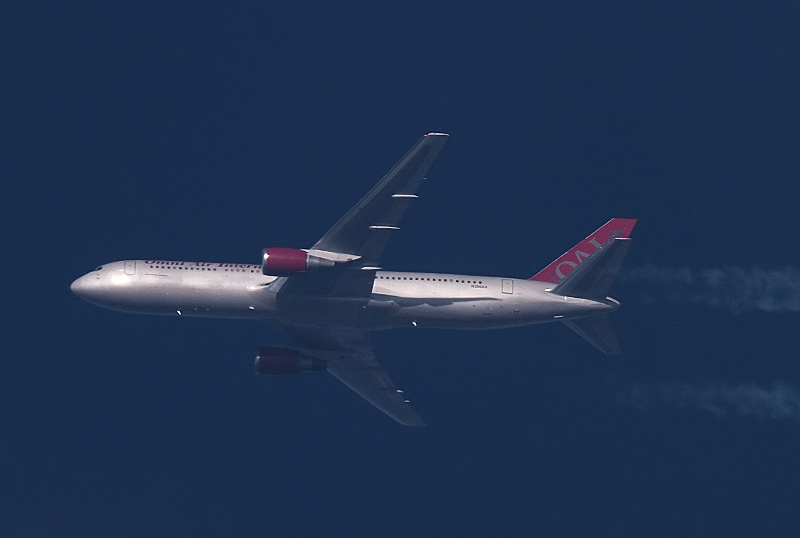 All Nippon Airways B777-300 JA784A at 36000 ft enroute Tokyo (NRT) - Paris (CDG) as ANA205. 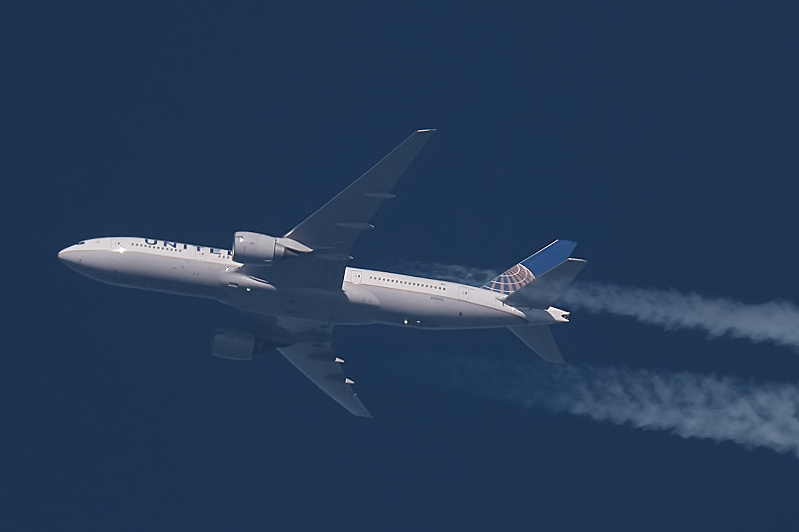 22/10/11 - 1715 - UL608. 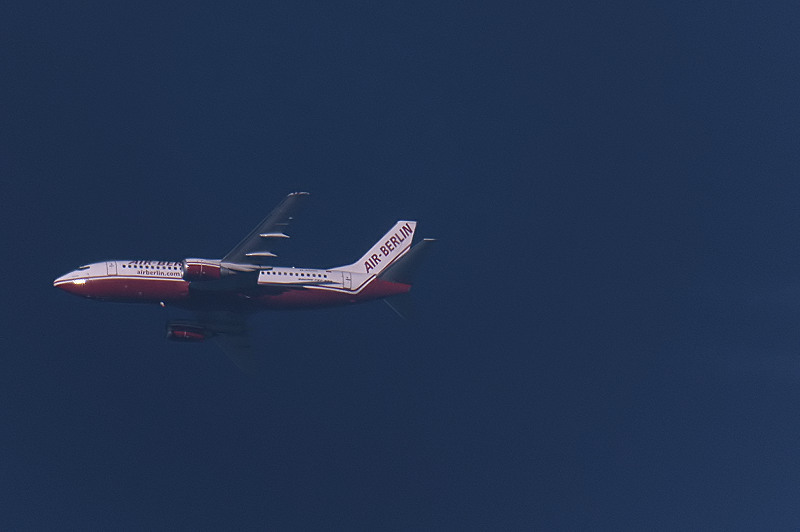 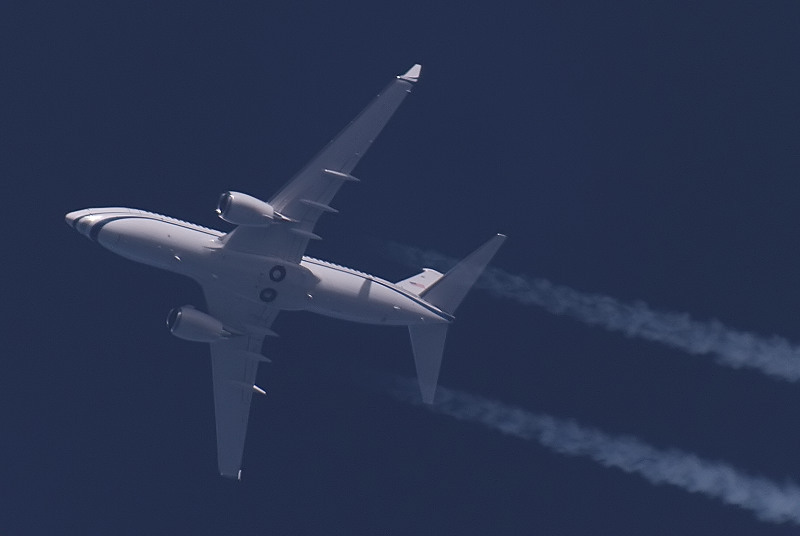 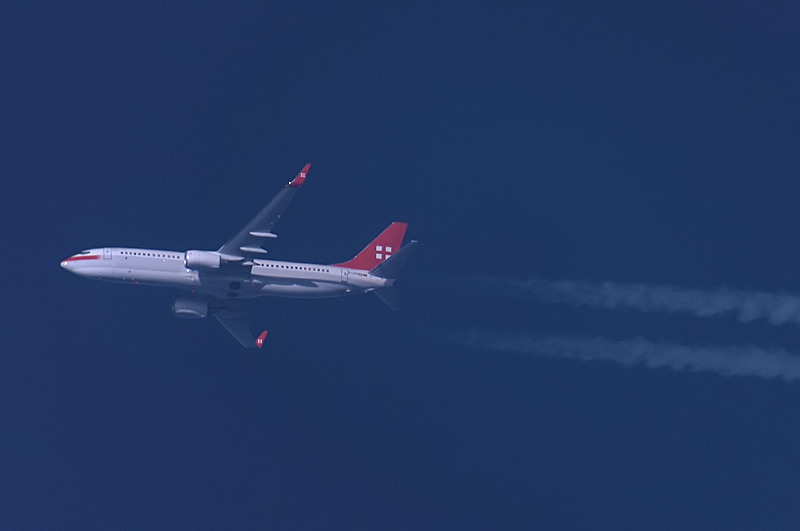 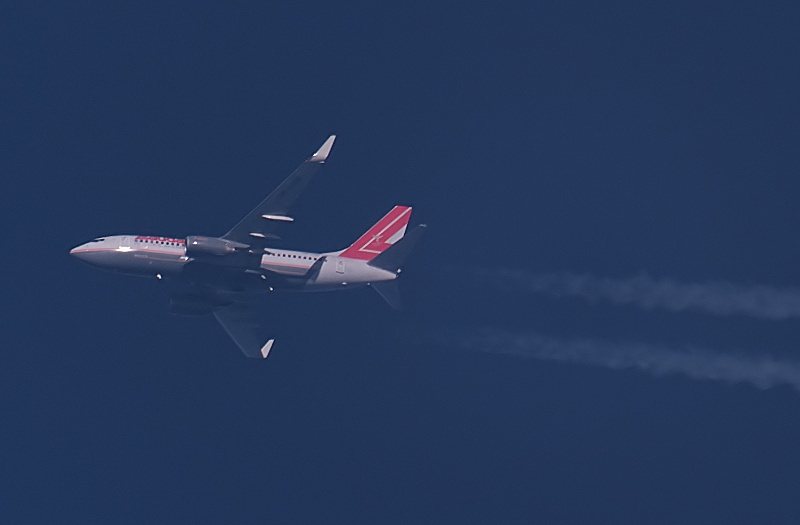 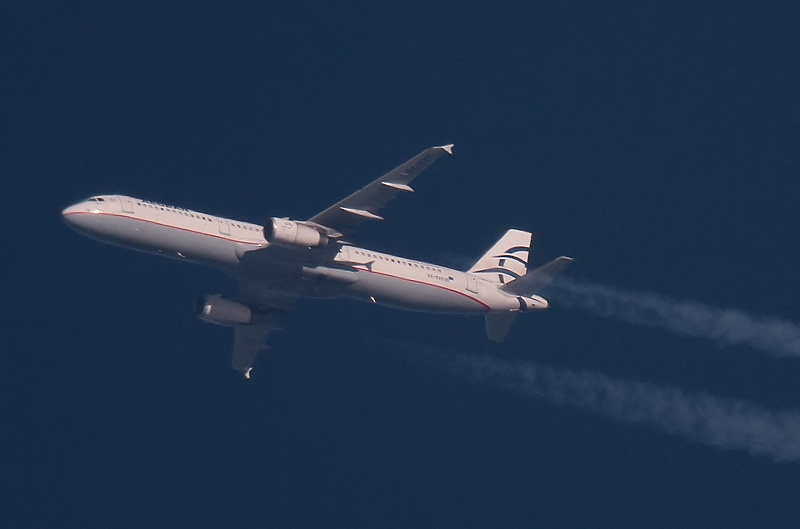 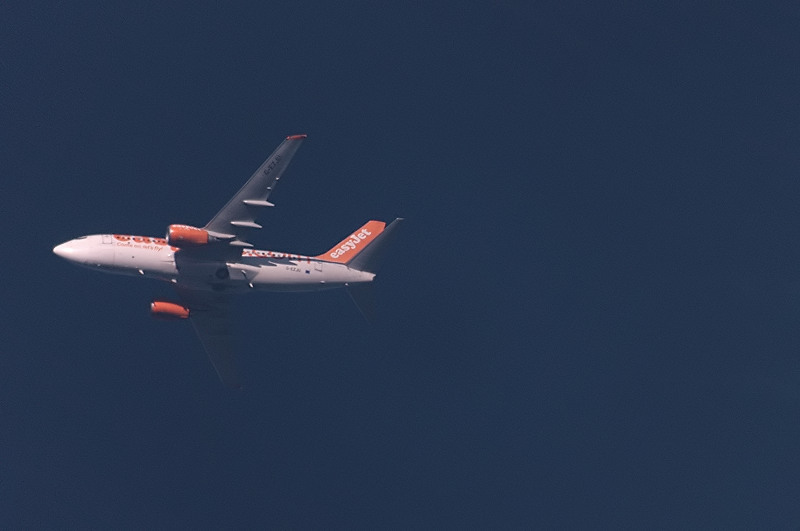 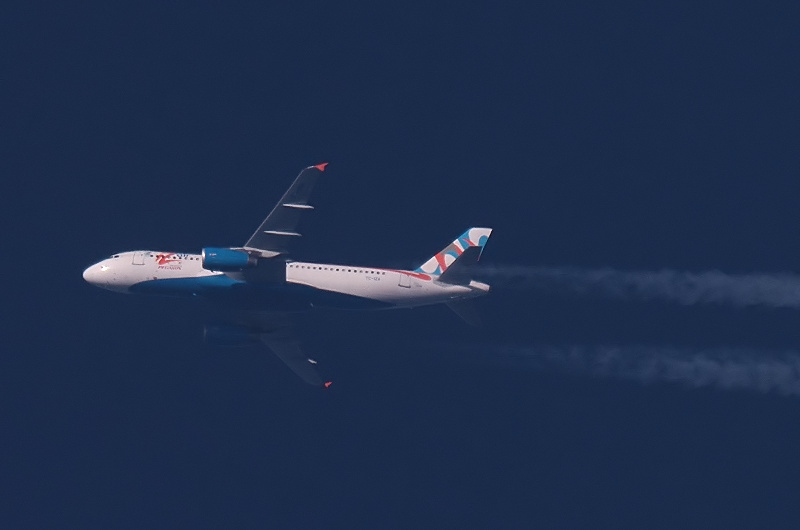 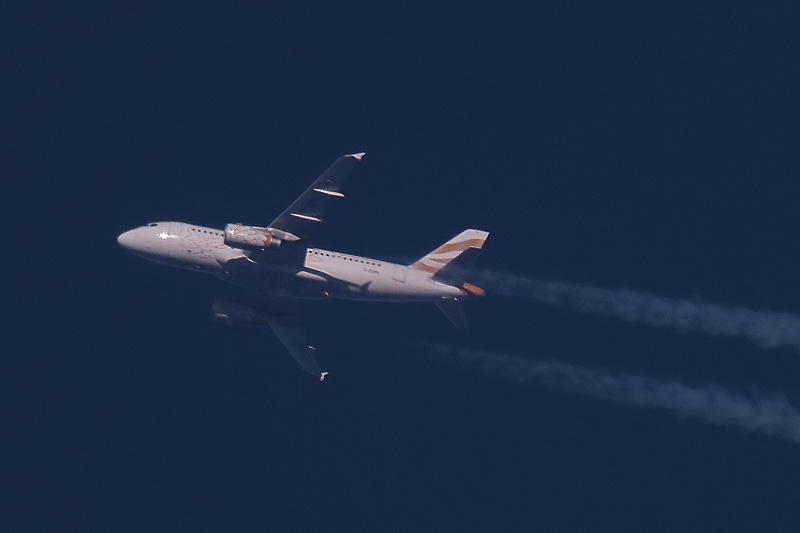 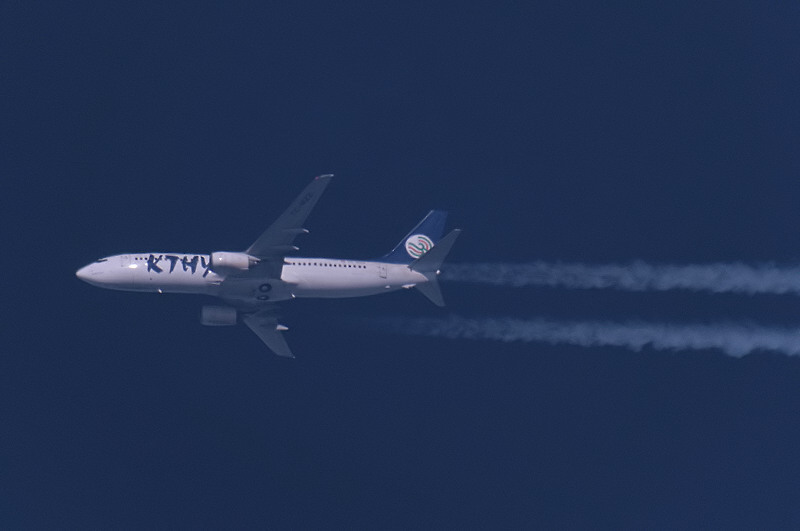 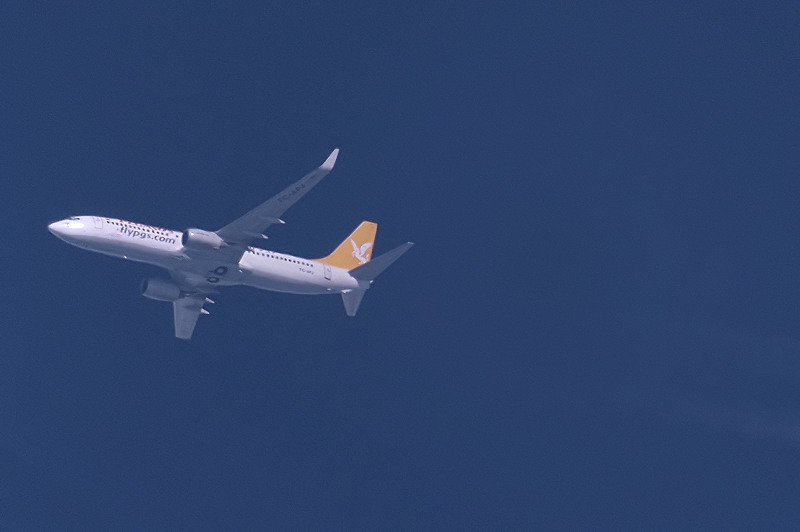 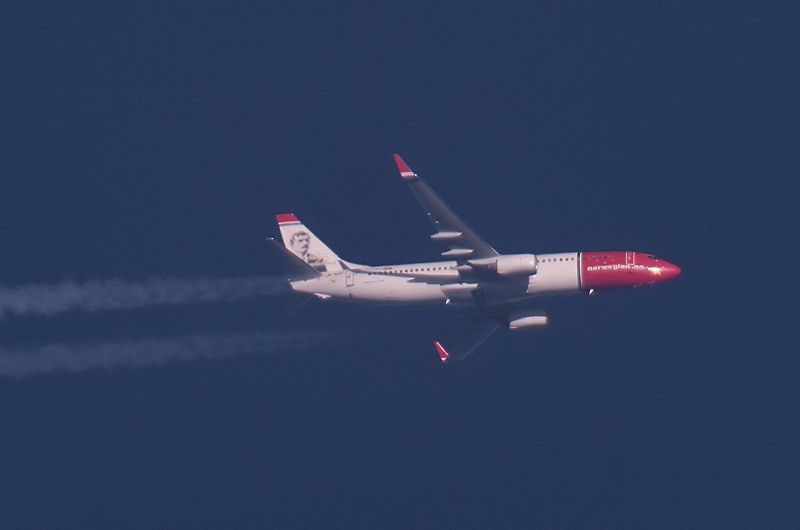 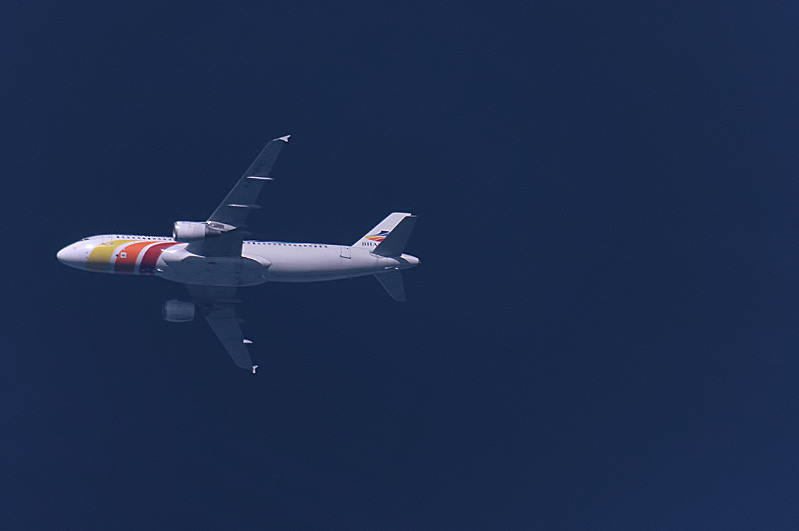 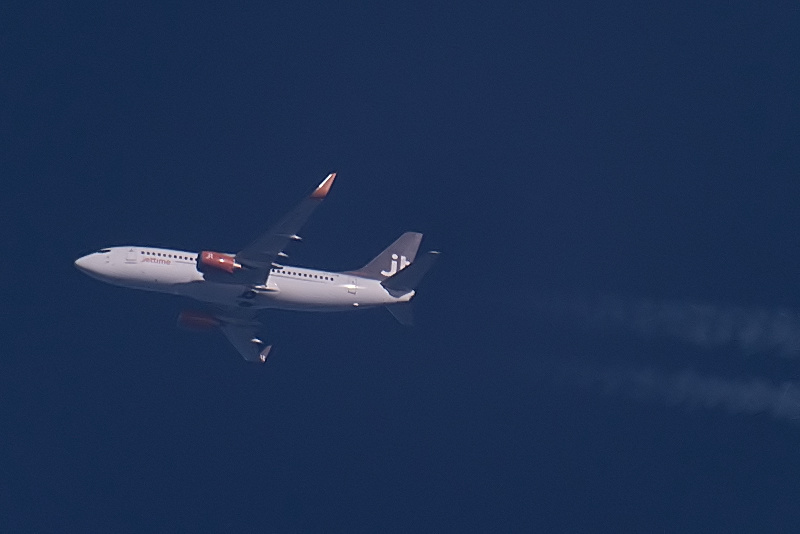 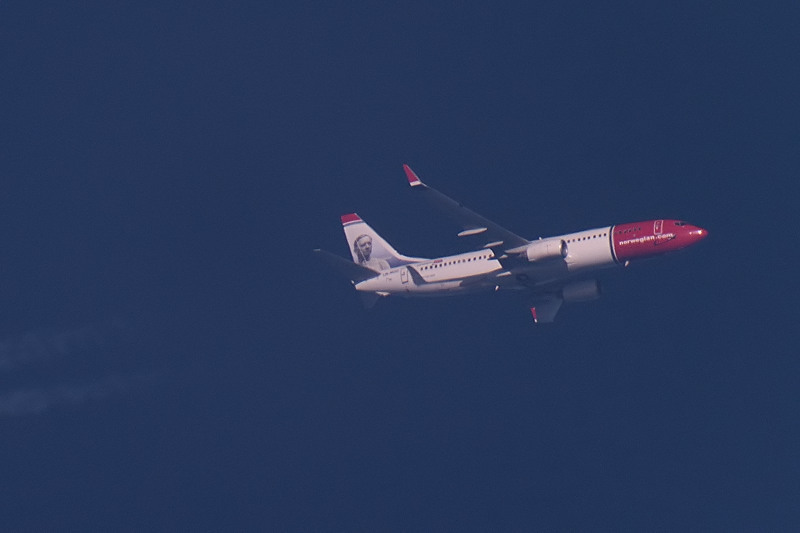 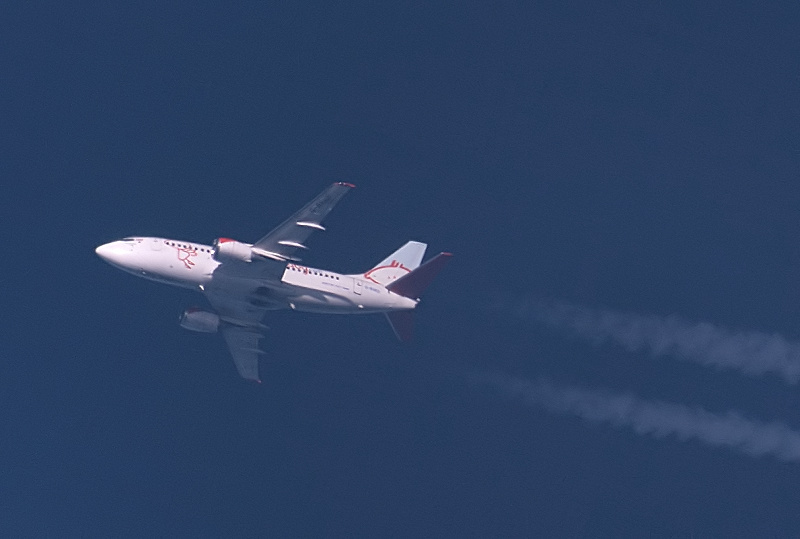 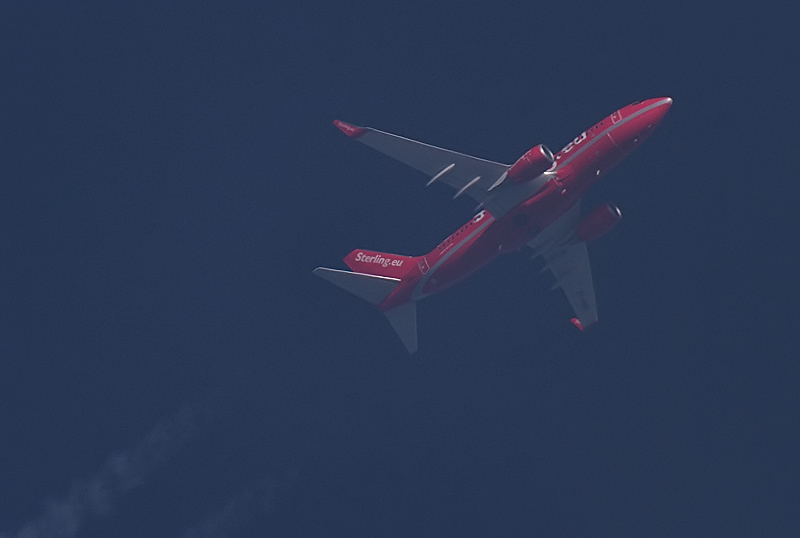 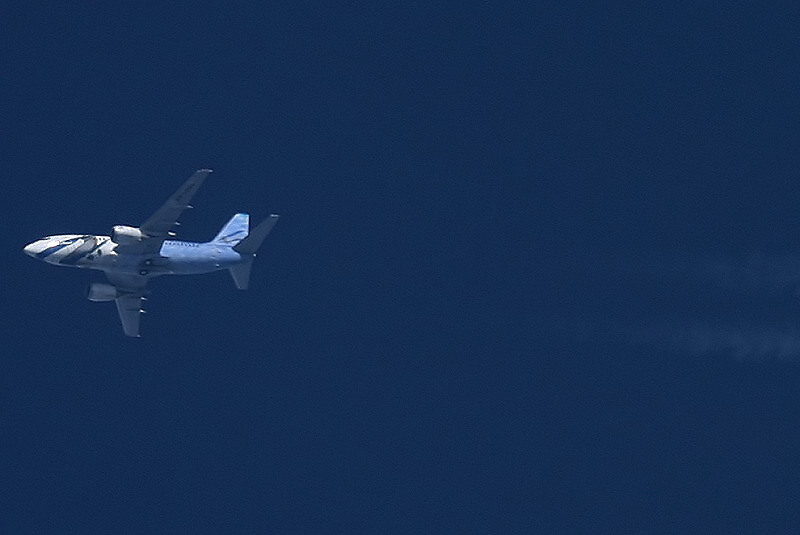 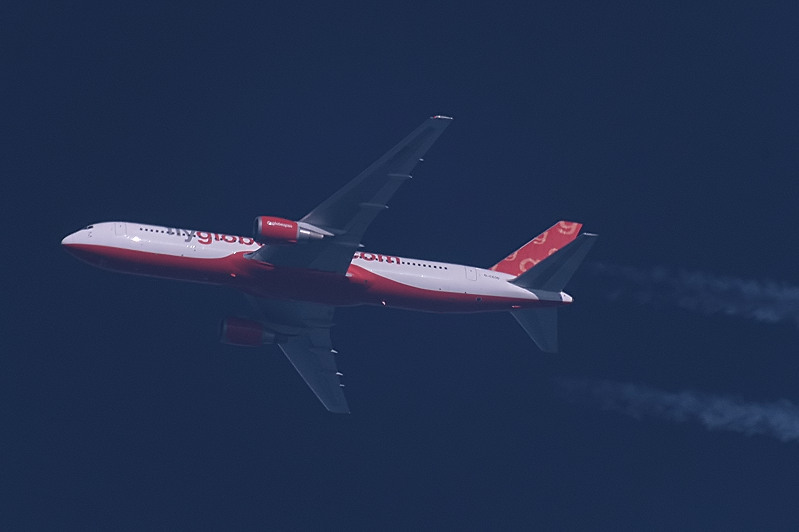 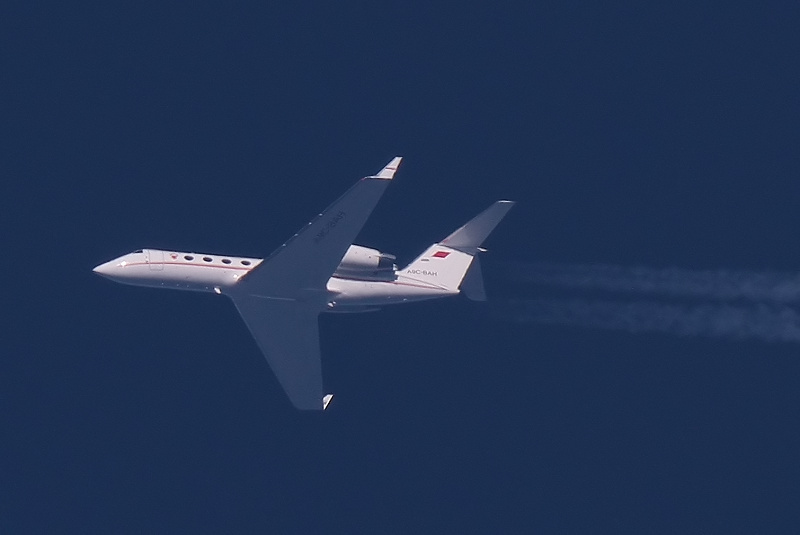 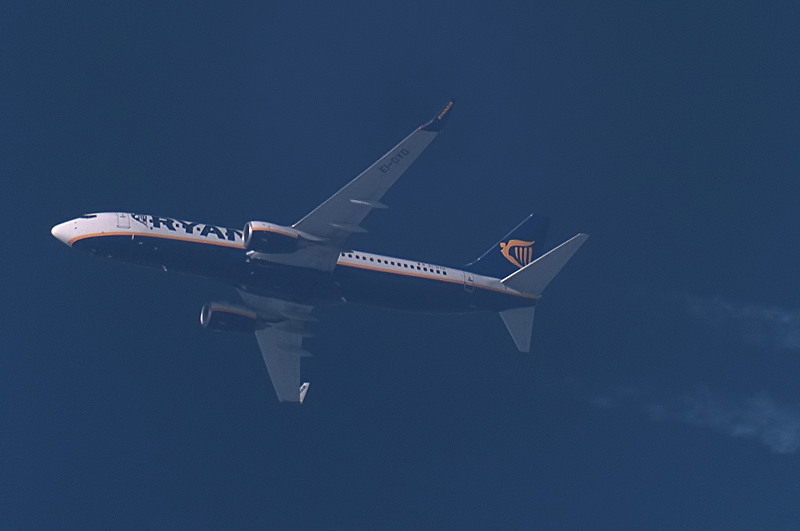 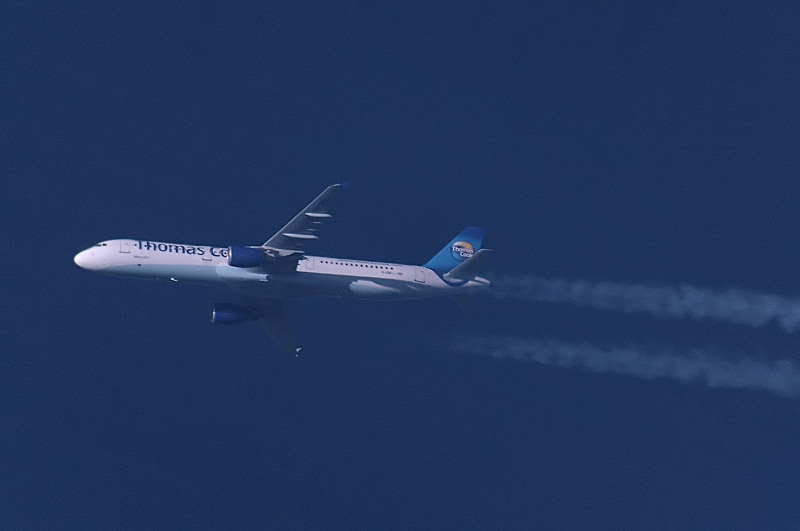 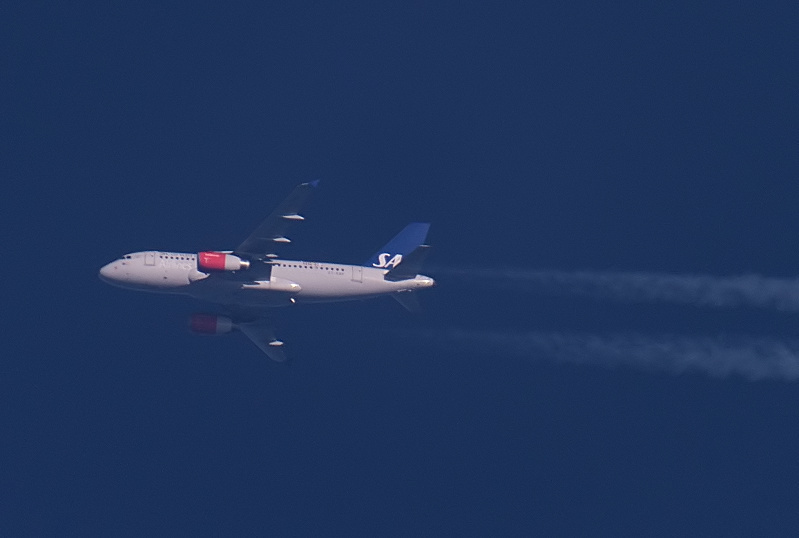 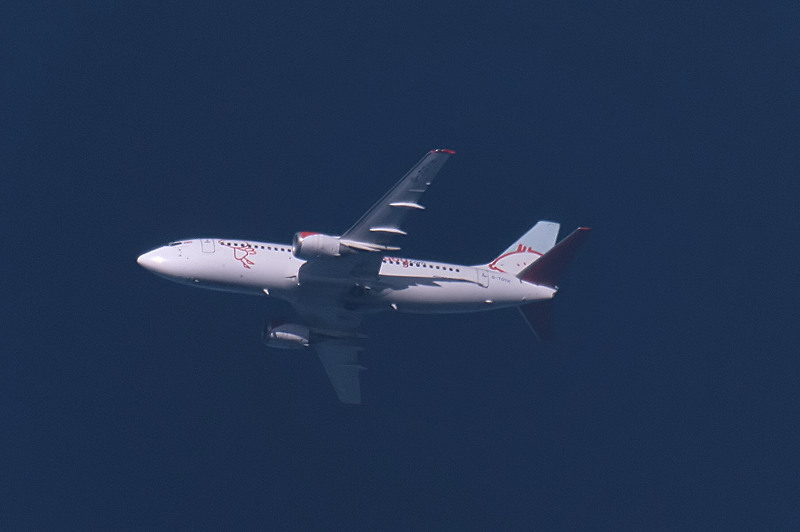 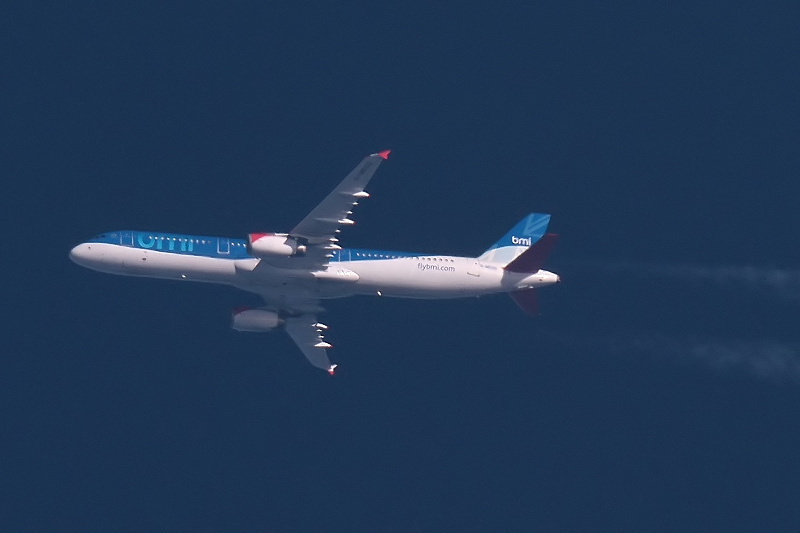 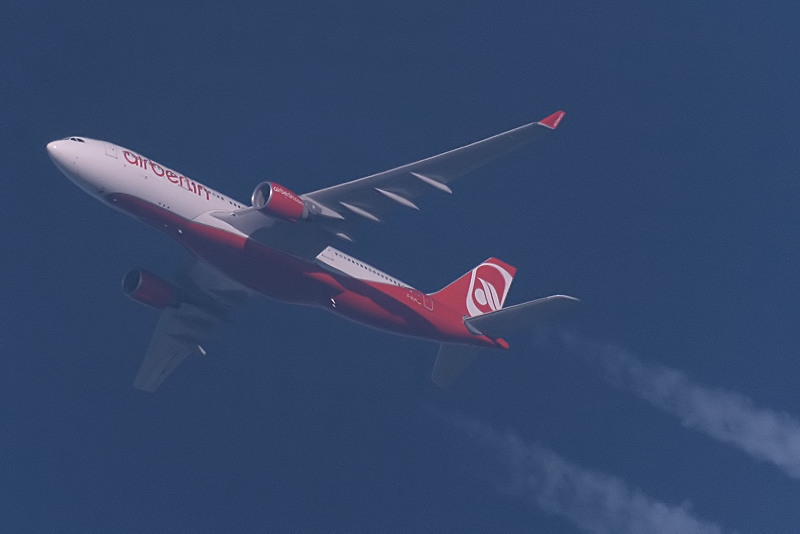 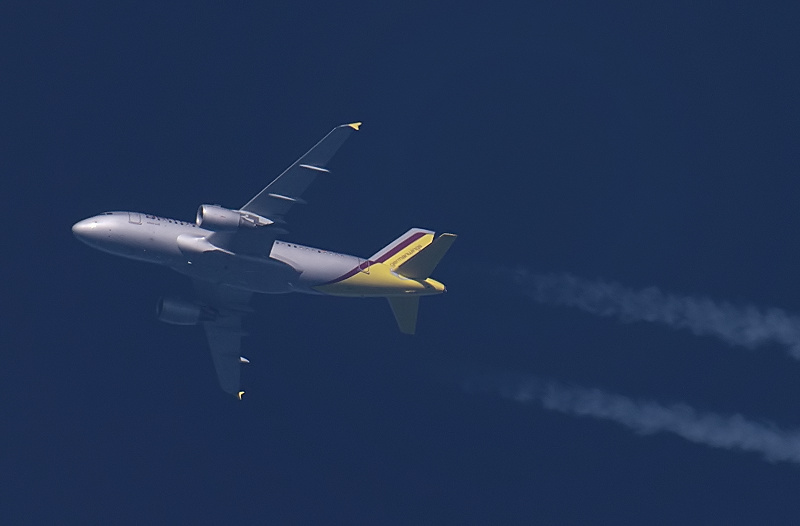 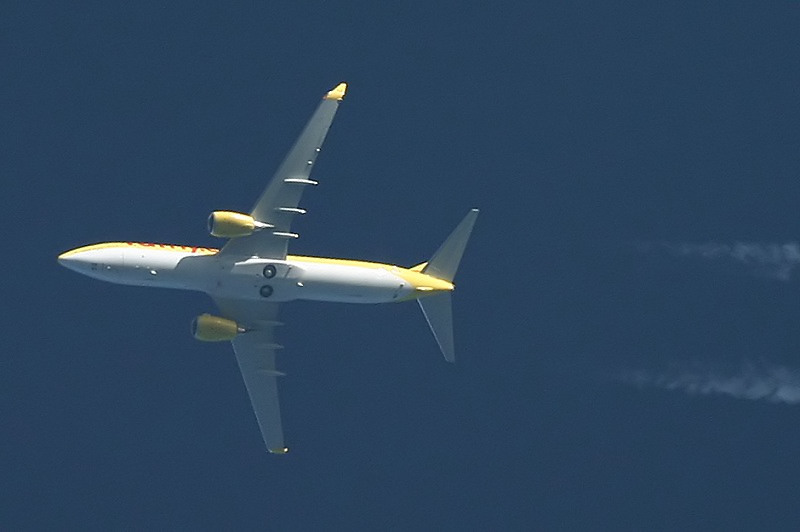 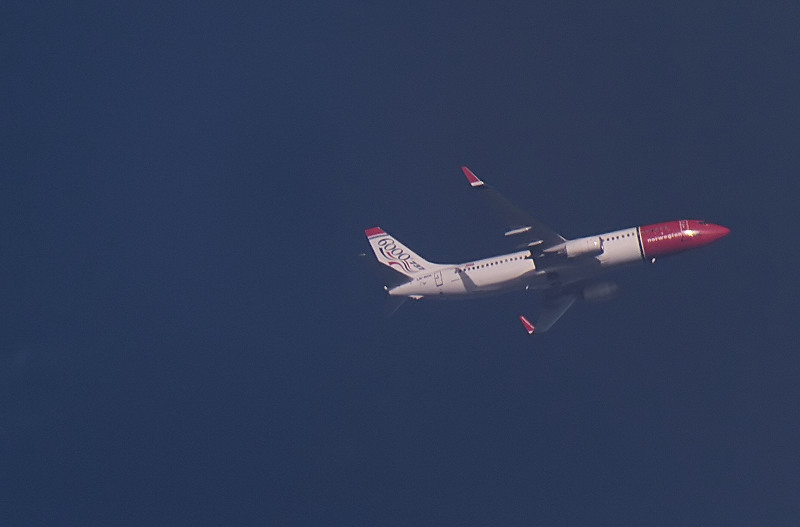 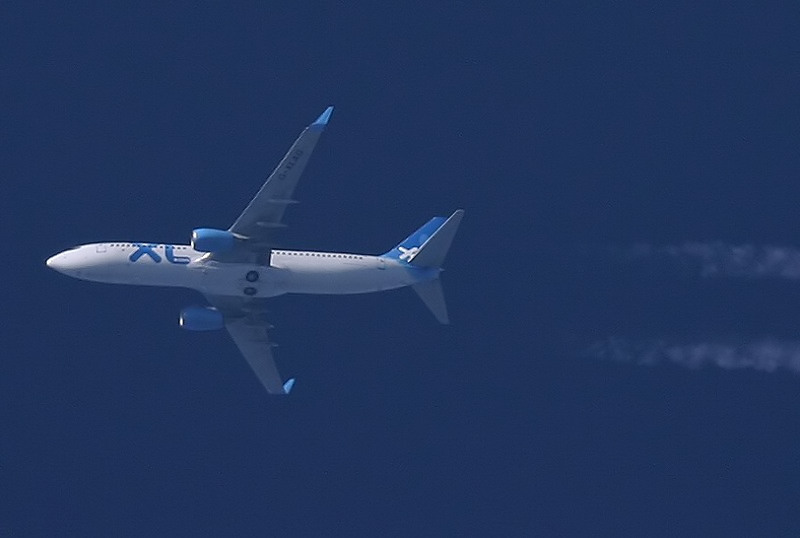 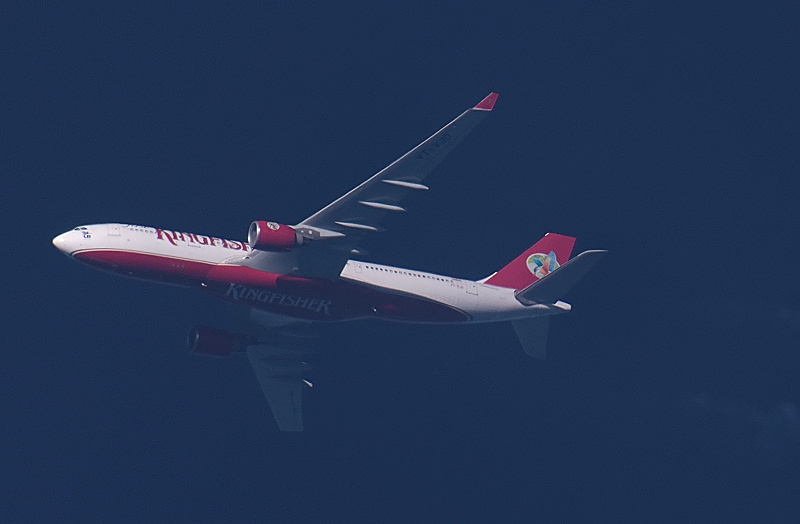 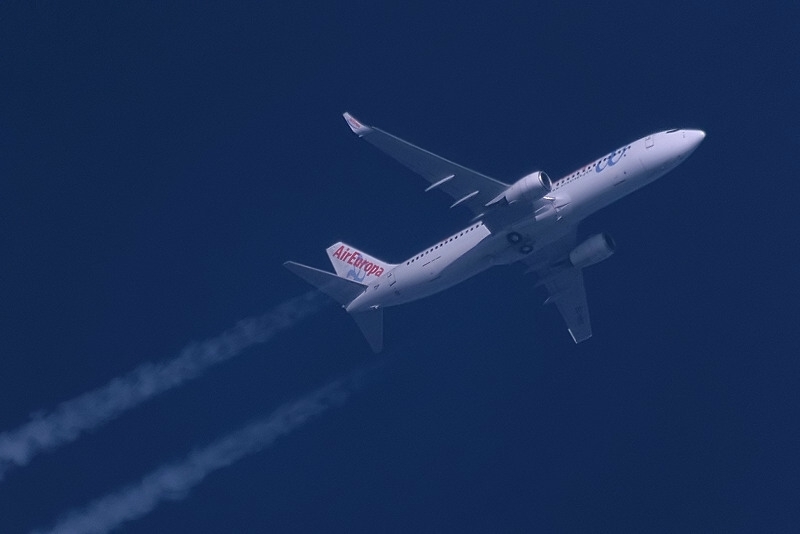 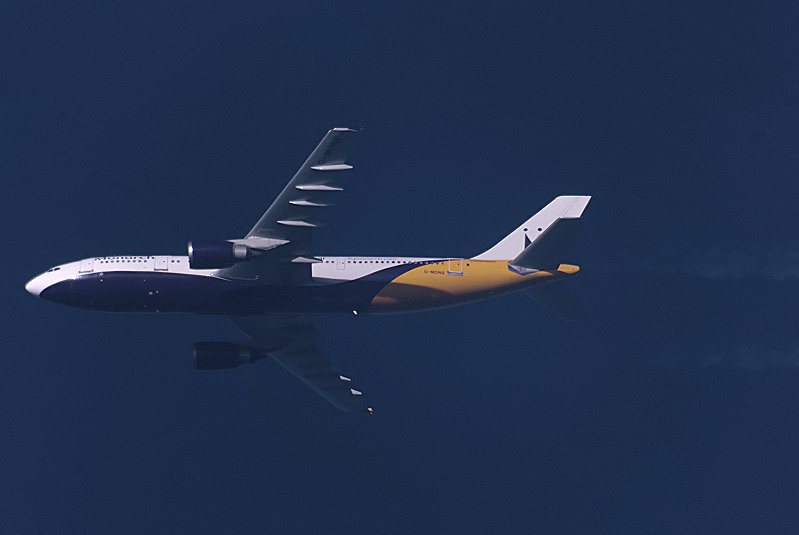 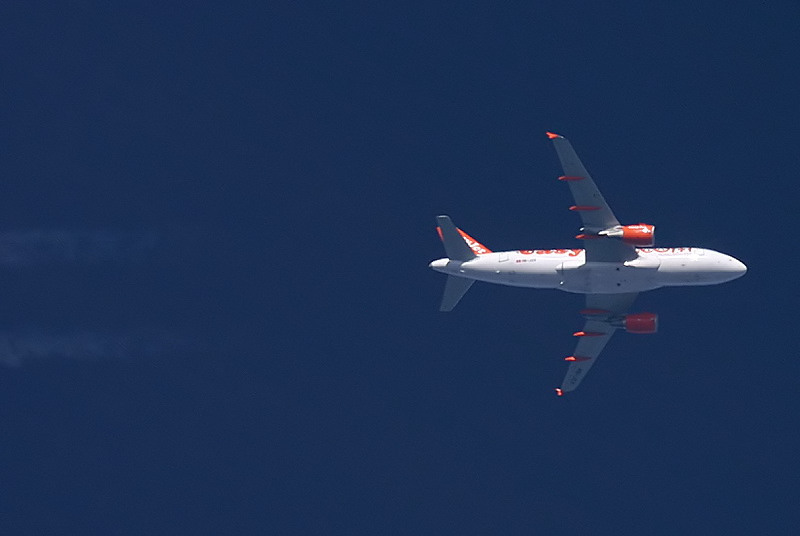 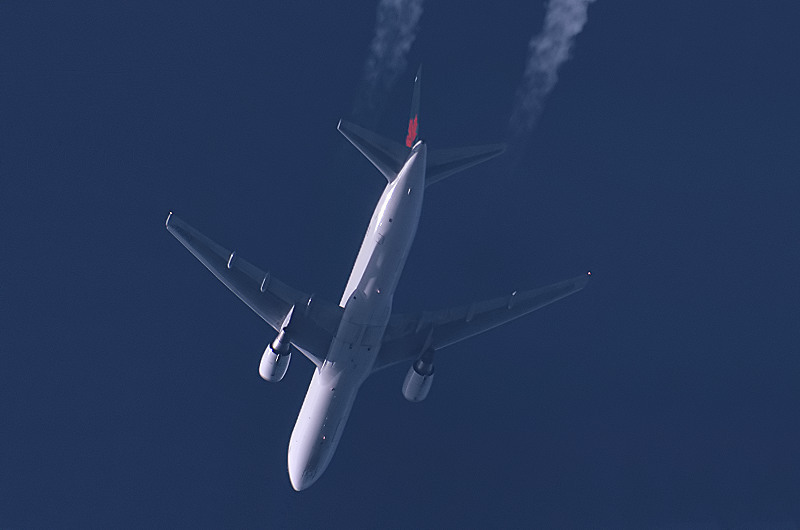 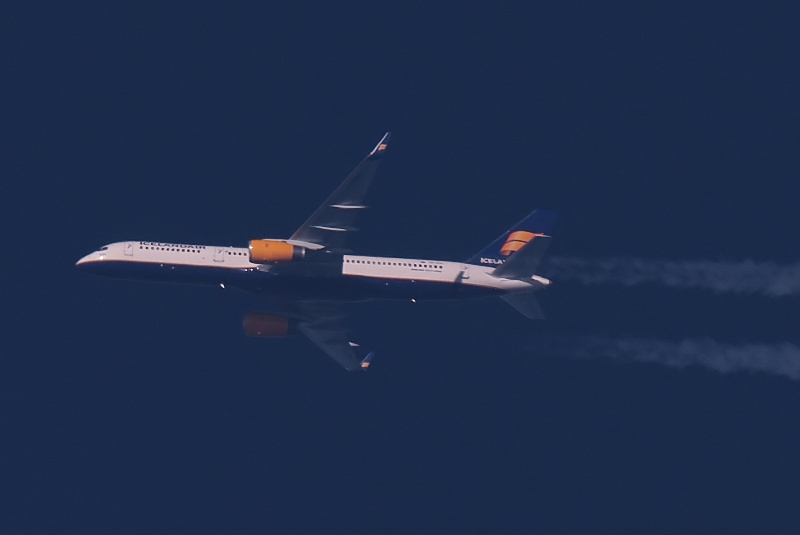 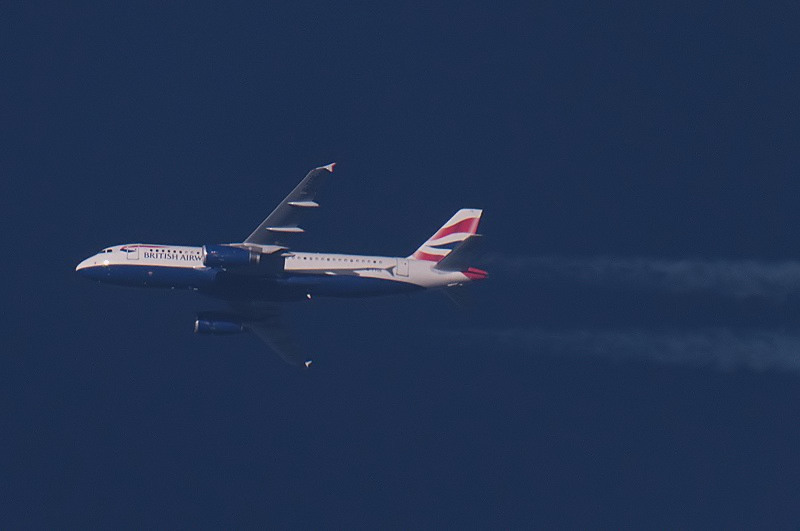 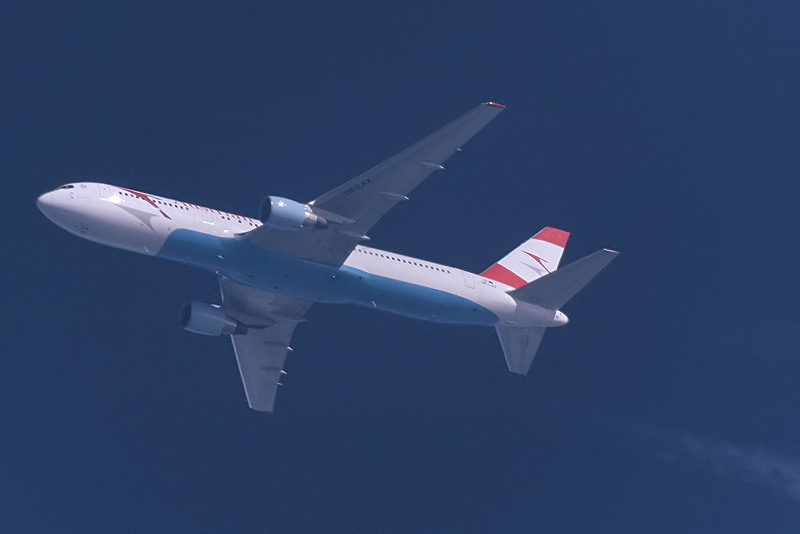 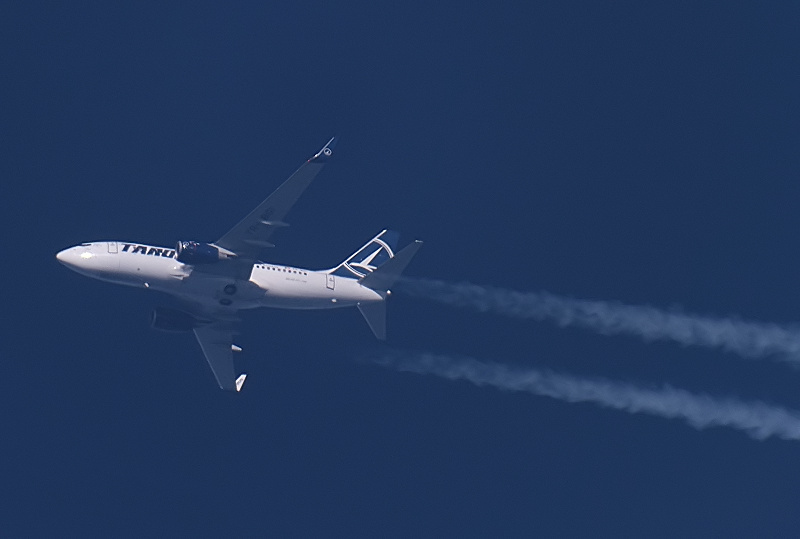 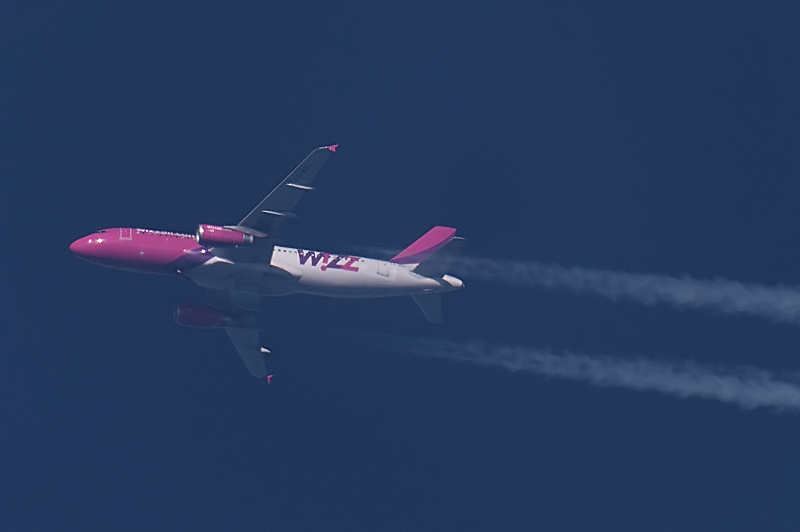 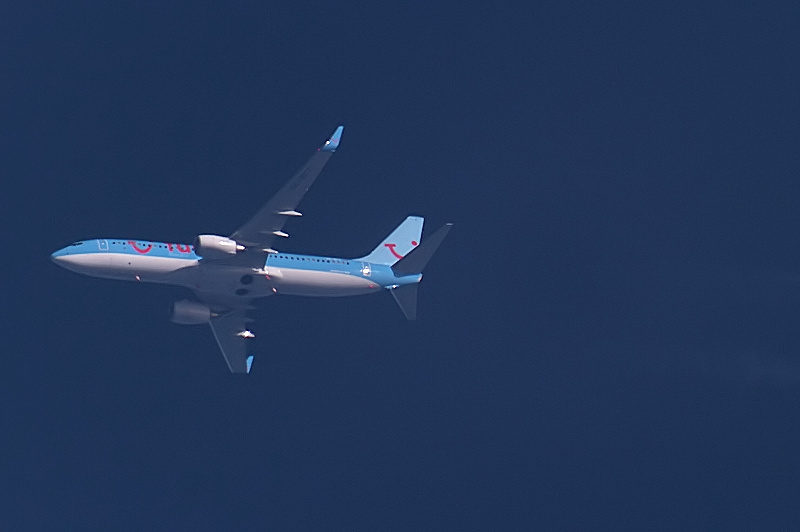 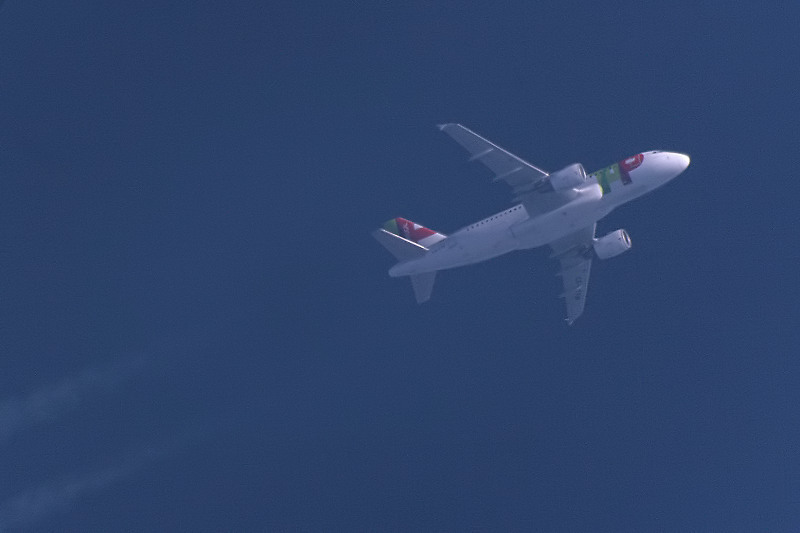 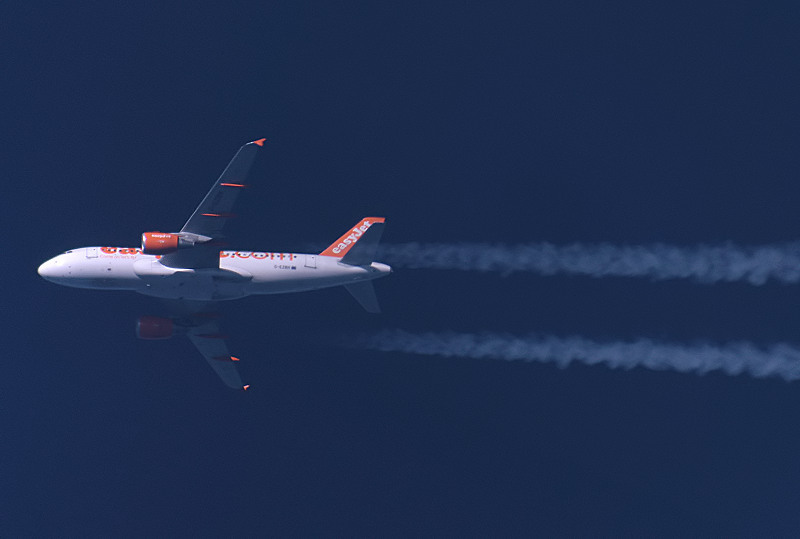 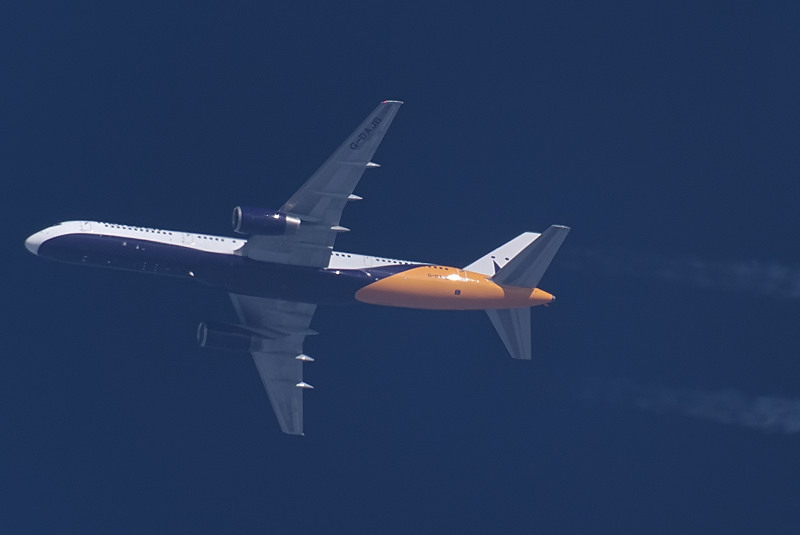 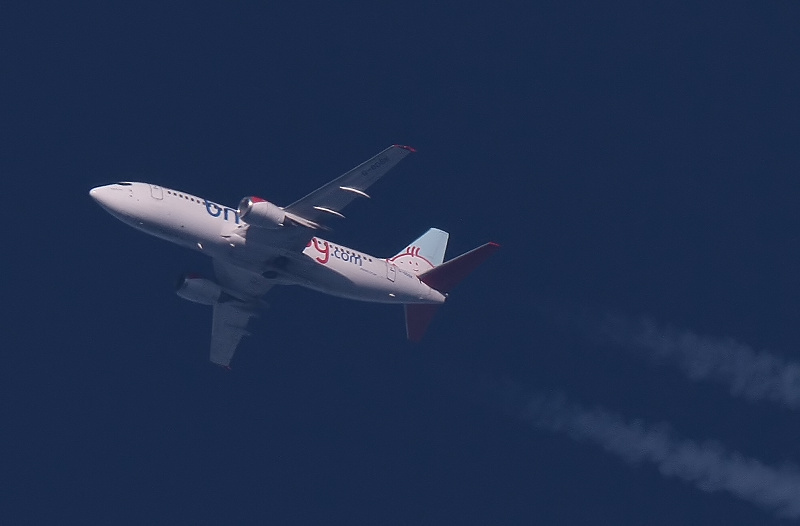 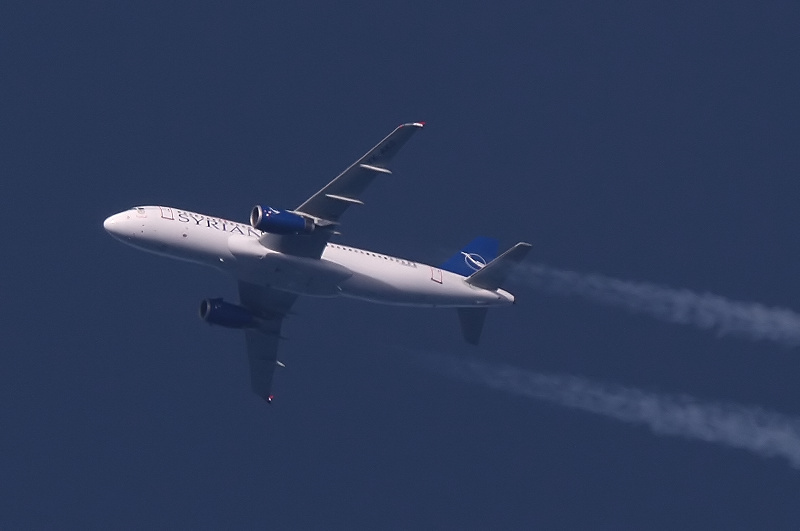 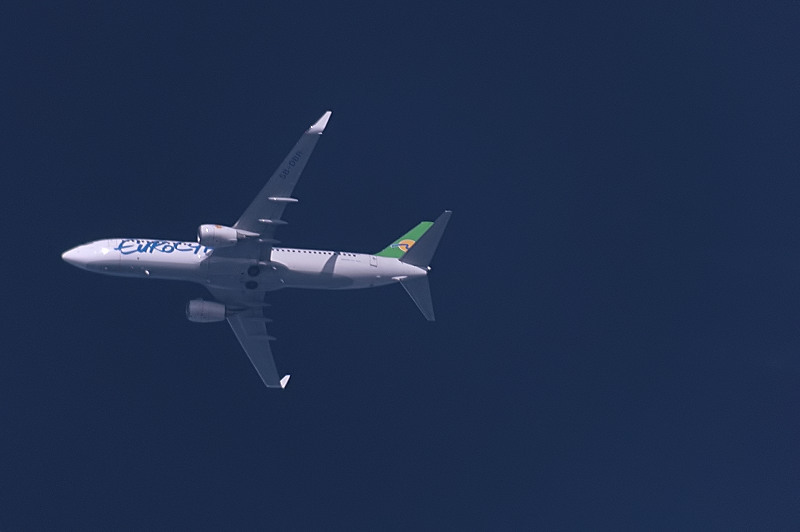 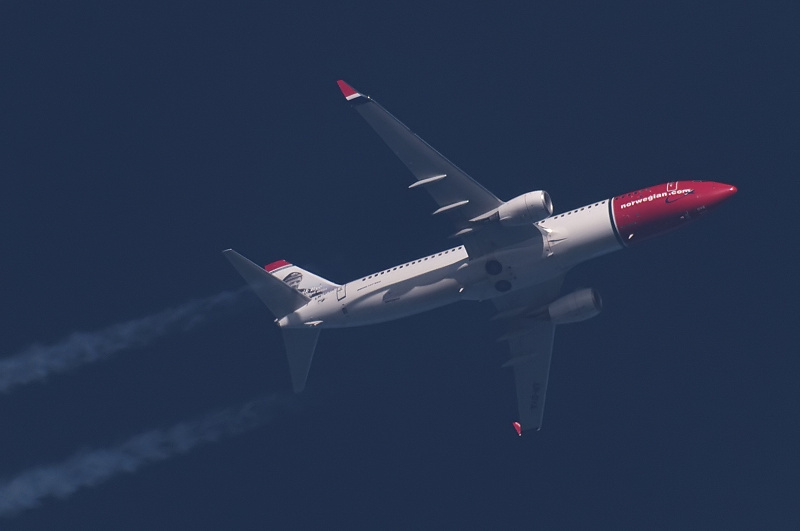 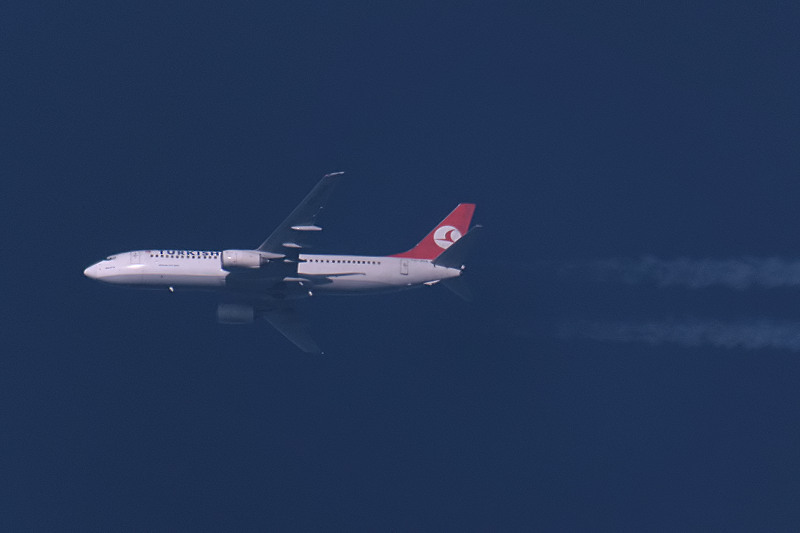 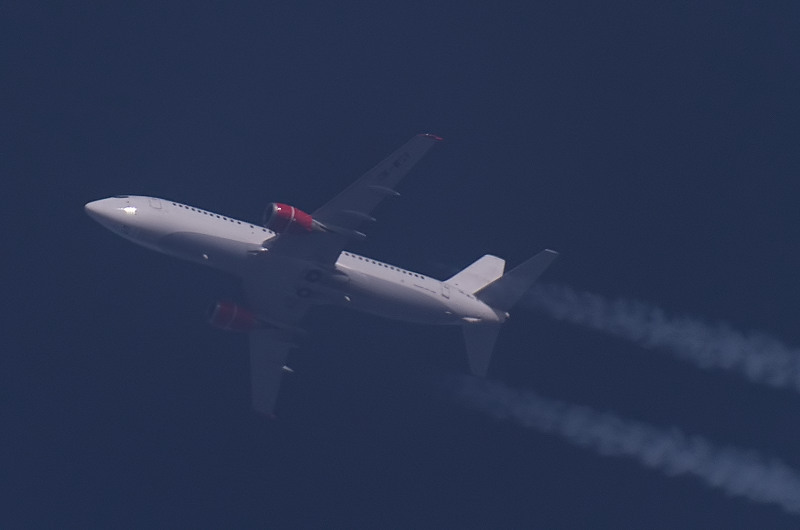 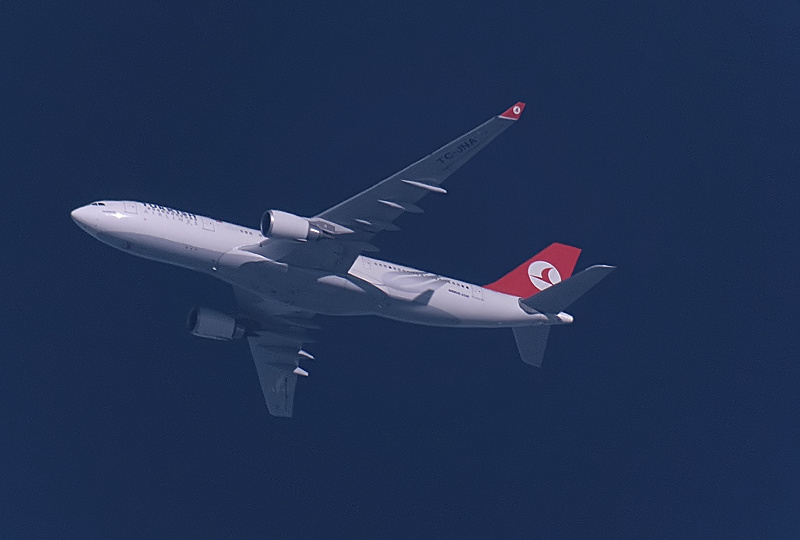 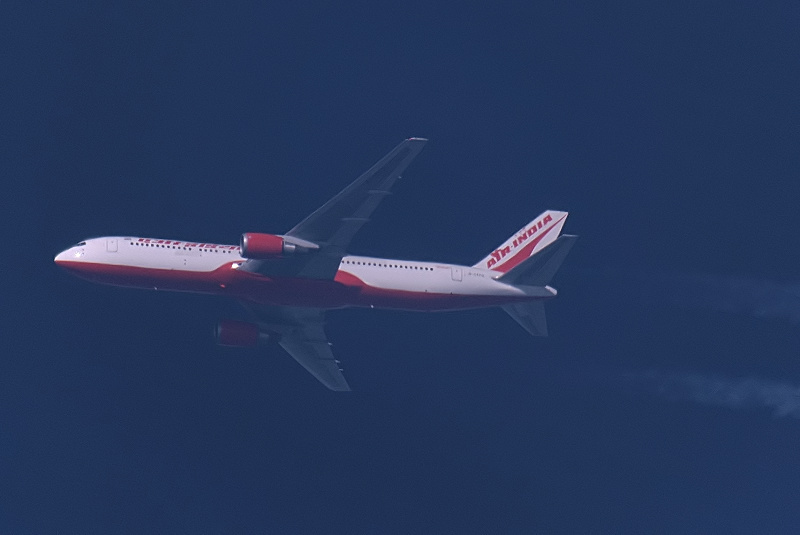 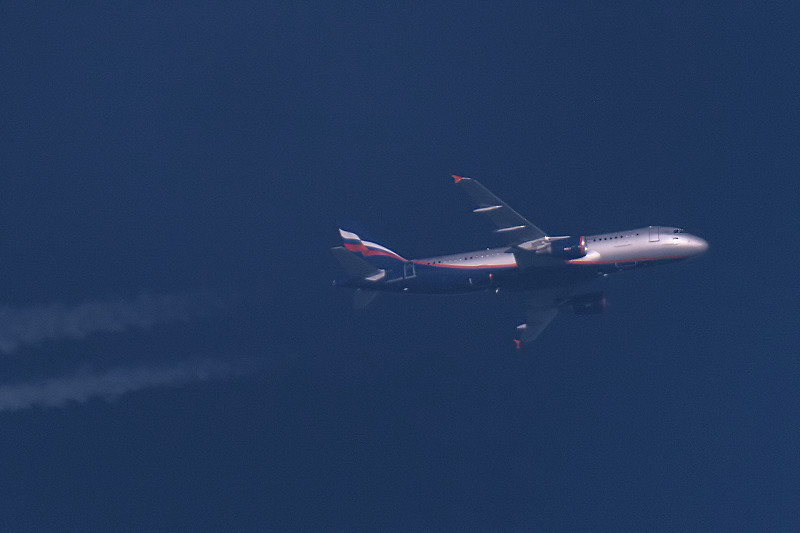 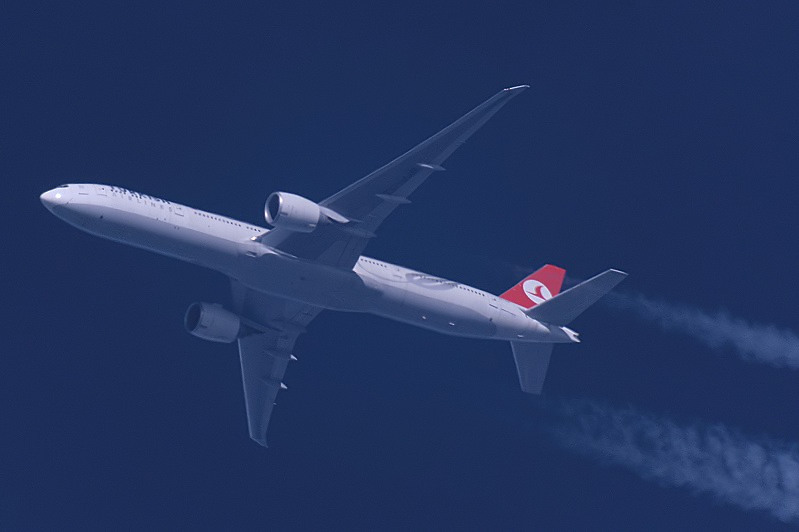 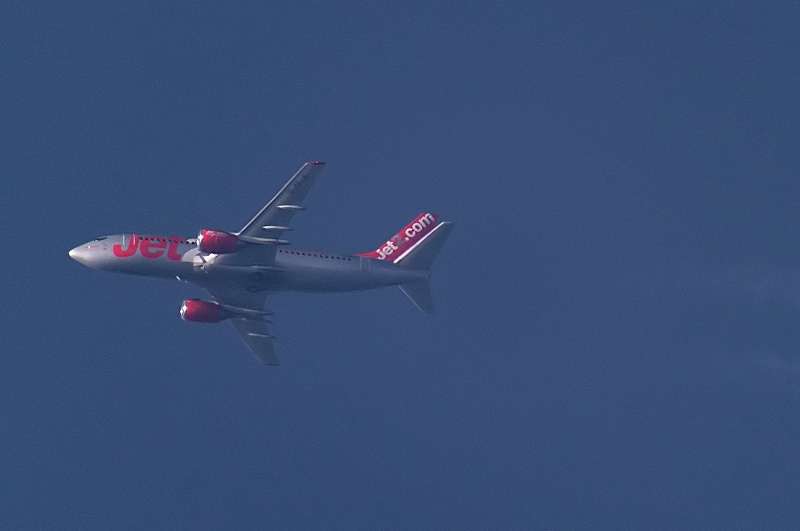 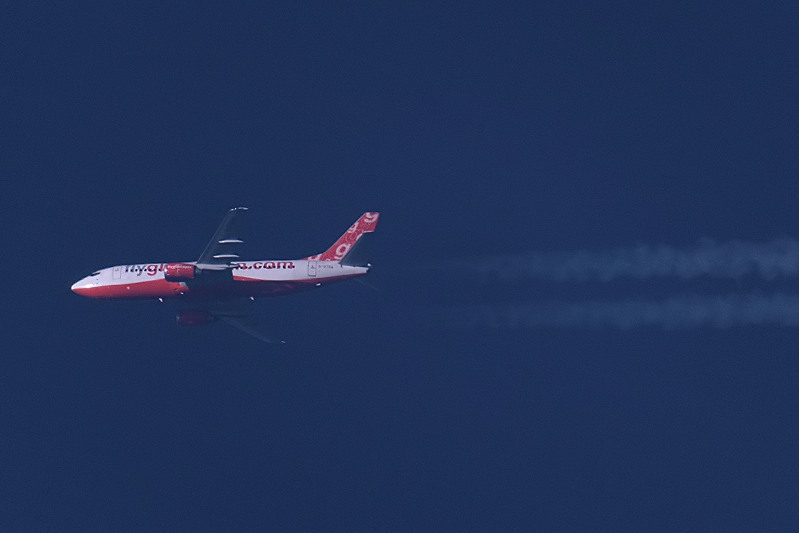 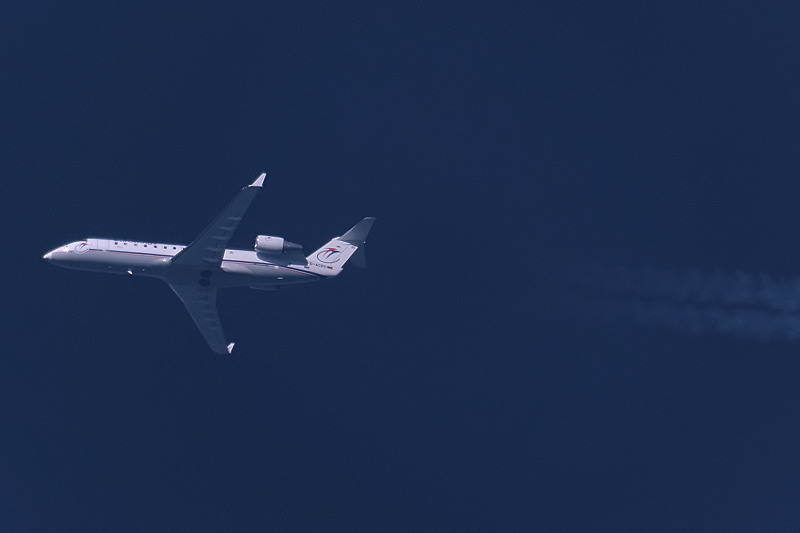 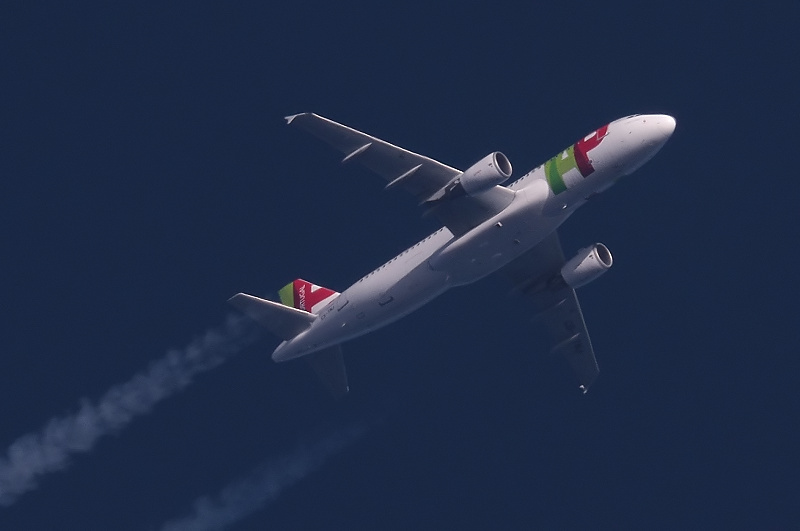 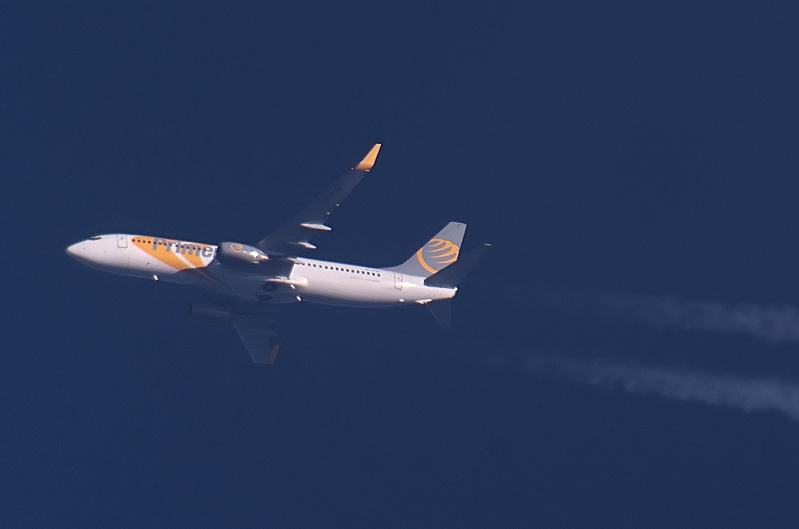 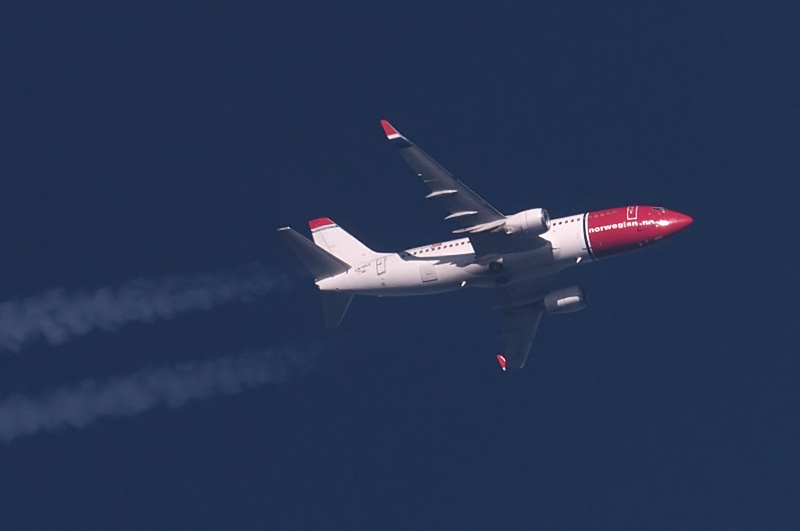 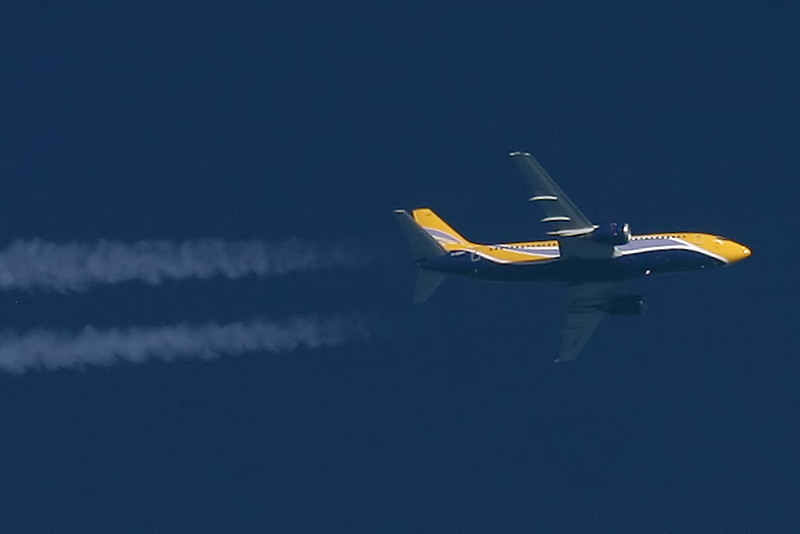 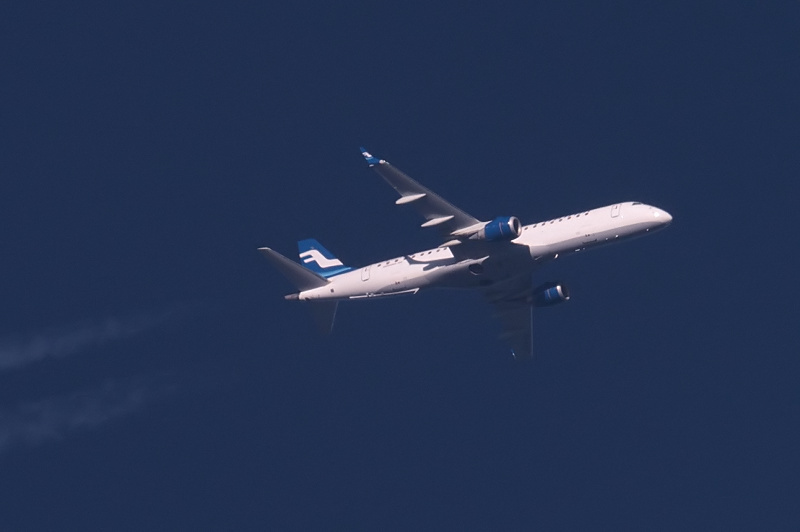 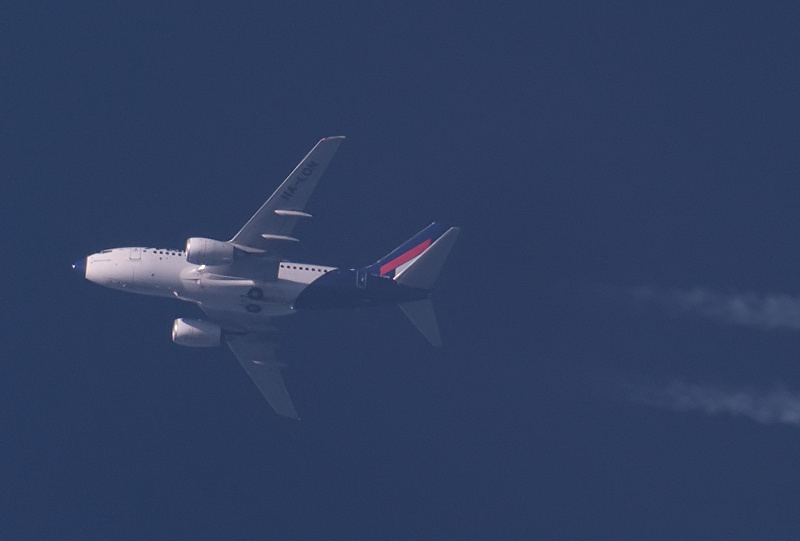 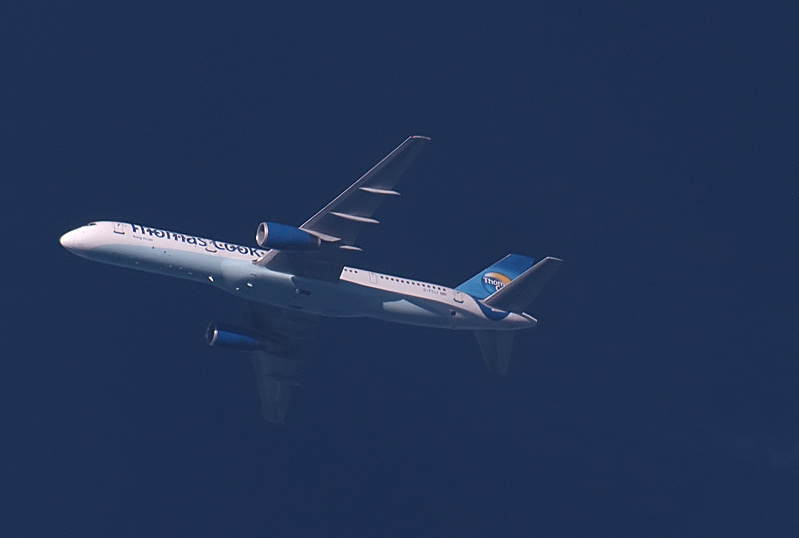 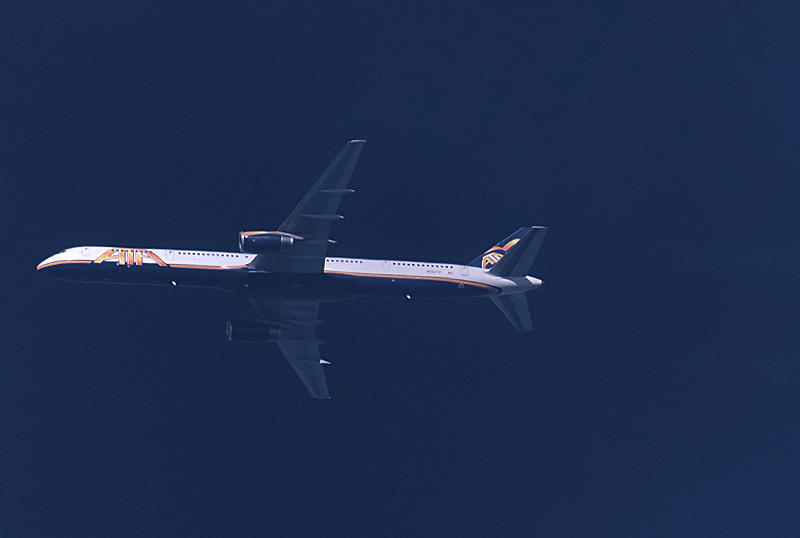 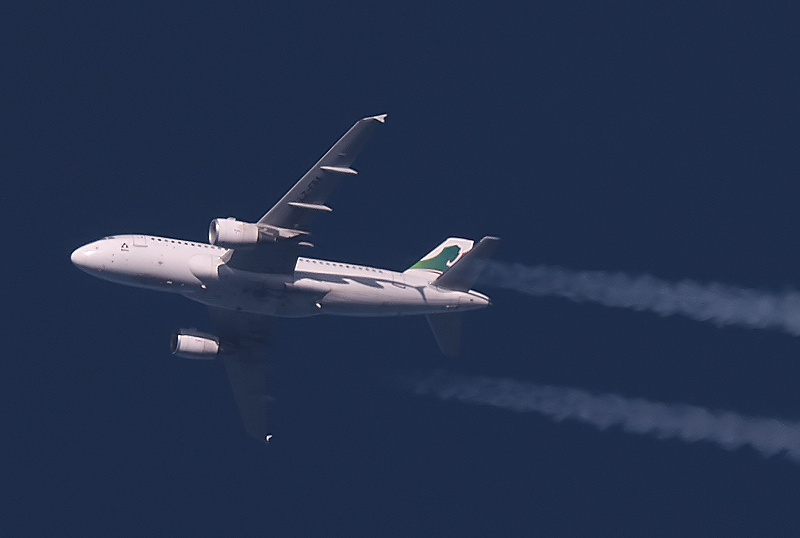 IZAir A320 TC-IZA at 36000 ft enroute Izmir-Stansted as PGT521. 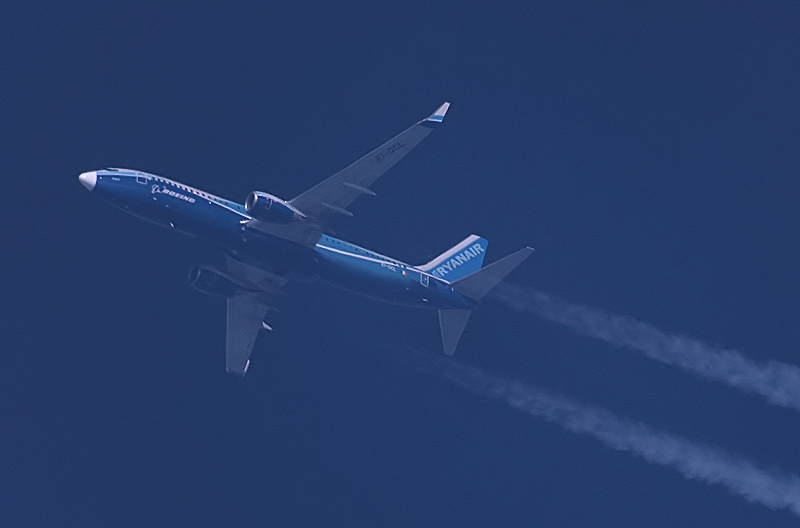 22/10/11 - 1649 - UL608. 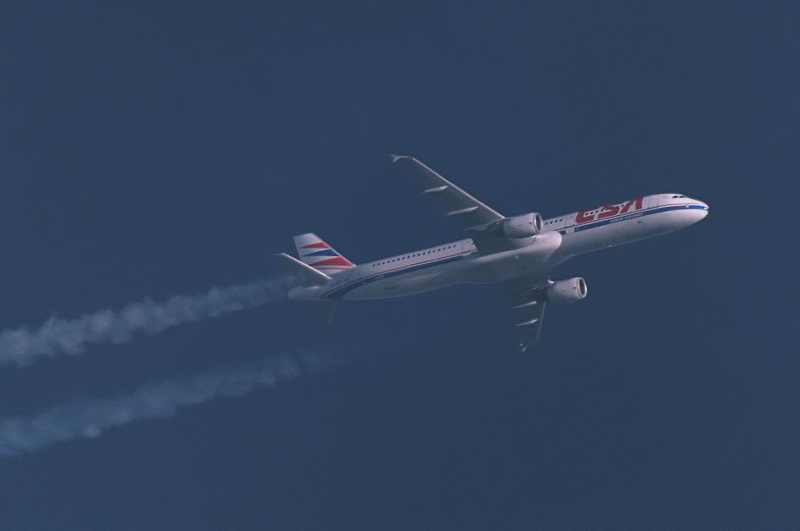 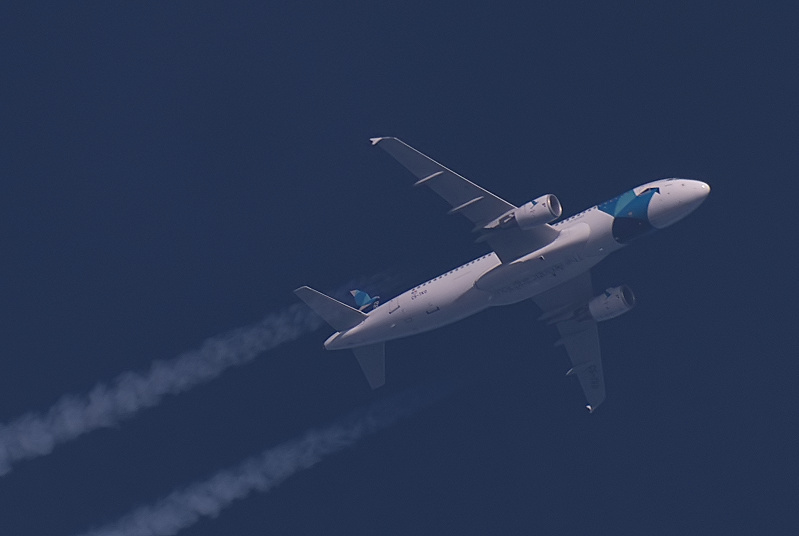 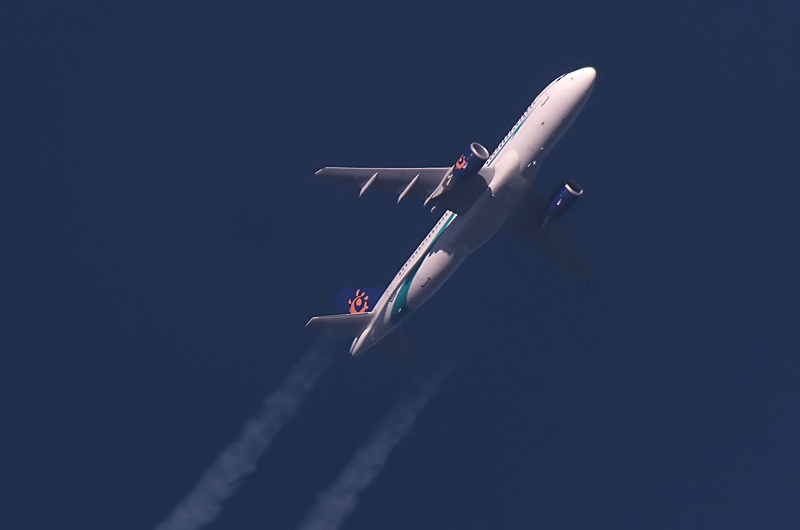 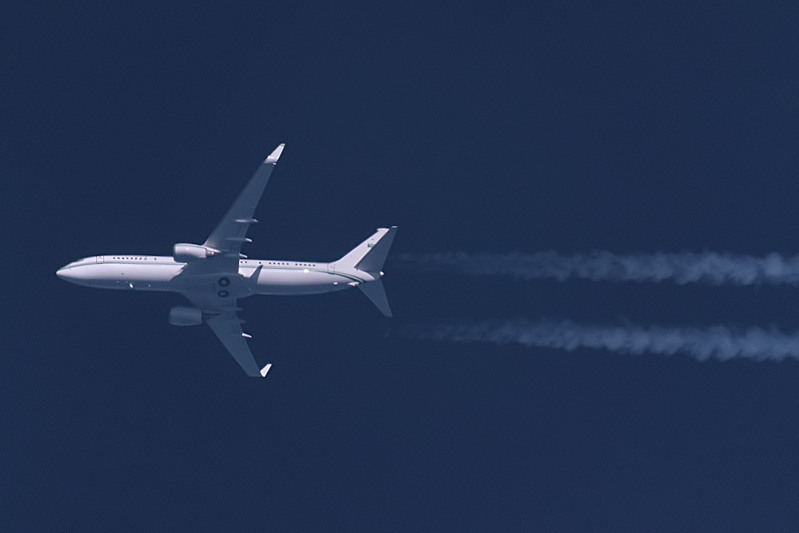 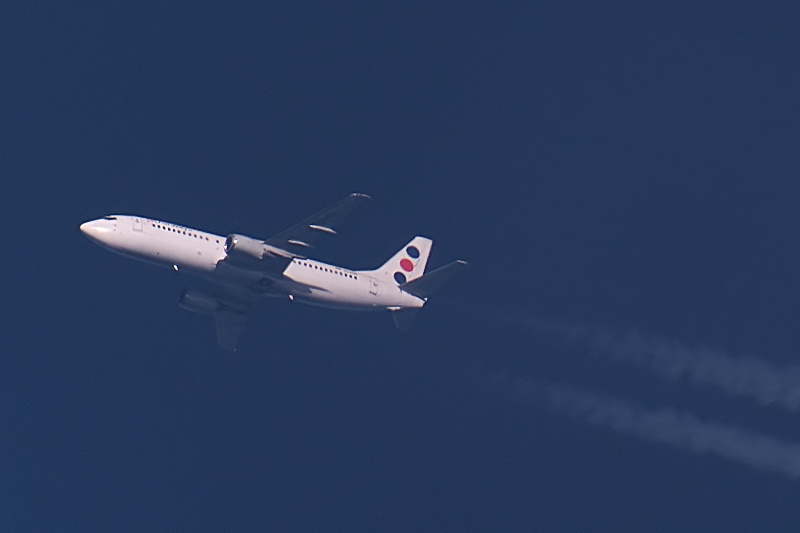 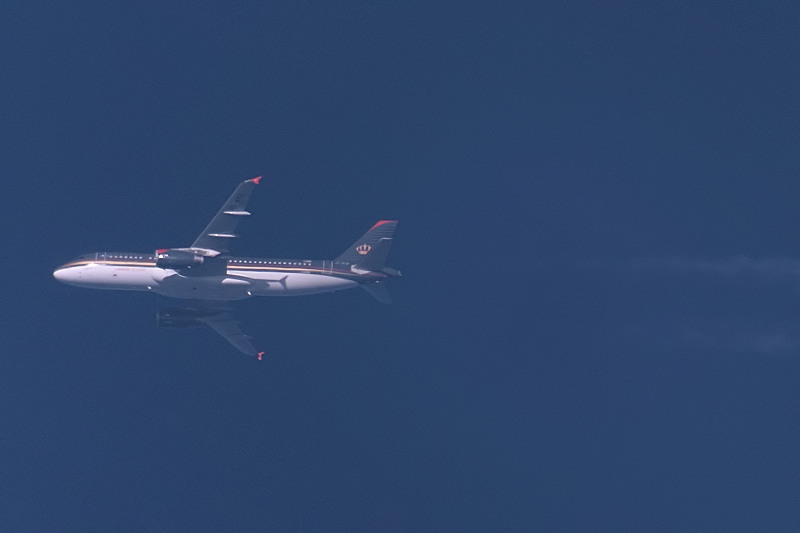 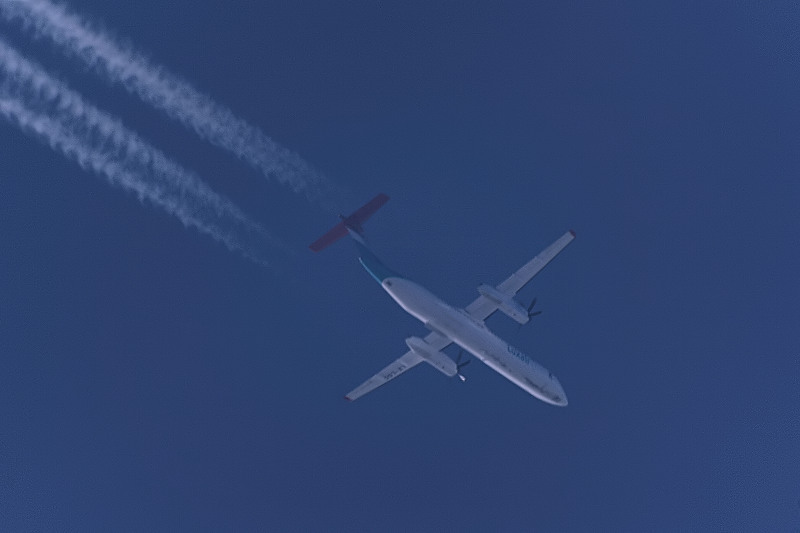 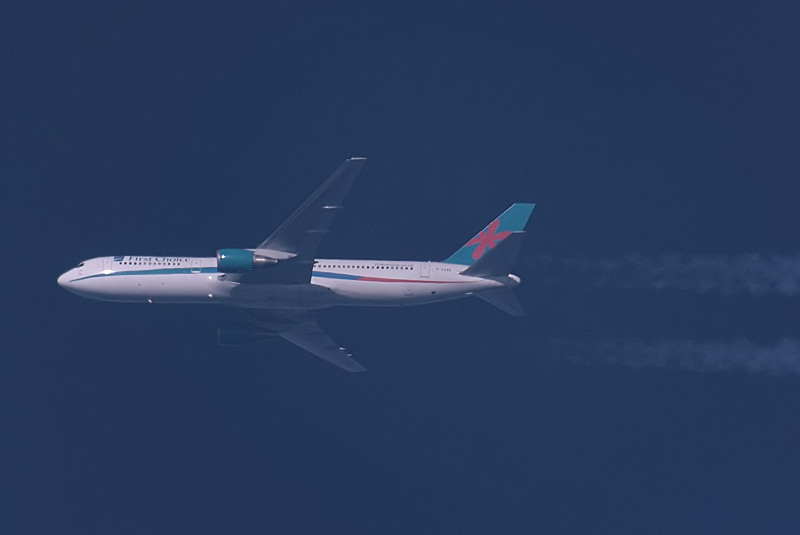 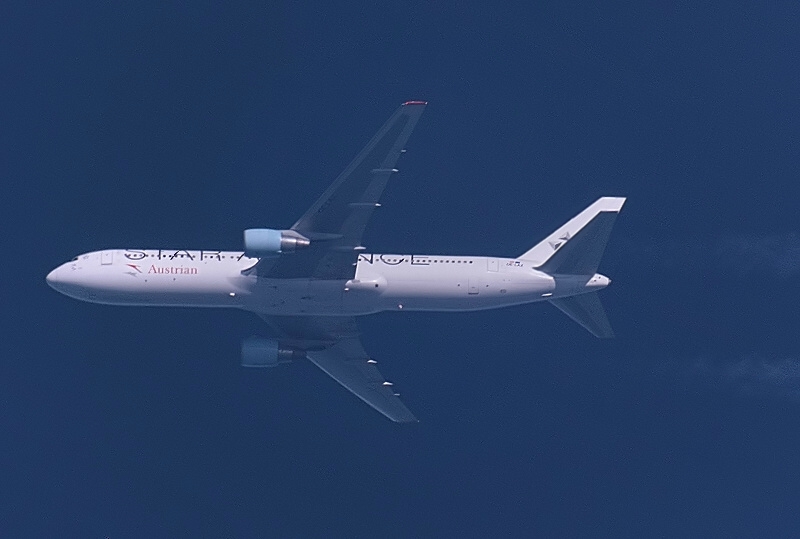 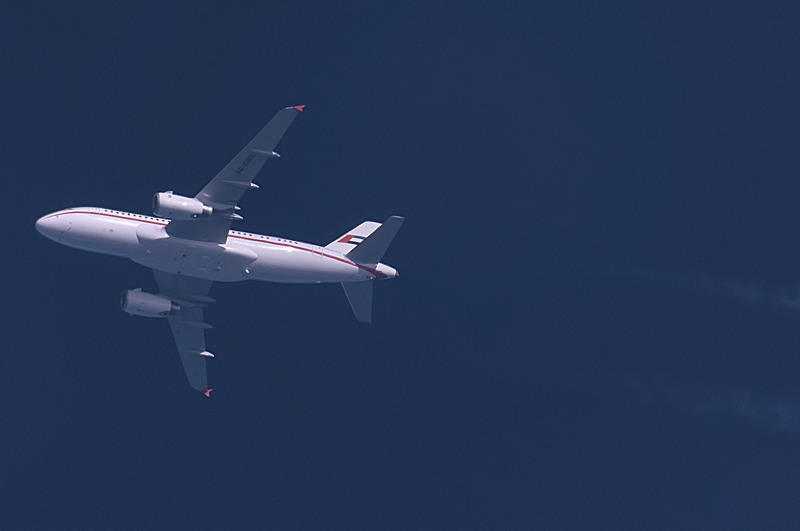 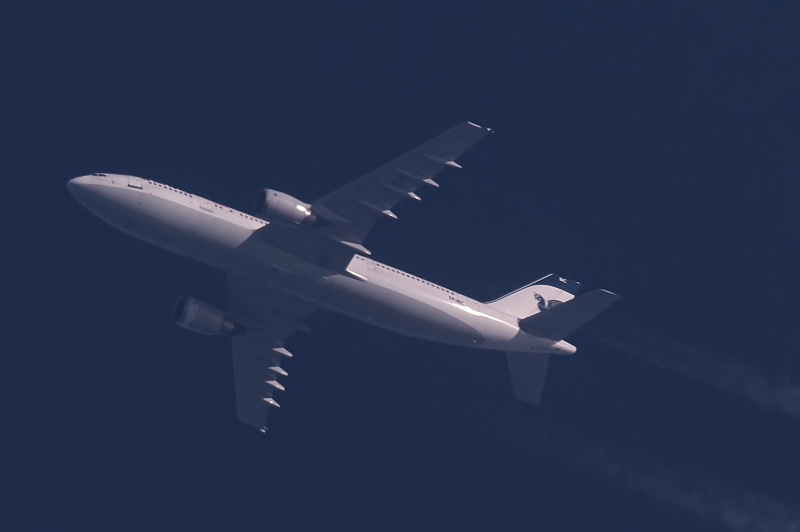 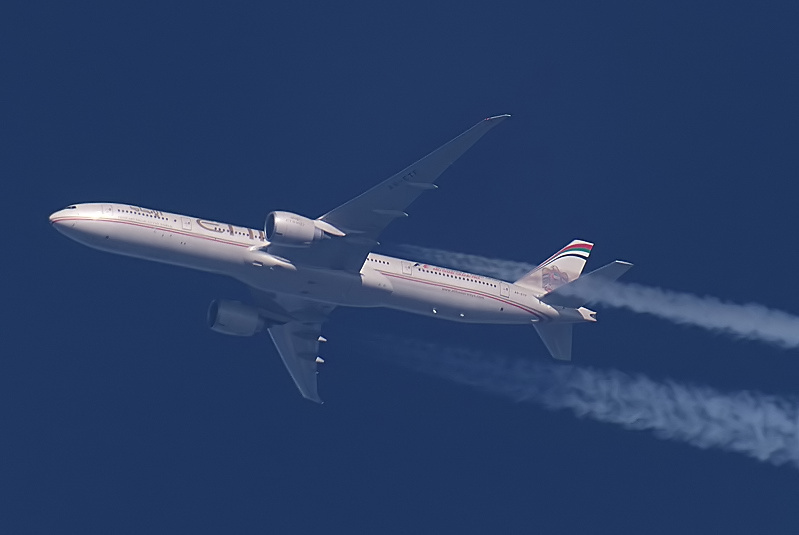 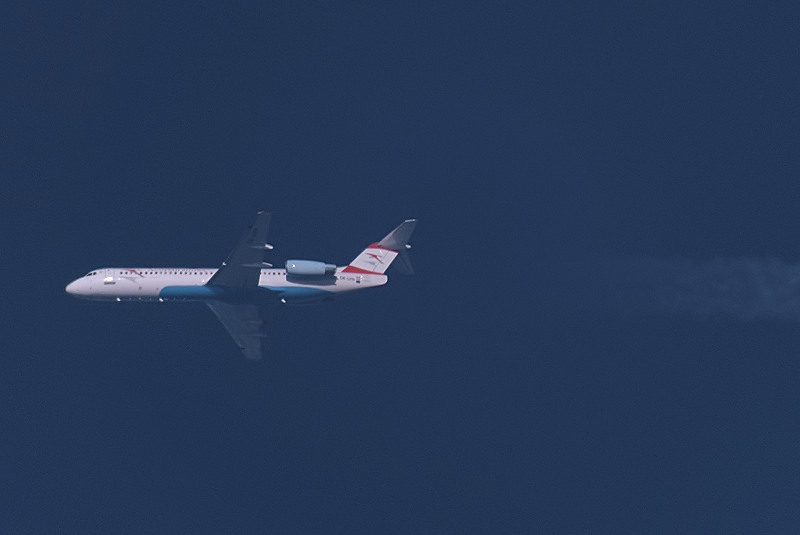 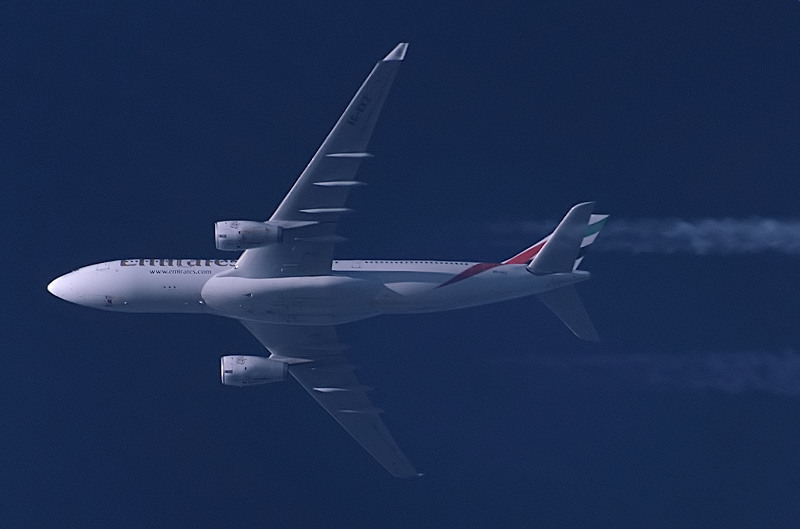 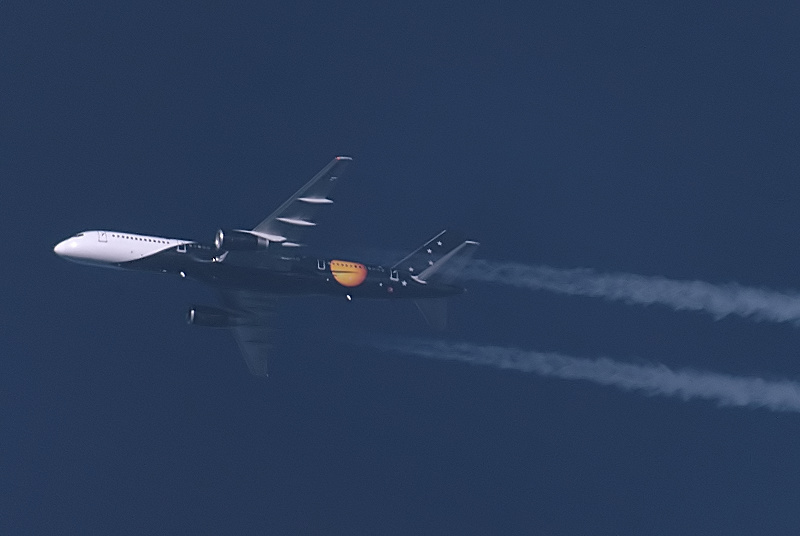 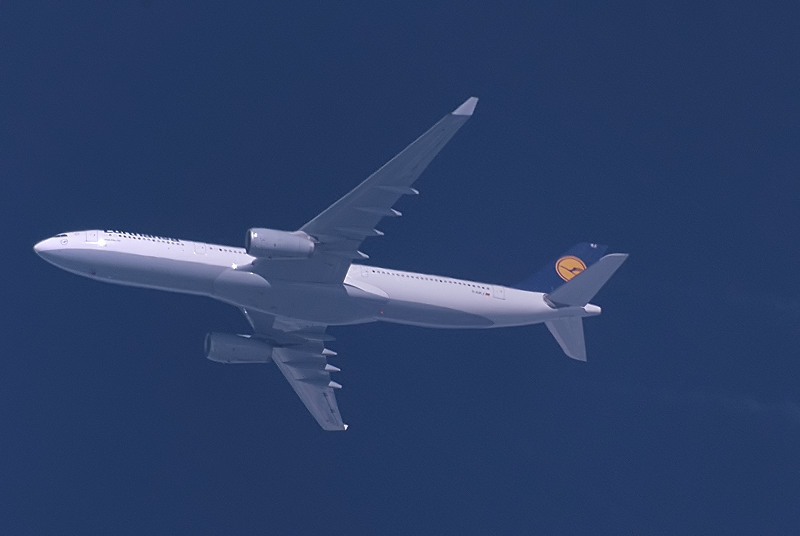 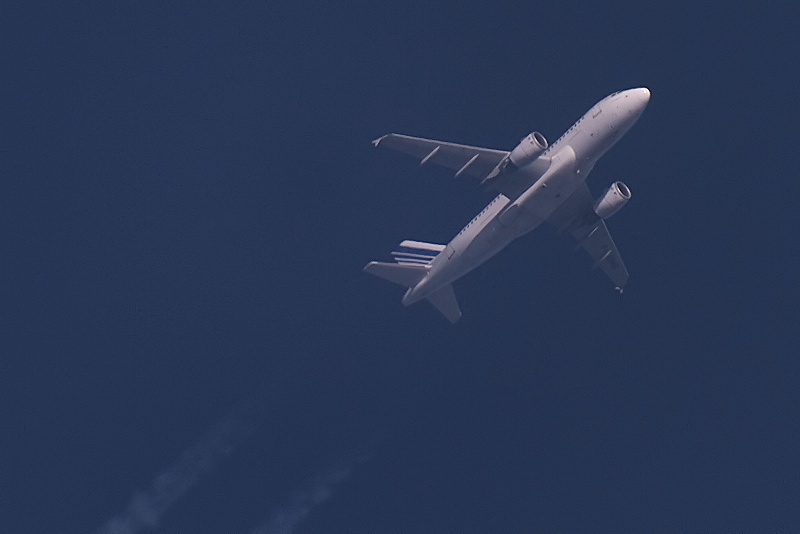 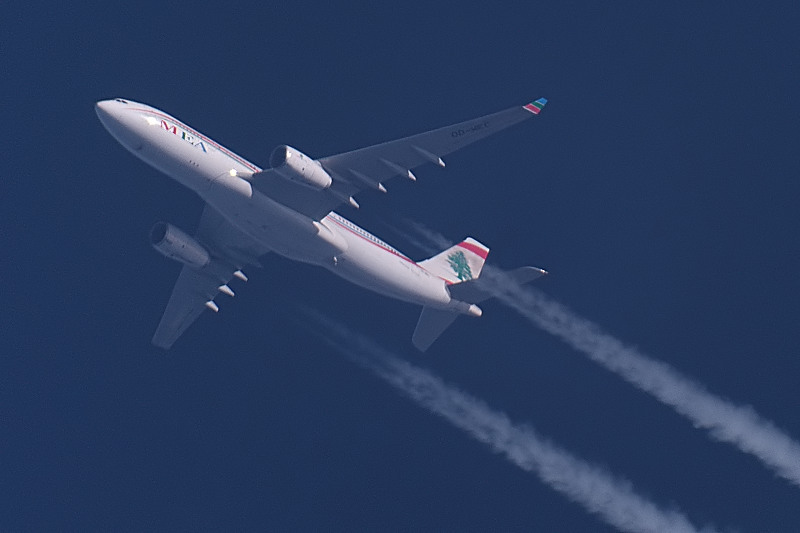 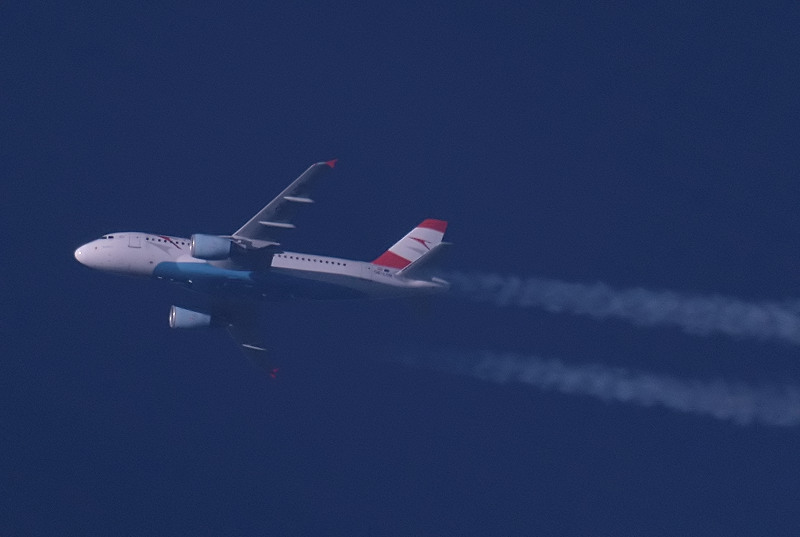 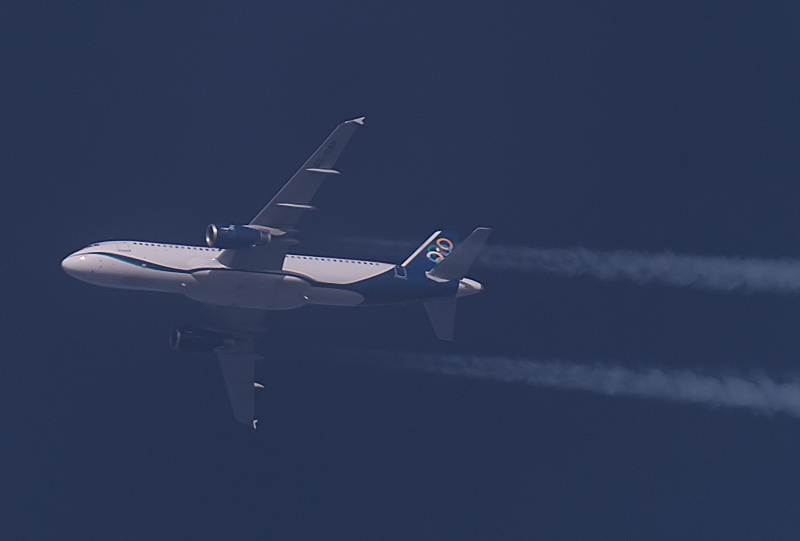 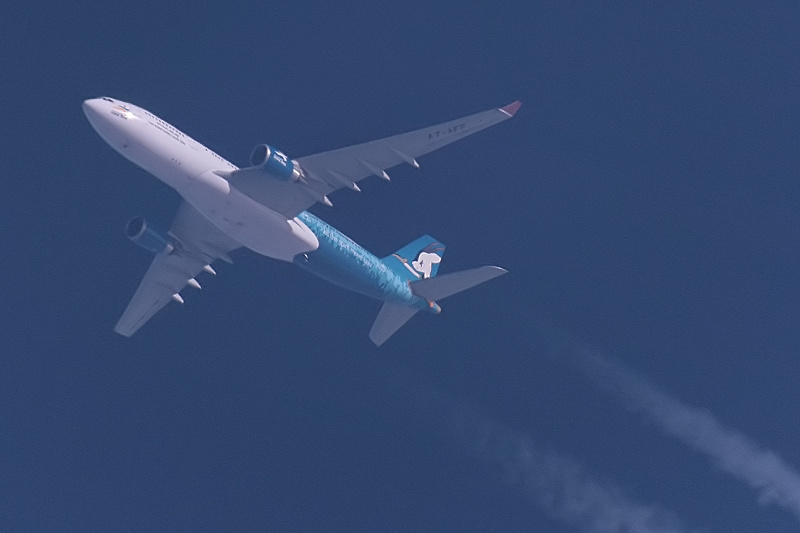 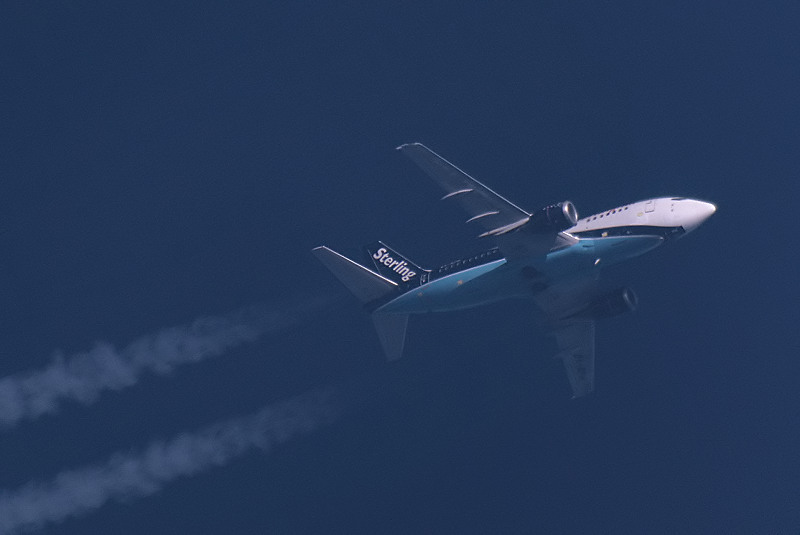 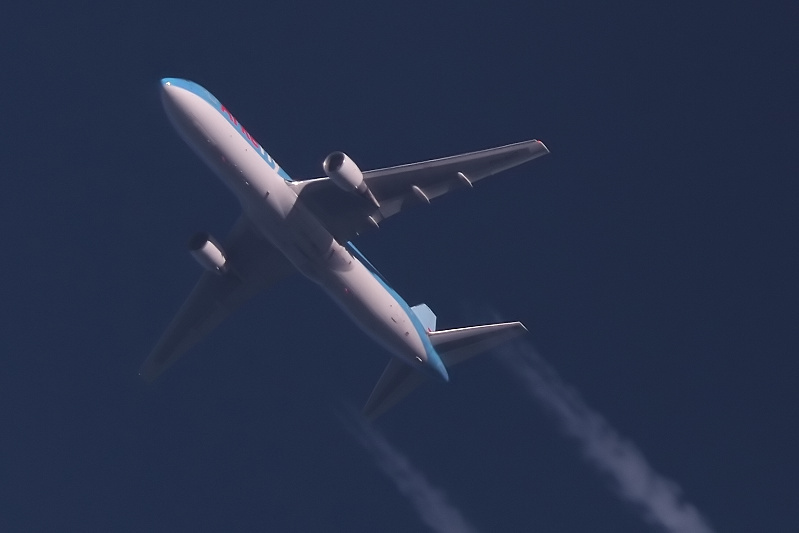 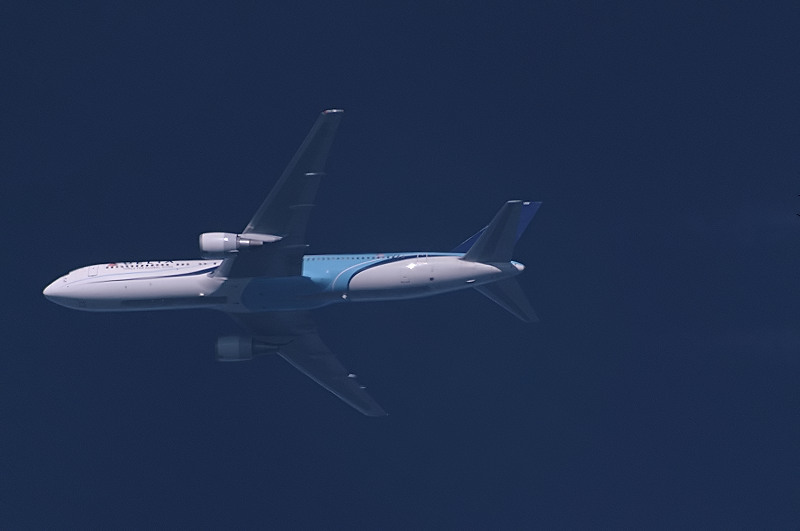 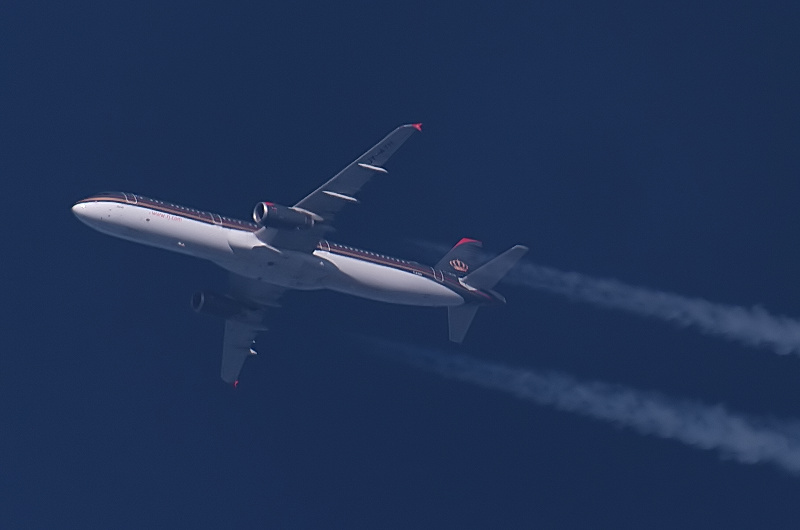 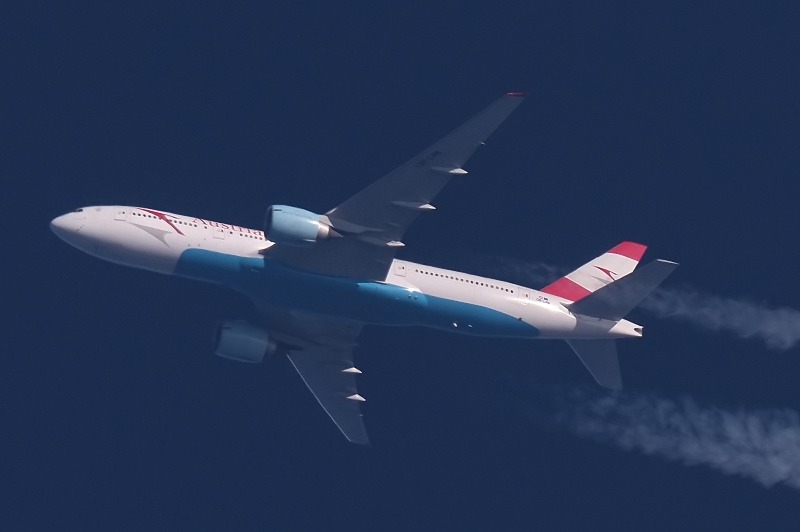 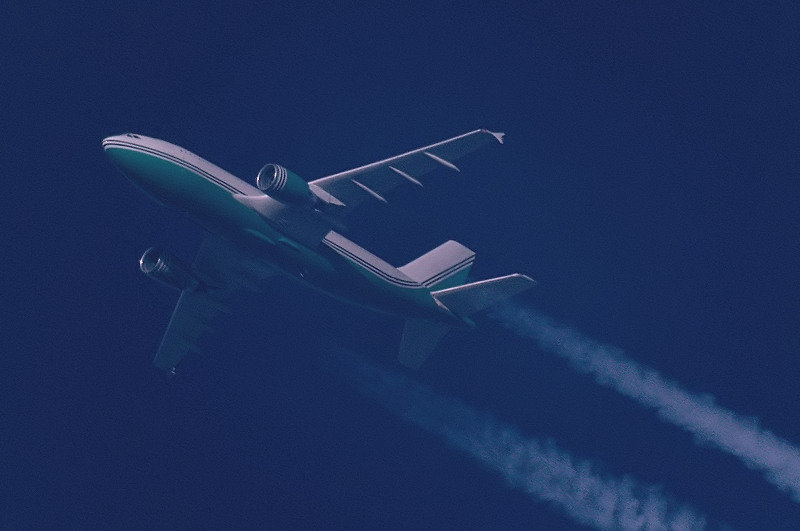 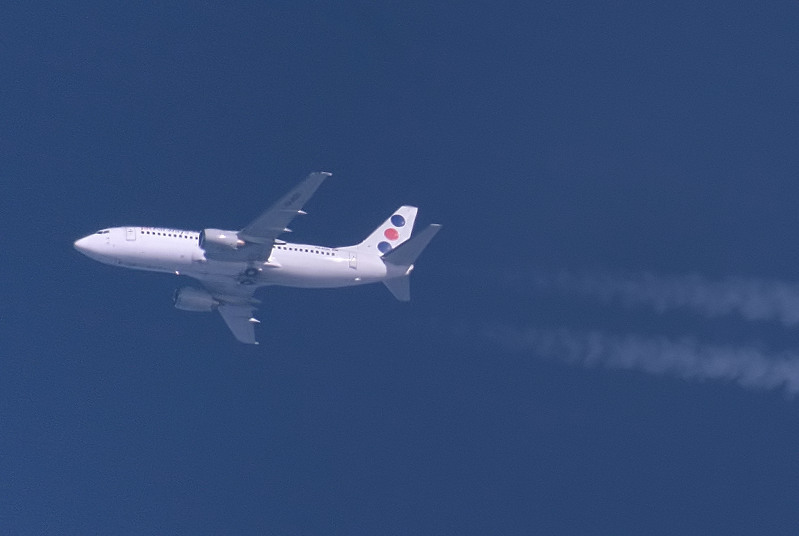 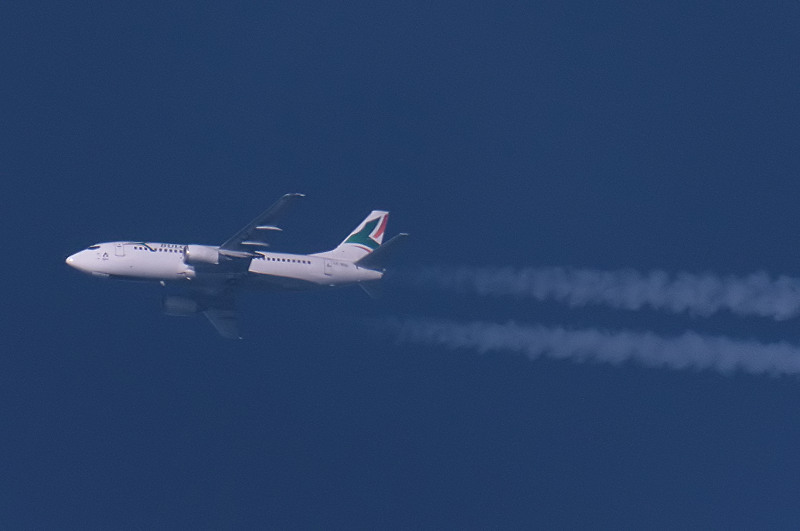 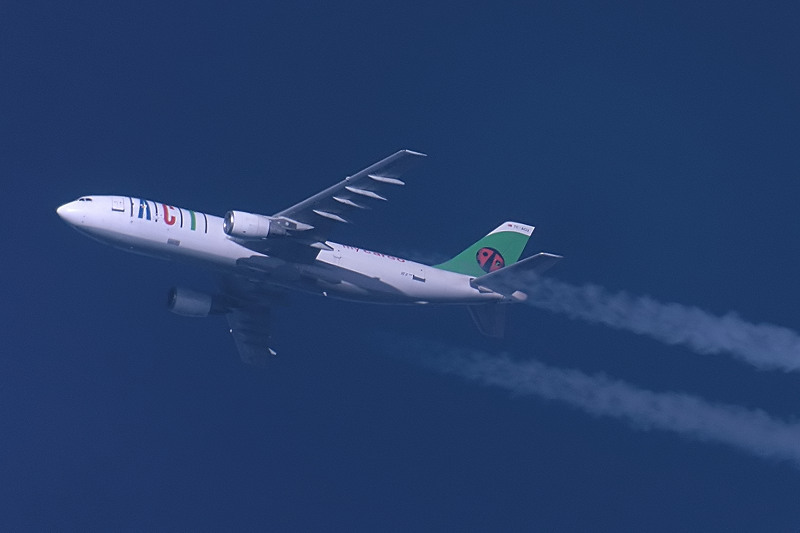 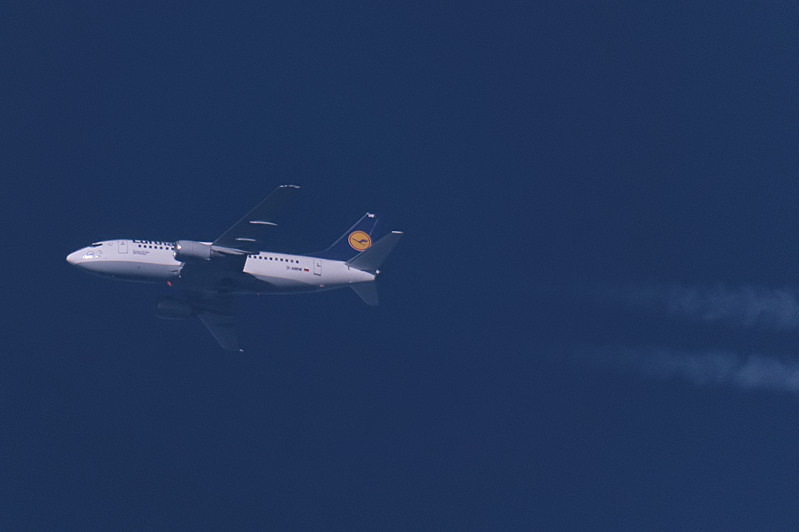 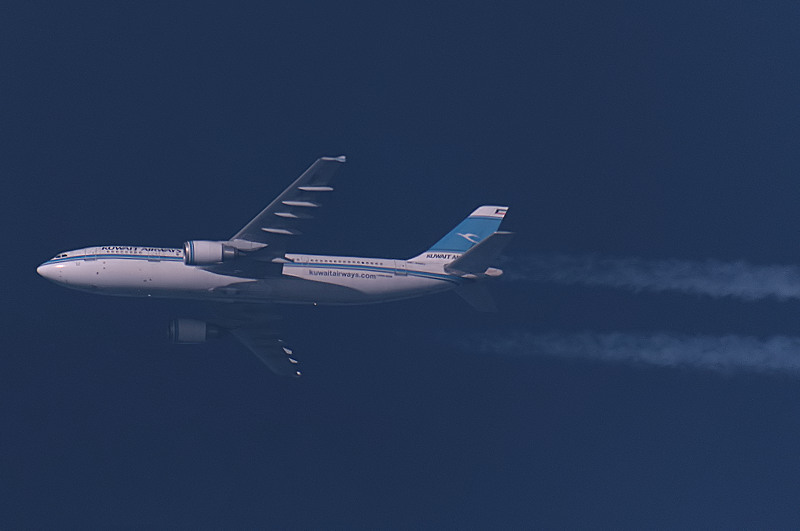 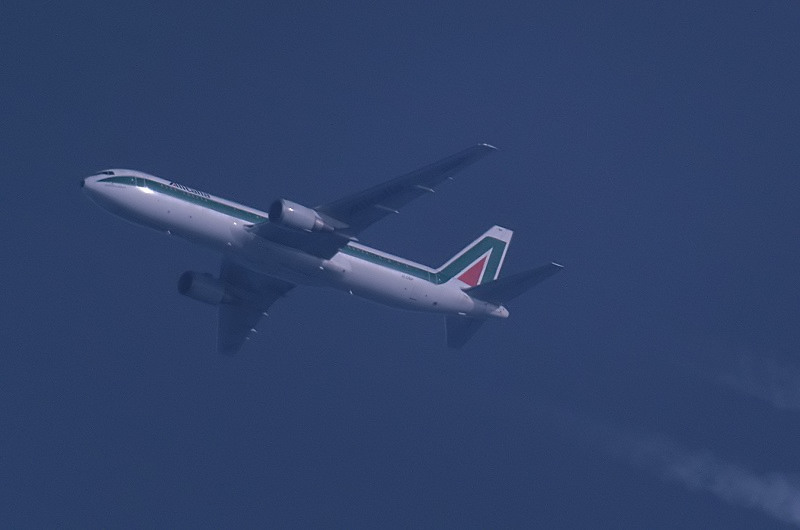 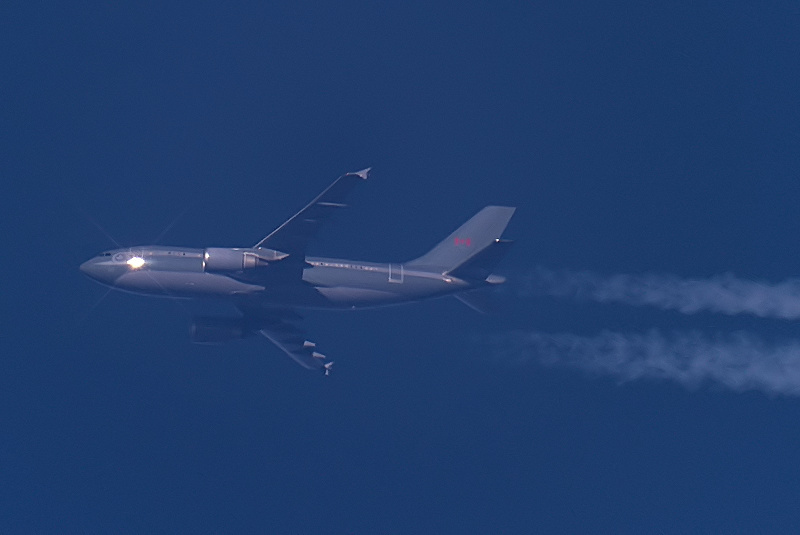 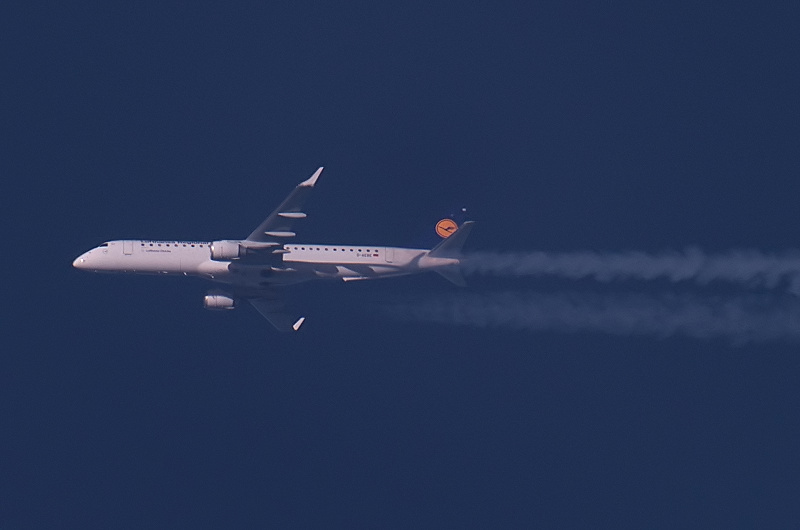 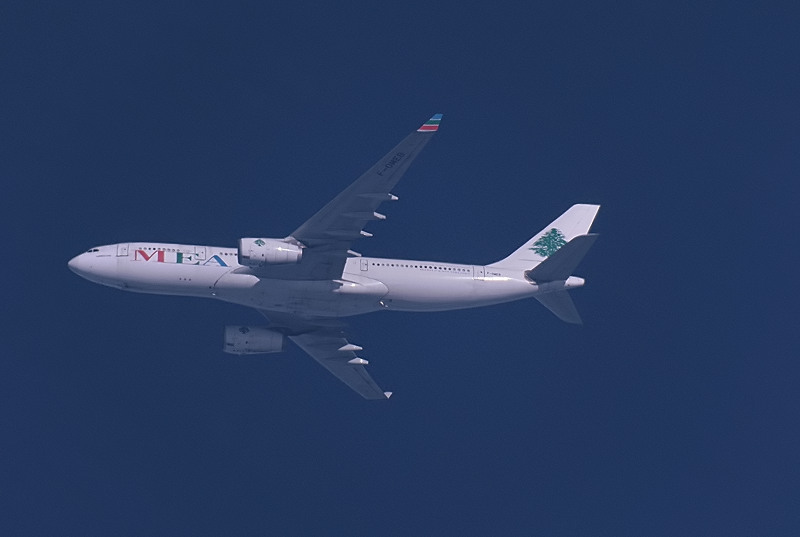 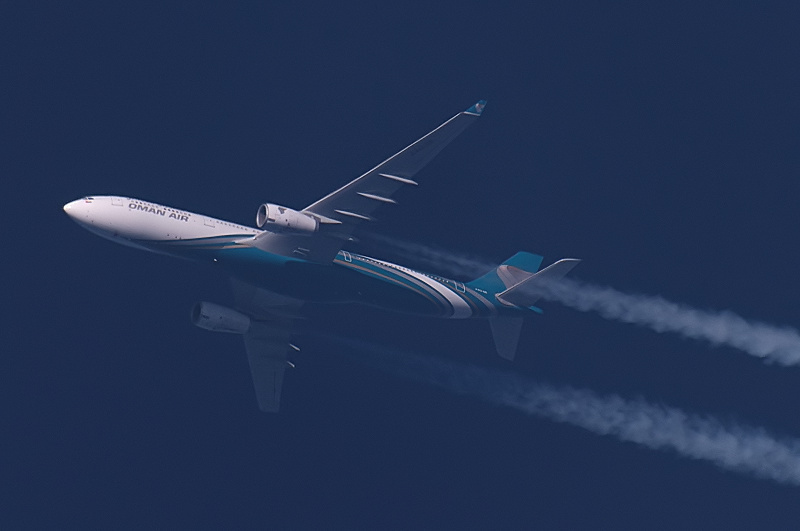 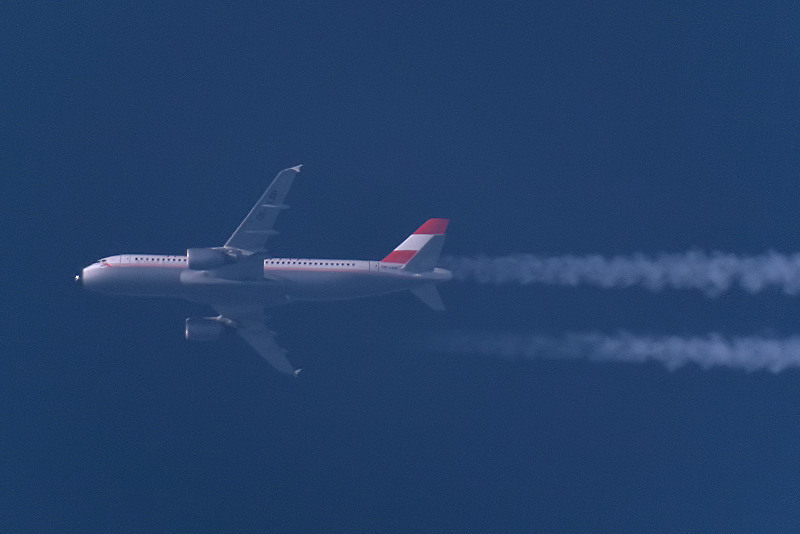 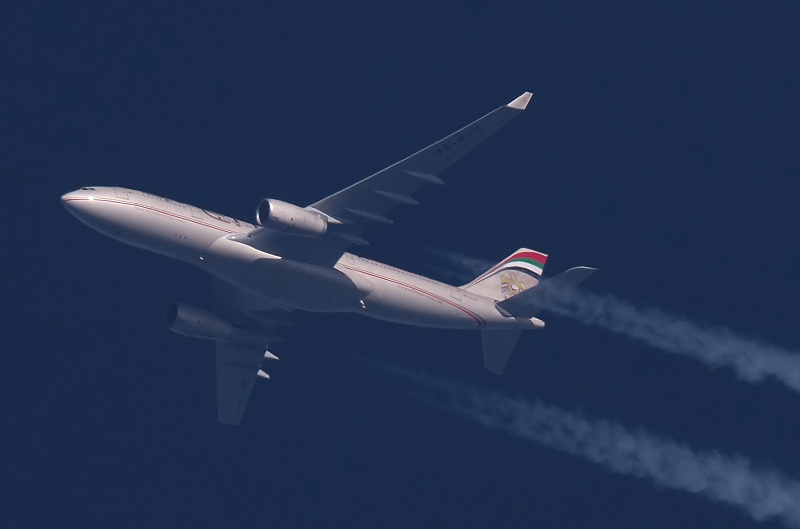 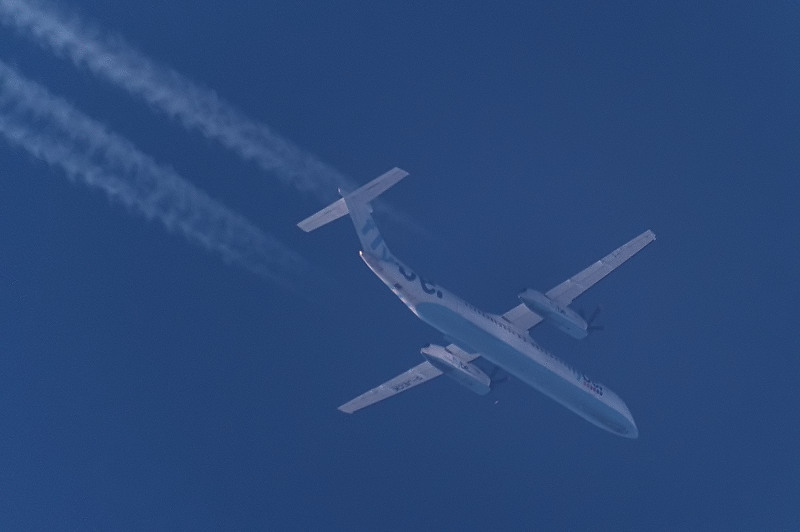 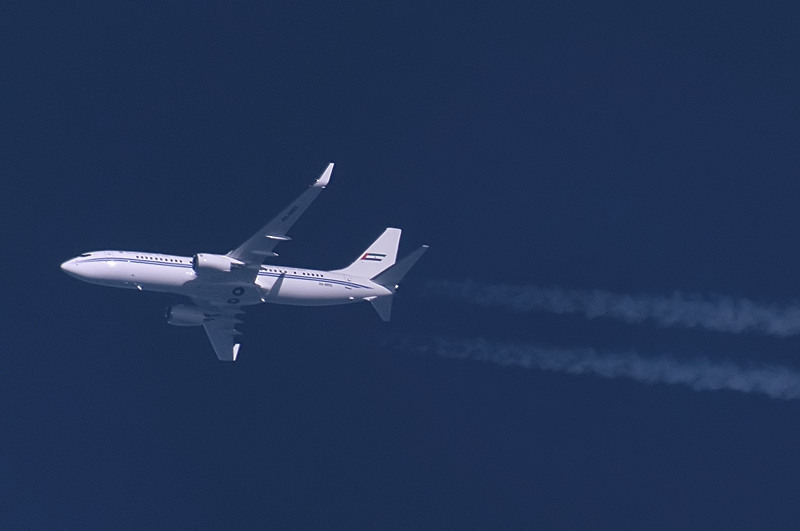 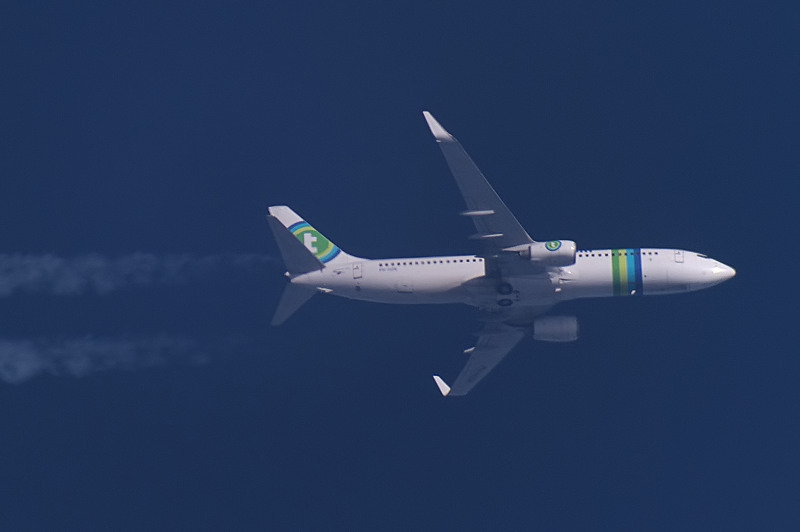 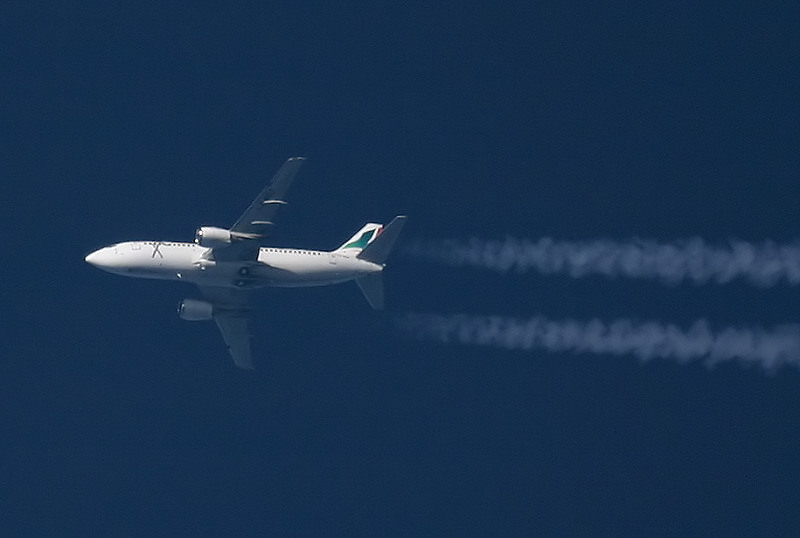 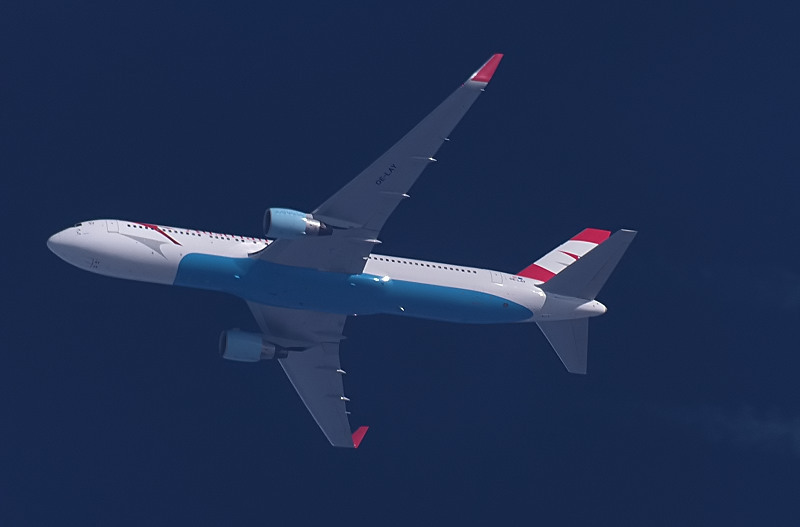 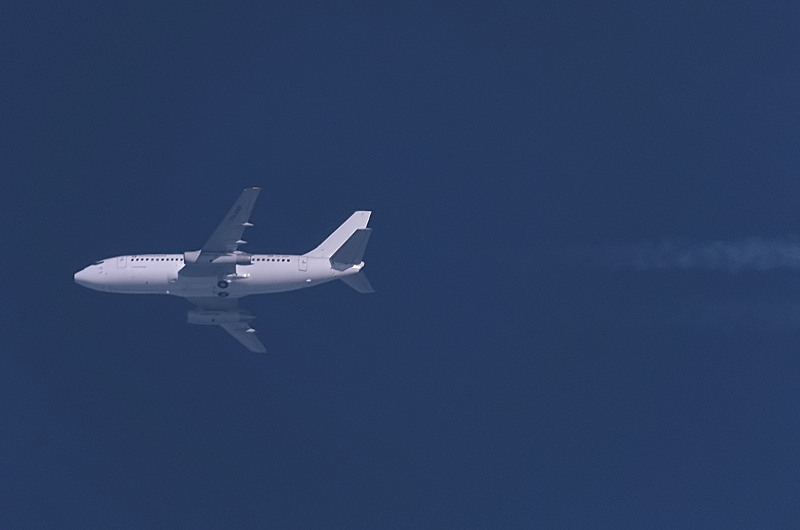 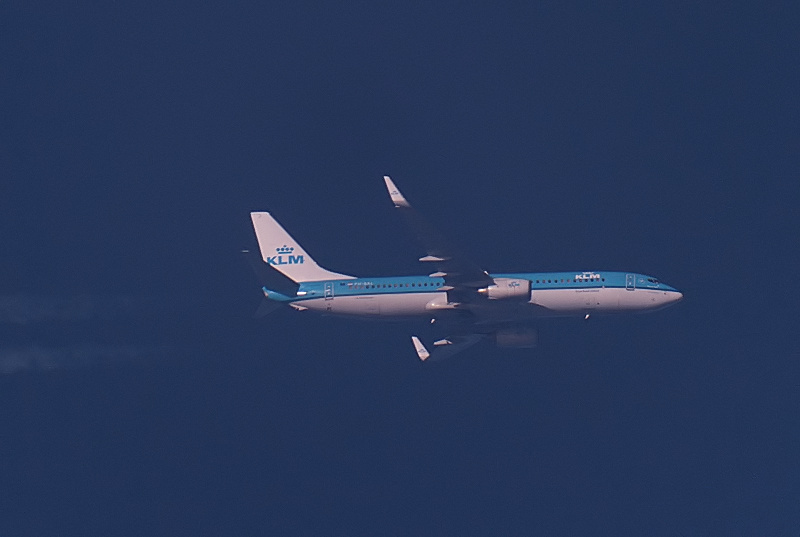 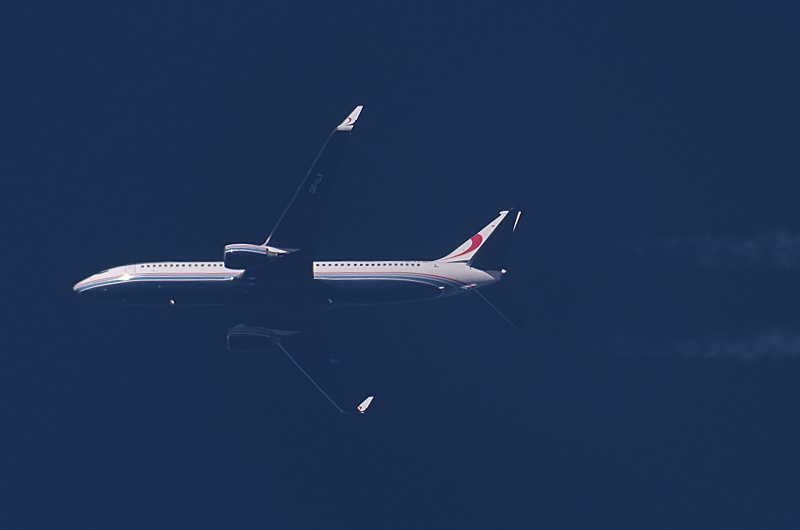 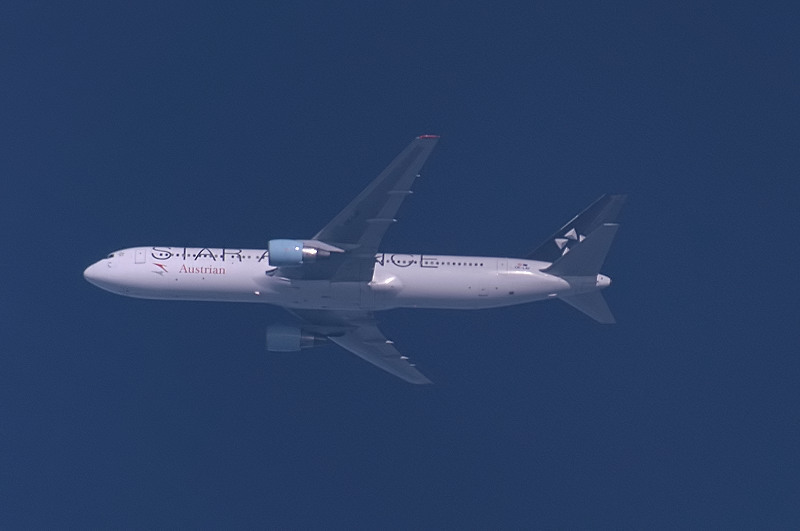 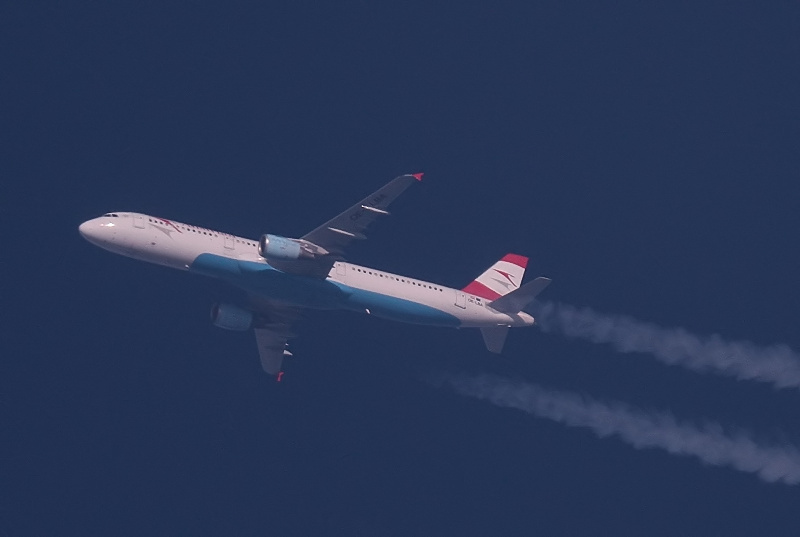 Aer Lingus A320 EI-DEM at 38000 ft enroute Munich-Cork as EIN837.